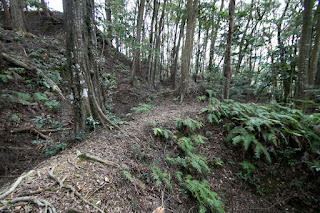 Mariko castle (丸子城) is located at a Mikadoyama hill, a one of 150 meter height thrusts into Mariko area at the west part of Shizuoka city. 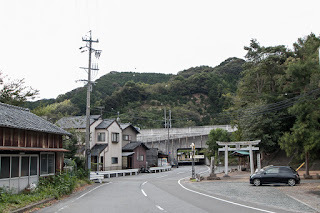 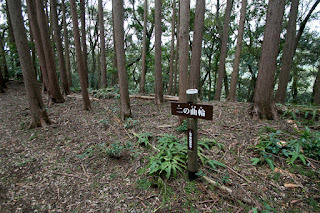 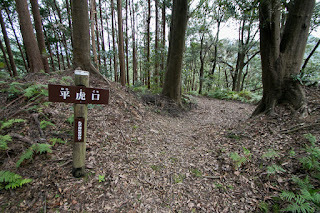 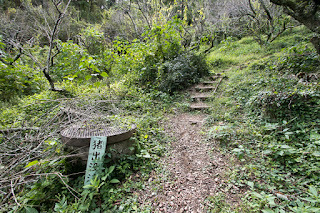 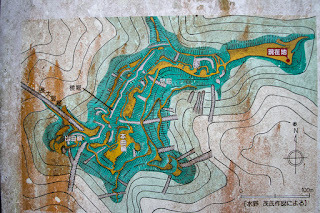 Mariko area is a narrow valley spreads east and west direction, and Tokaido road, a main route connected Tokyo city and Kyoto city runs through this area from Shizuoka city to Fujieda area, across Utsunoya Toge path. 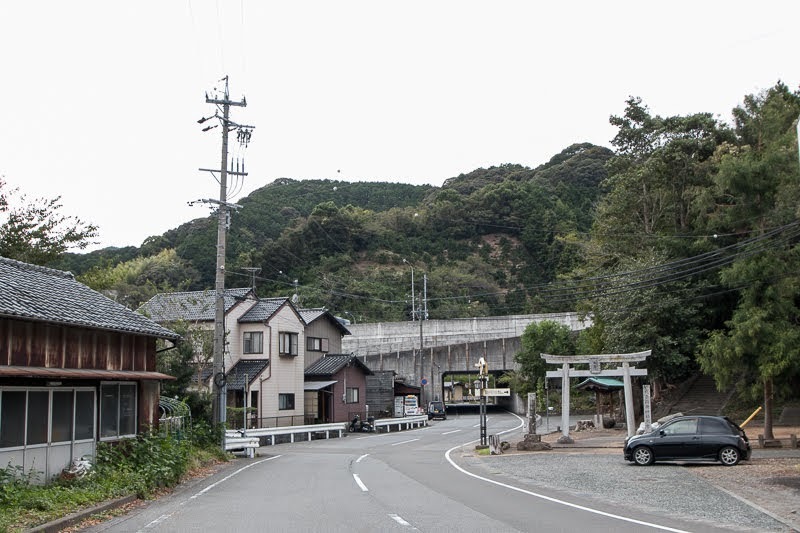 In Edo era Mariko town became one of the 53 posting towns of Tokaido way, and a restaurant serves grated yam established in 17th century still operates here. 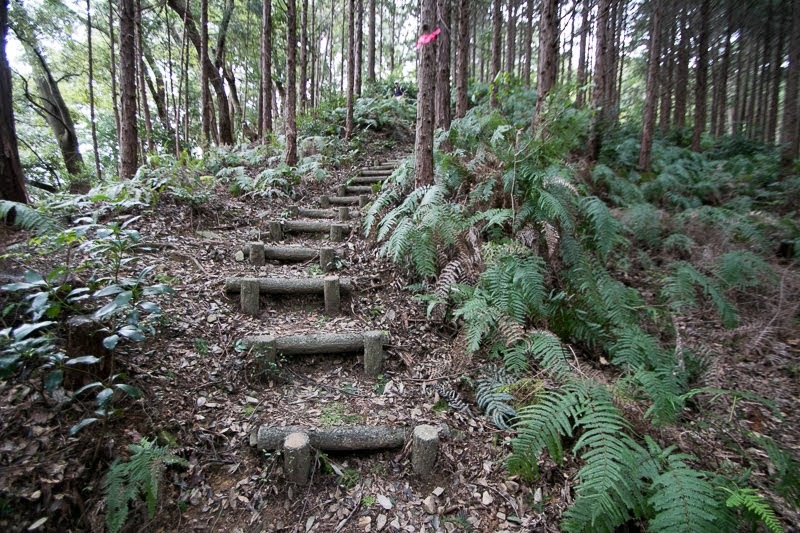 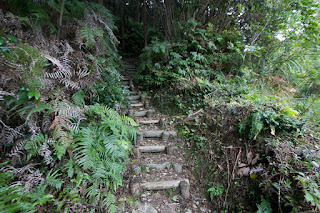 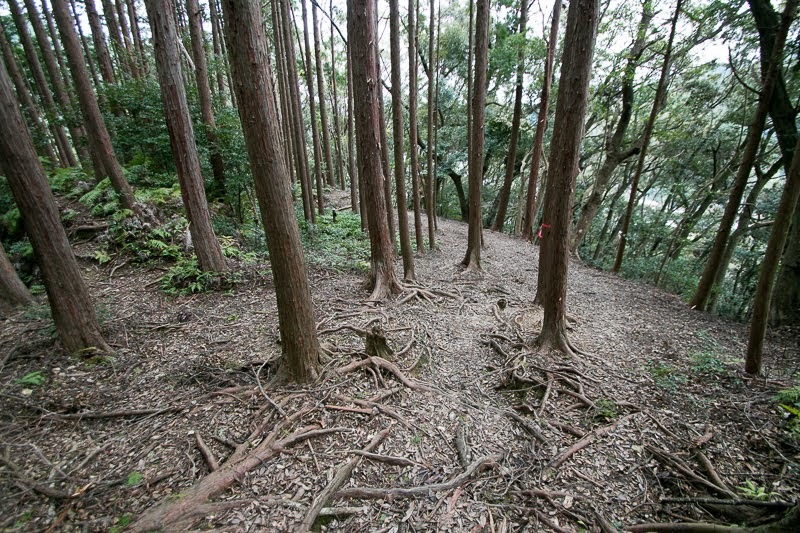 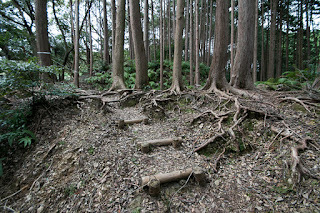 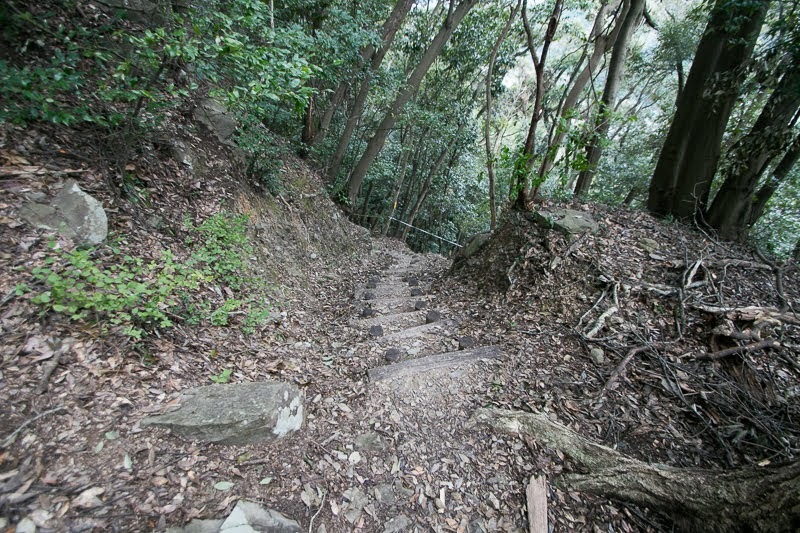 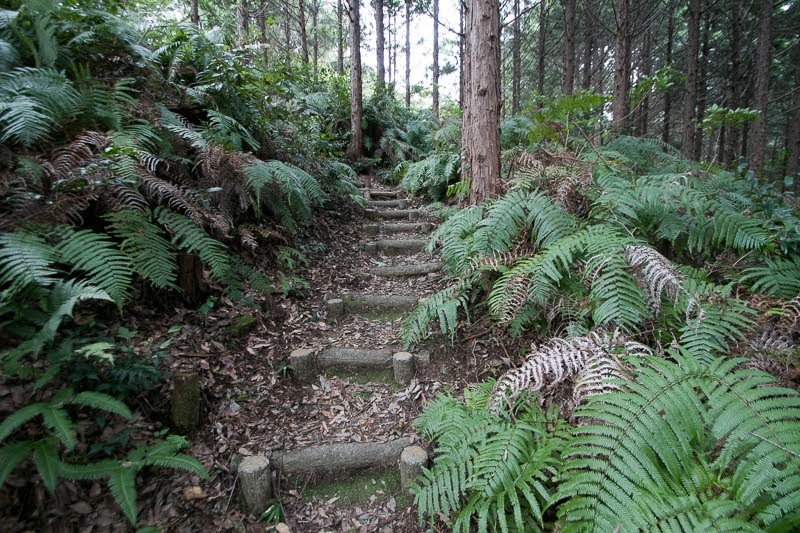 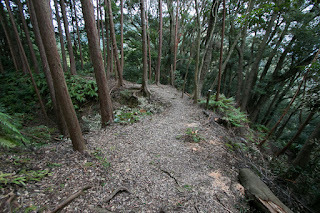 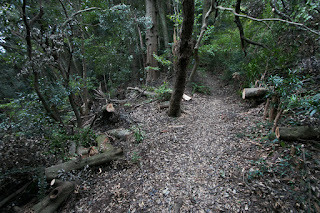 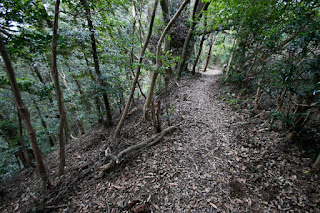 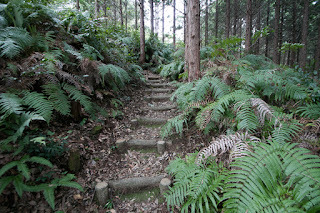 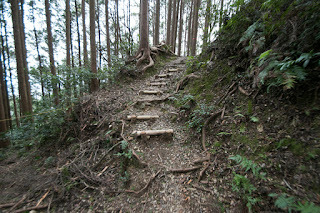 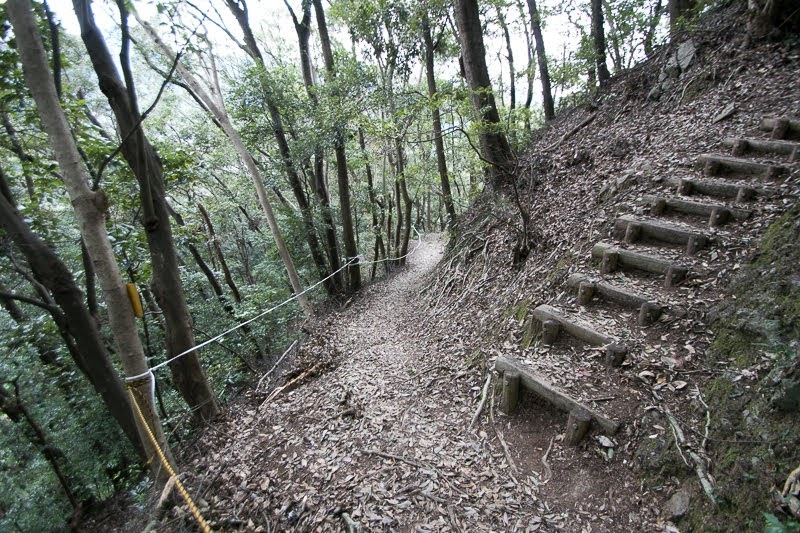 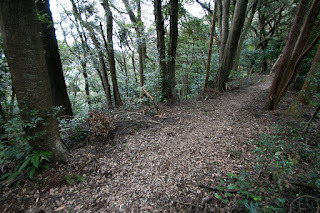 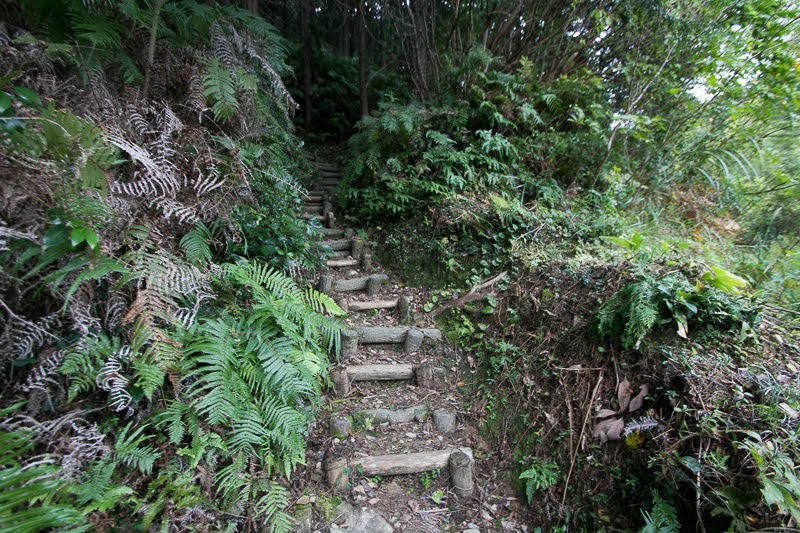 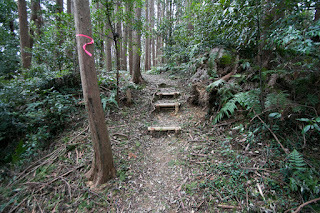 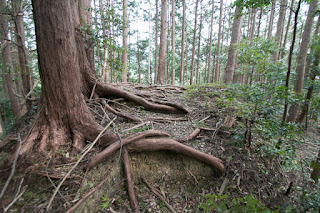 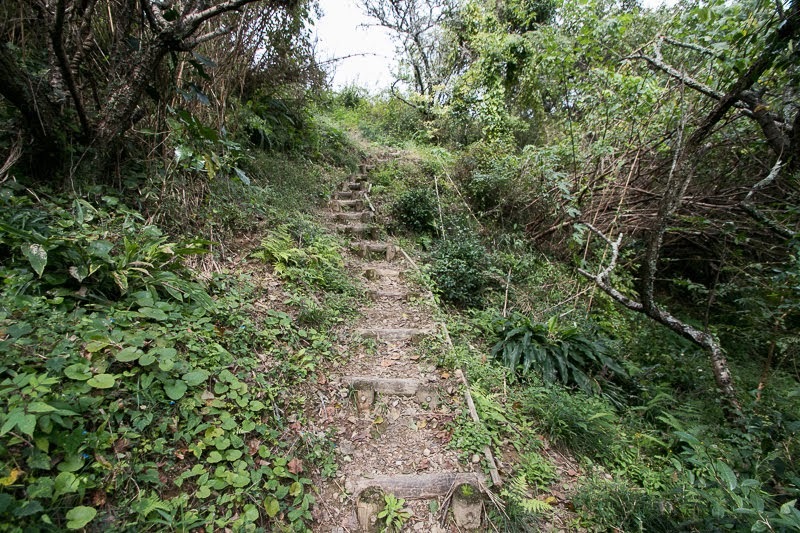 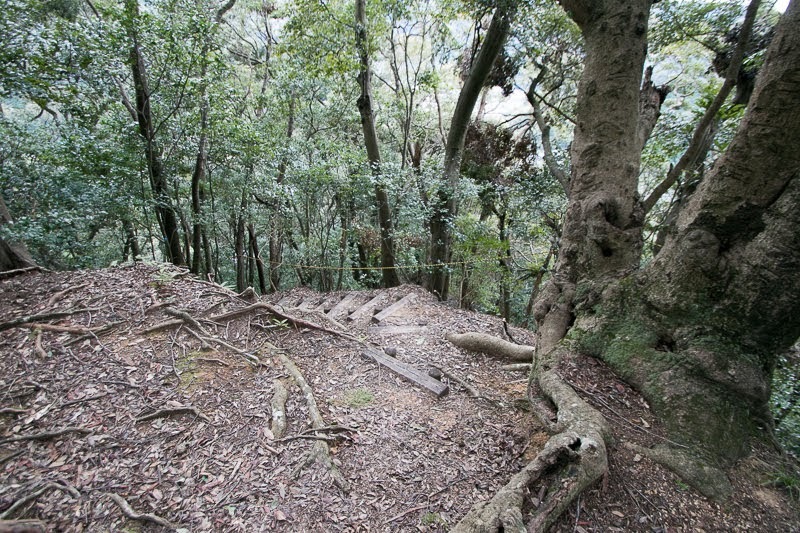 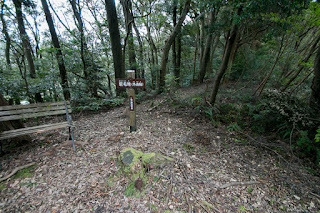 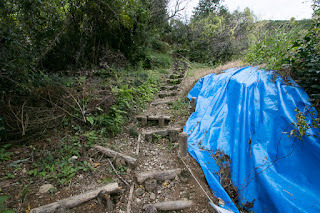 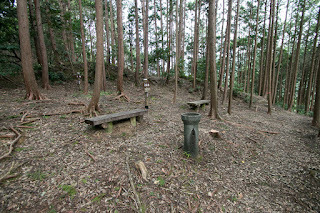 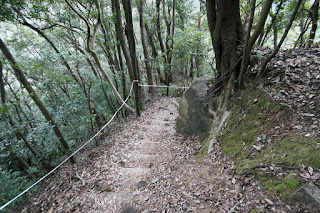 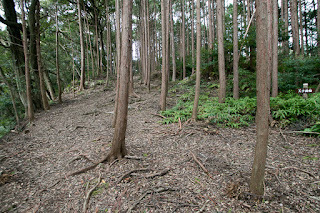 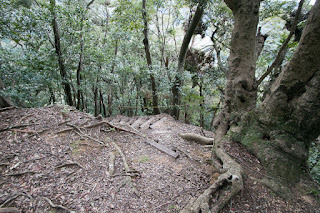 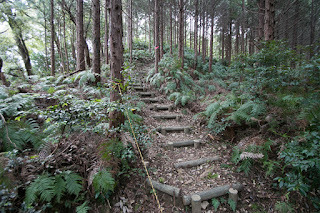 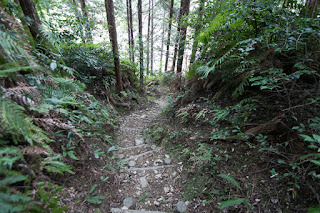 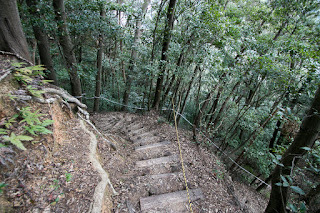 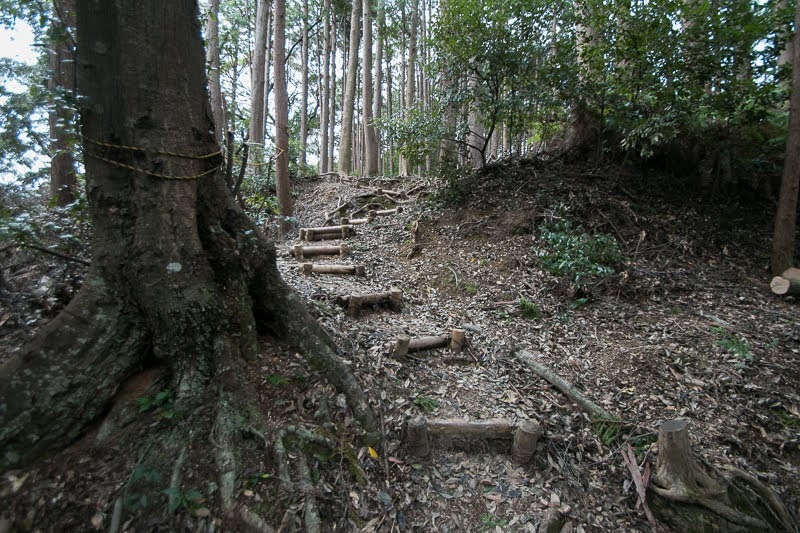 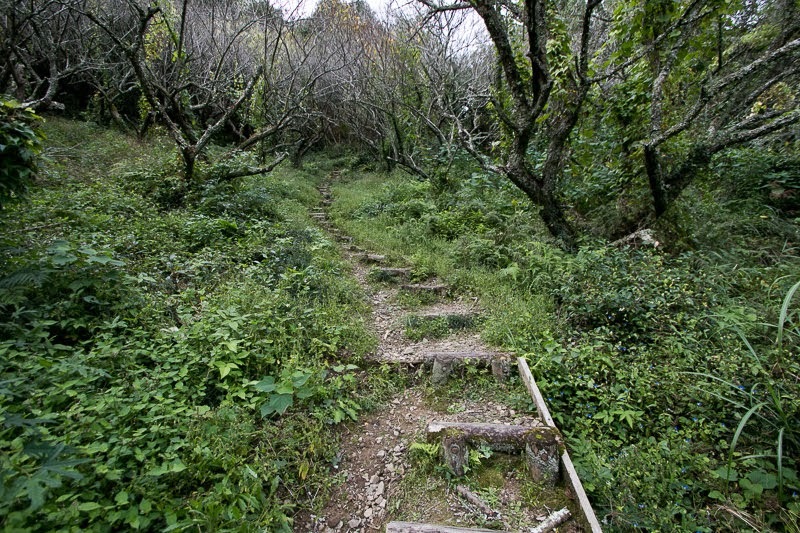 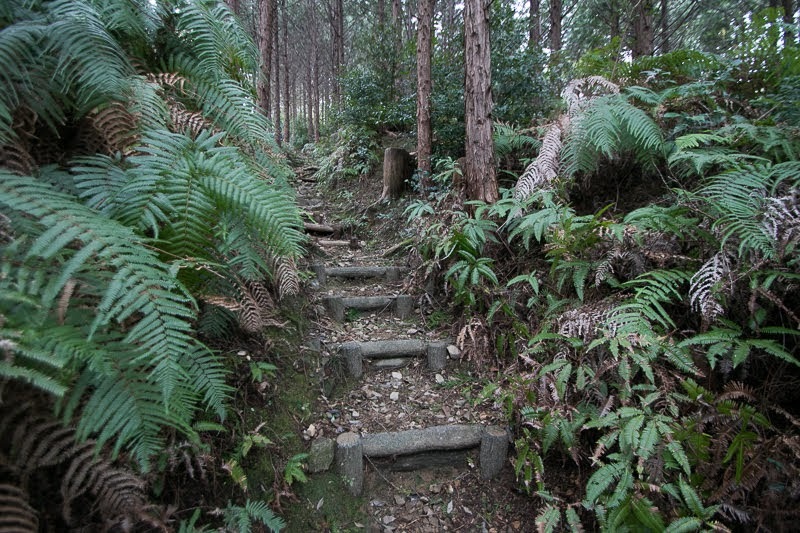 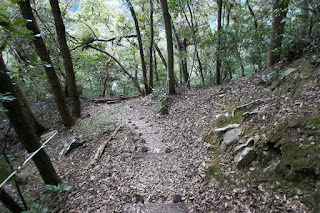 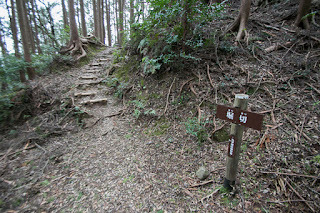 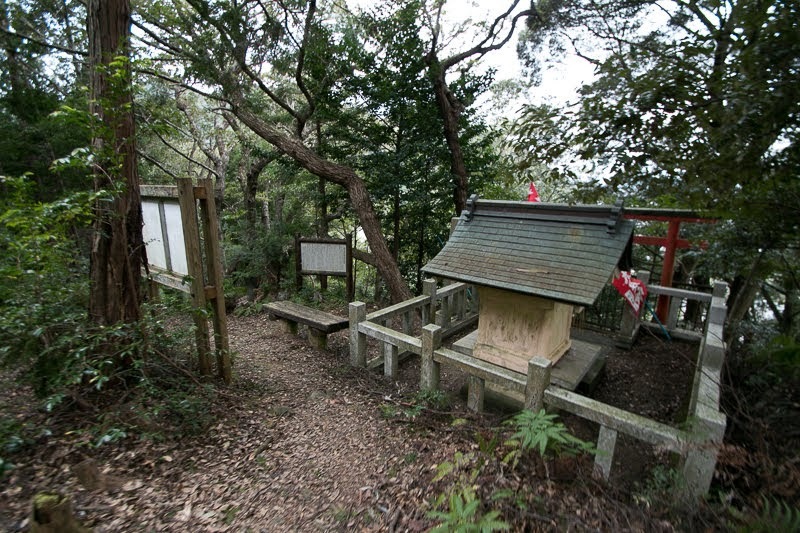 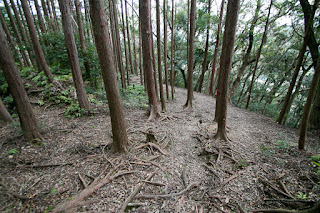 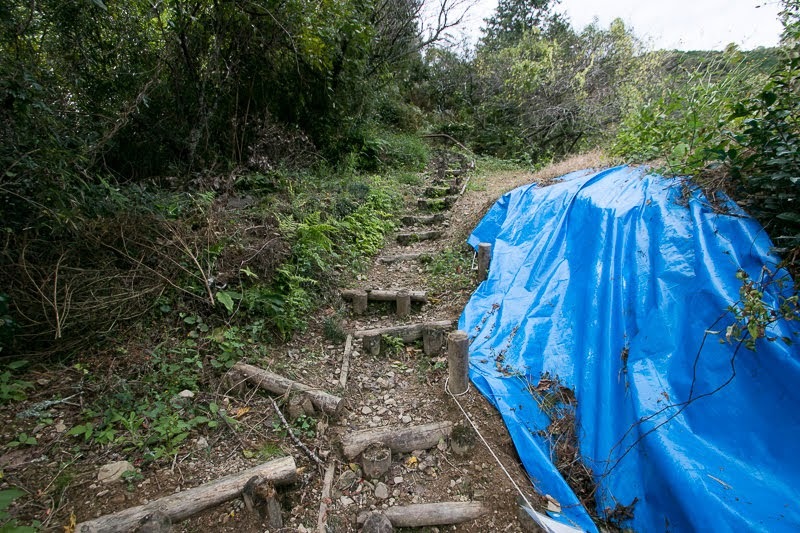 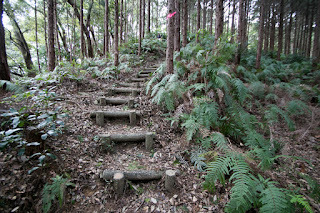 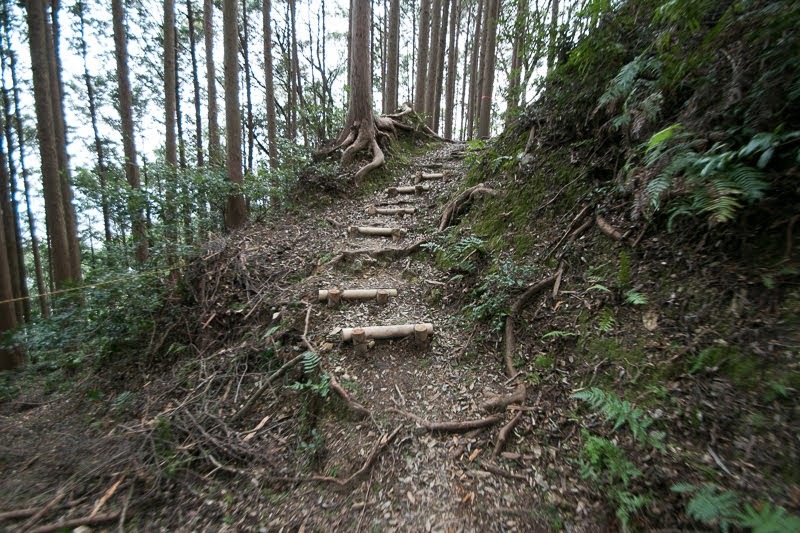 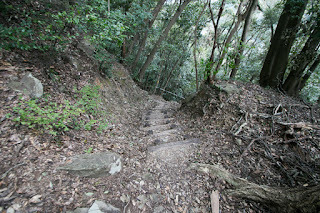 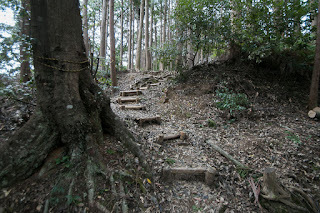 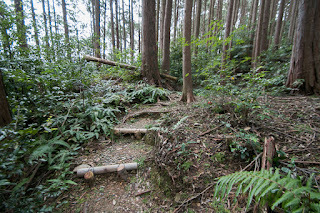 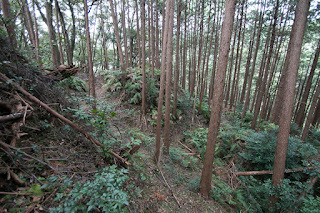 West end of Shizuoka city is covered by mountains, and travelers had to pass these mountain by any path. 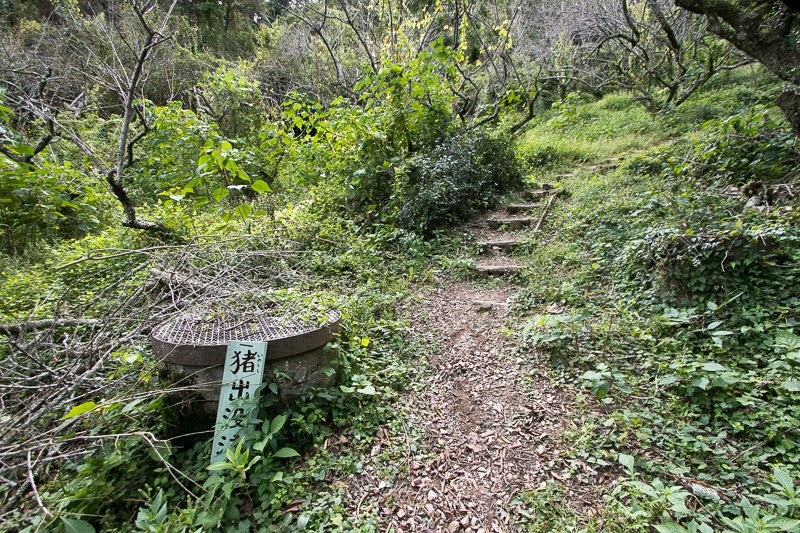 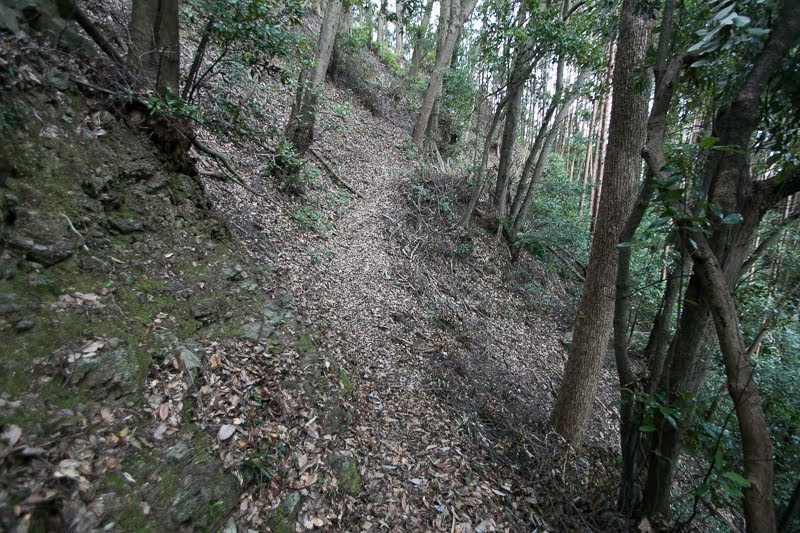 Originally Tokaido road passed at Nihonzaka area near the Pacific ocean (route of Shinkansen train and Tomei highway), but later the route changed to current style passes Utsunoya Toge path and Mariko area. 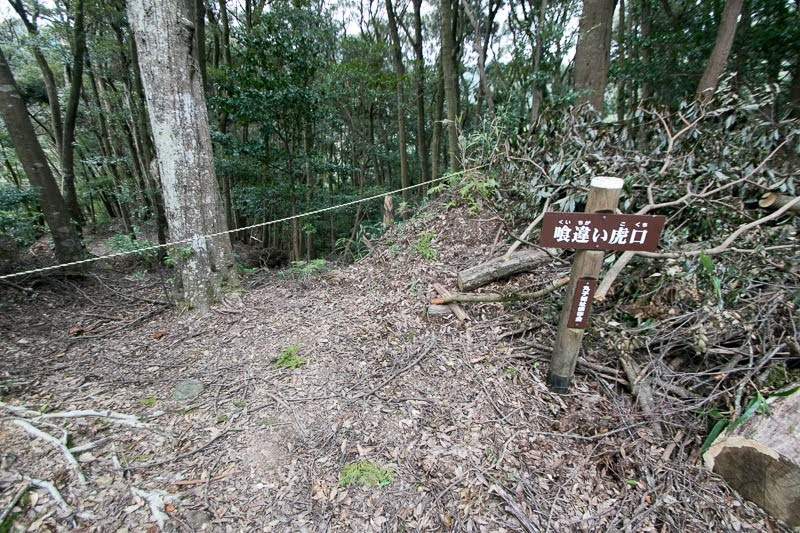 Slope of current route is tighter than old route, but distance of mountanious road is shorter and the traffic was more stable. Shizuoka city was formerly called as Sunpu city, and had been the capital of Imagawa clan. 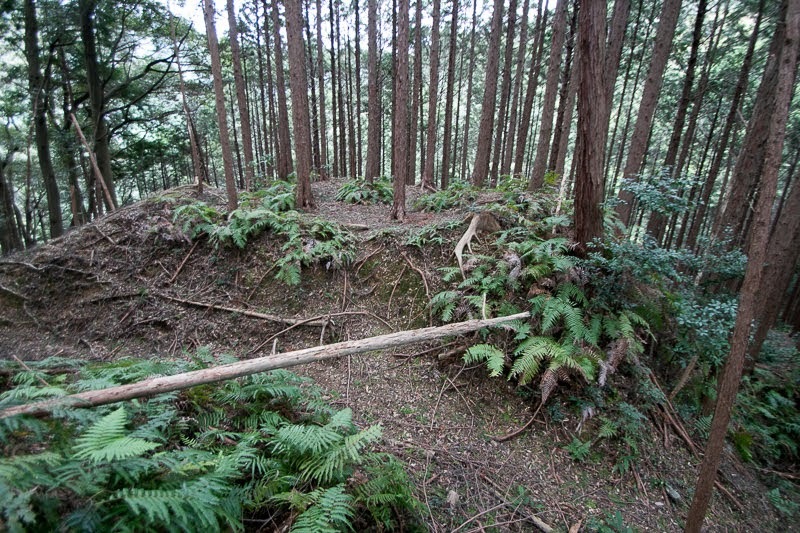 Precise year is unknown but Mariko castle was originally built by Imagawa clan in 15th century. At the beginning of 16th century, Mariko castle was managed by Saito clan, a local lord under Imagawa clan as a west gate of Sunpu city. 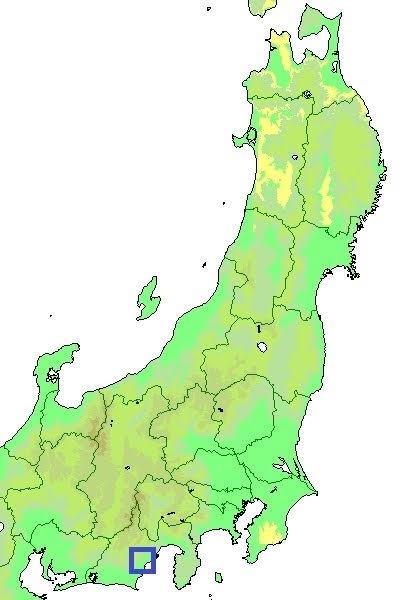 In 1568, Shingen Takeda (1521-1573), a warlord of Kai province (Yamanashi prefecture), intruded weakened Imagawa clan from northward, and occupied whole Suruga province (middle part of Shizuoka prefecture) including Sunpu city next year. 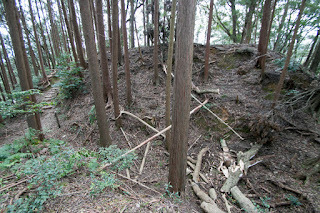 Takeda clan made a total reform to this castle, to strengthen this castle as a fortress. 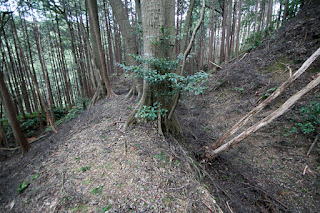 Suruga province was managed by Masakage Yamagata (1529-1575), one of four brave general of Takeda clan, and Mariko castle might be managed by Masakage. 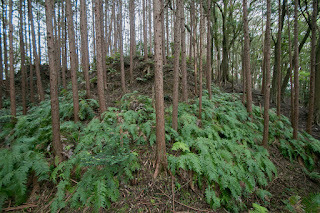 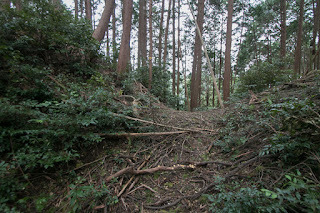 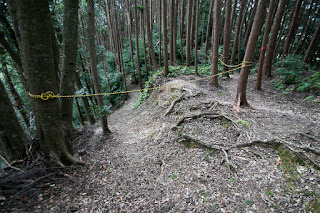 Mariko castle spread a jackknife shaped ridge continues from east to southwest over 300 meter. 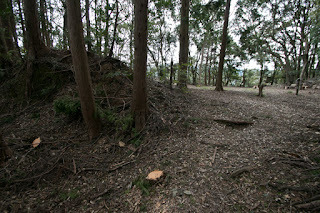 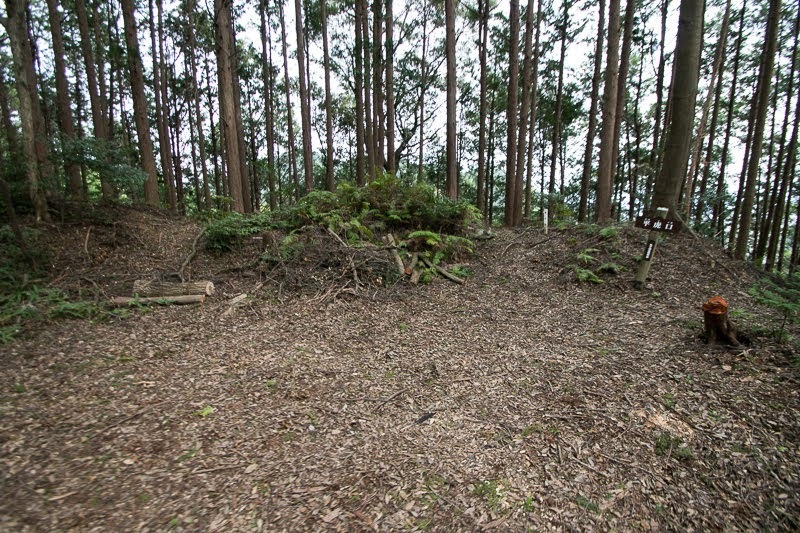 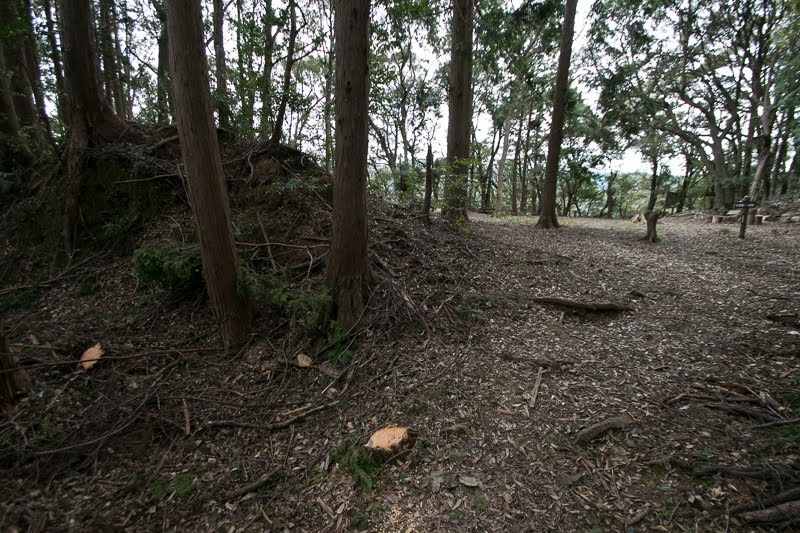 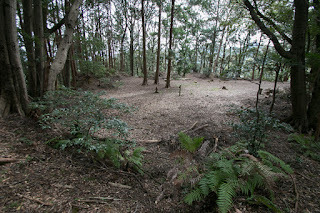 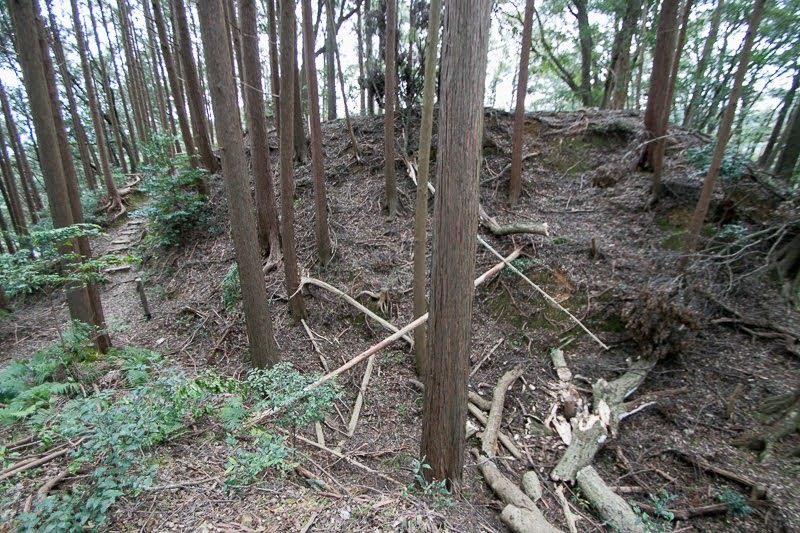 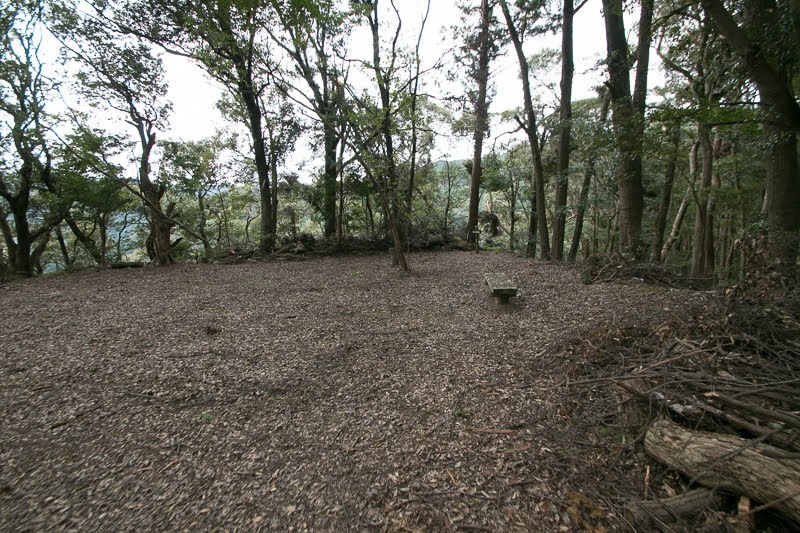 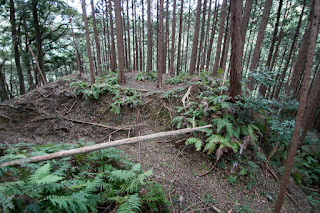 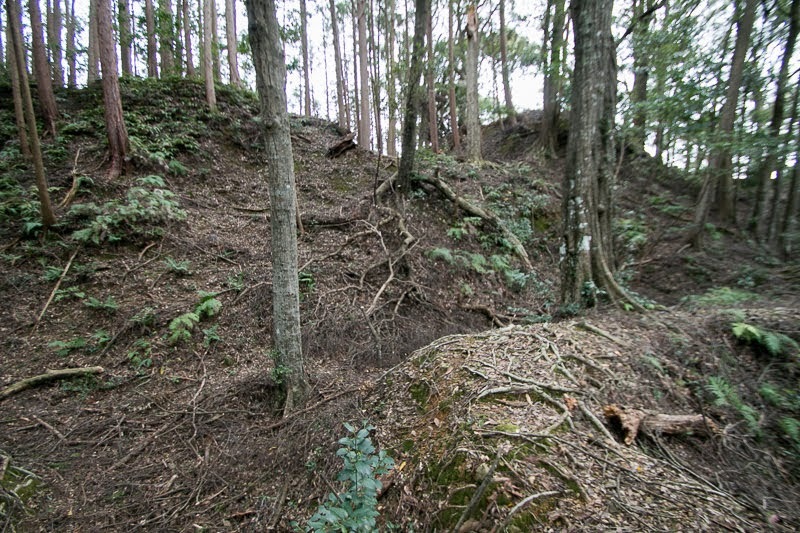 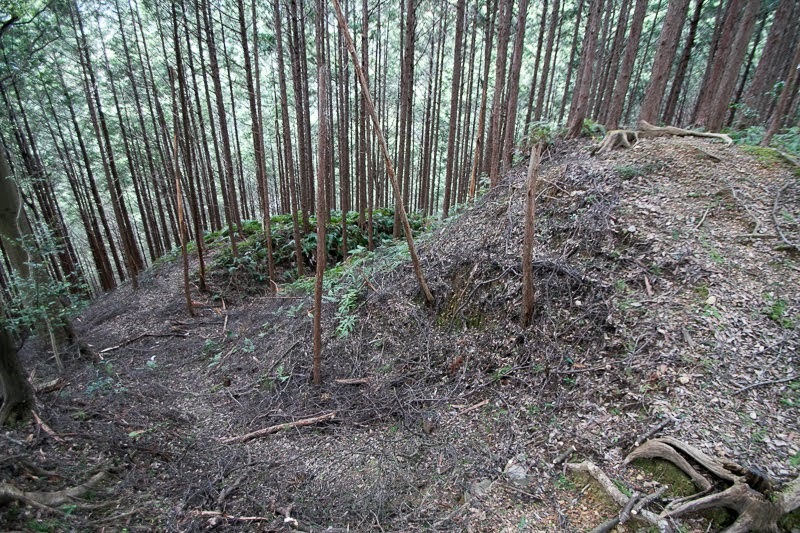 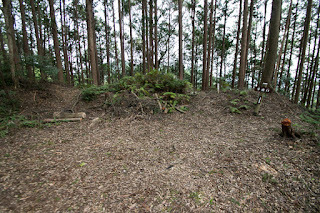 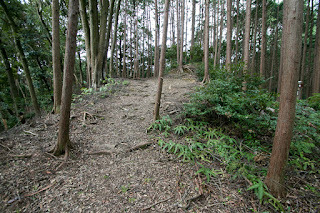 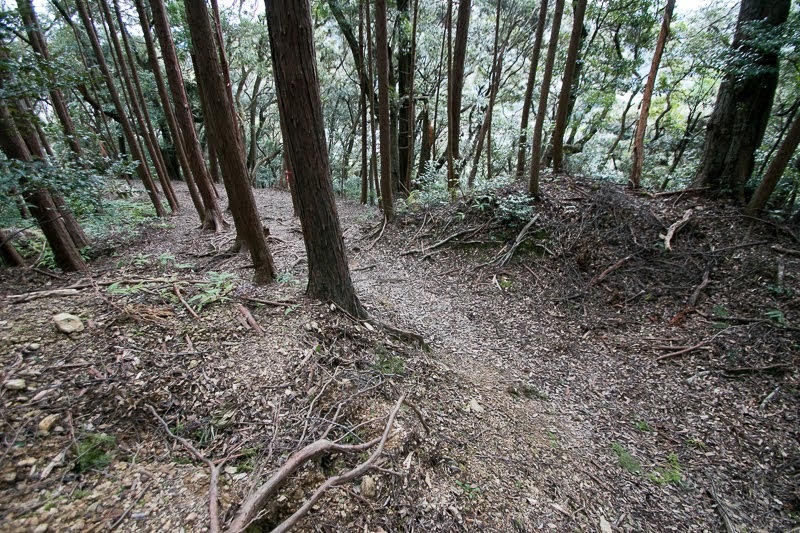 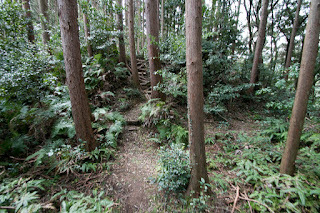 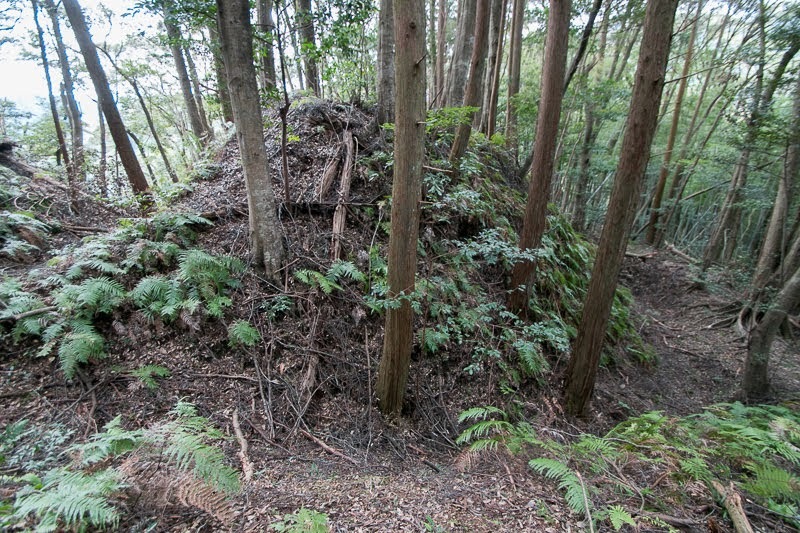 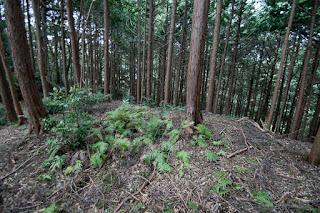 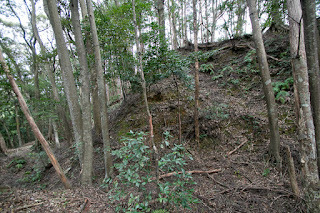 East half of the ridge is the old part built by Imagawa clan, then terraces are narrow and there seems no secure defense facility at this side. 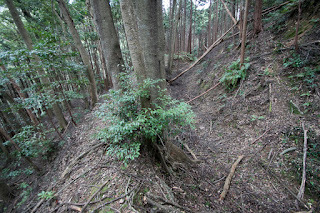 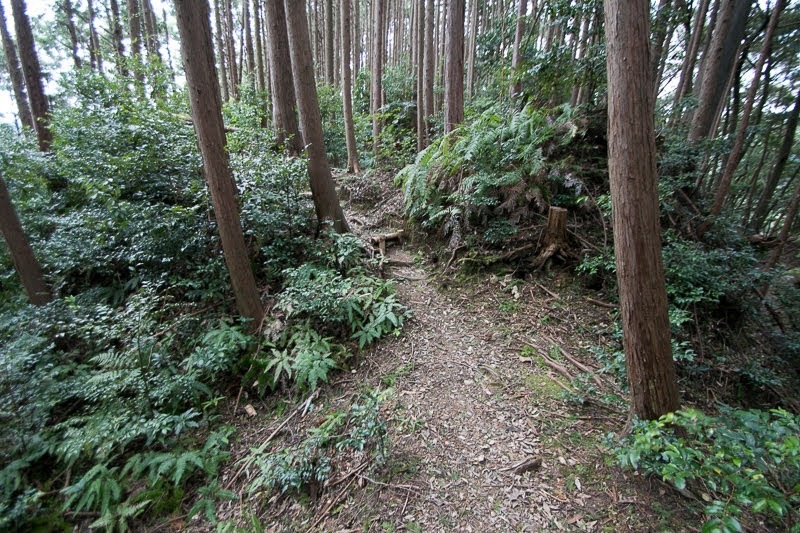 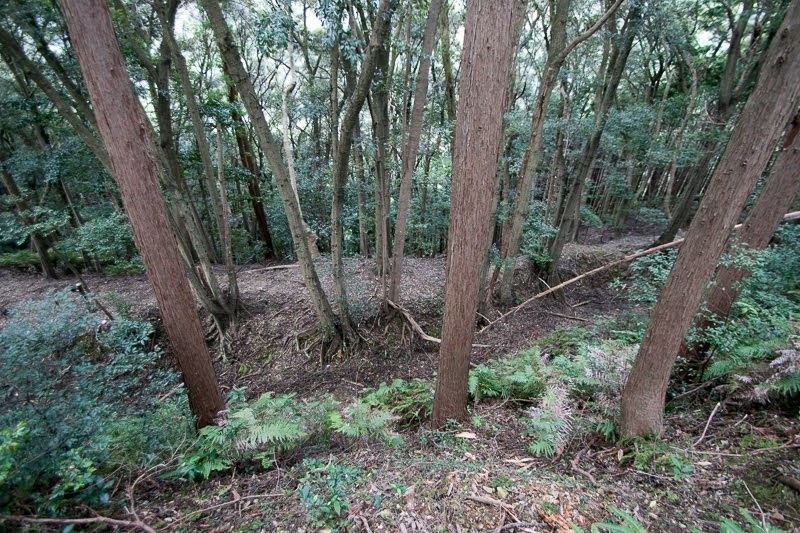 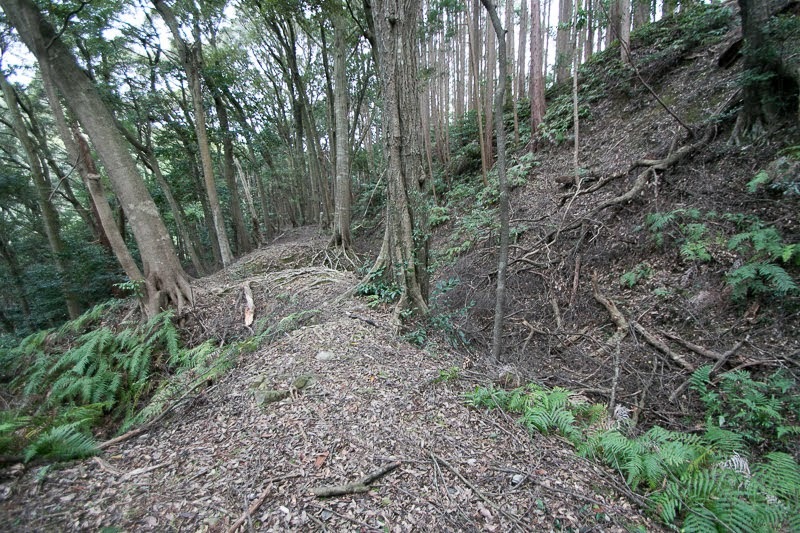 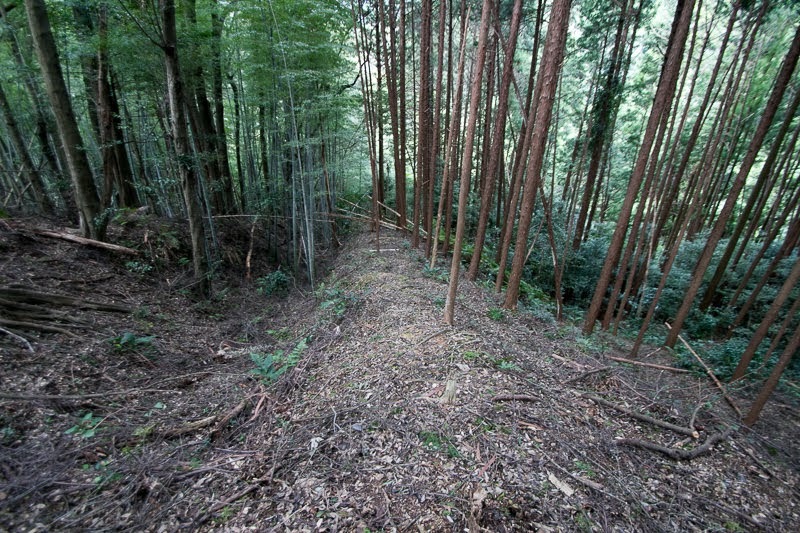 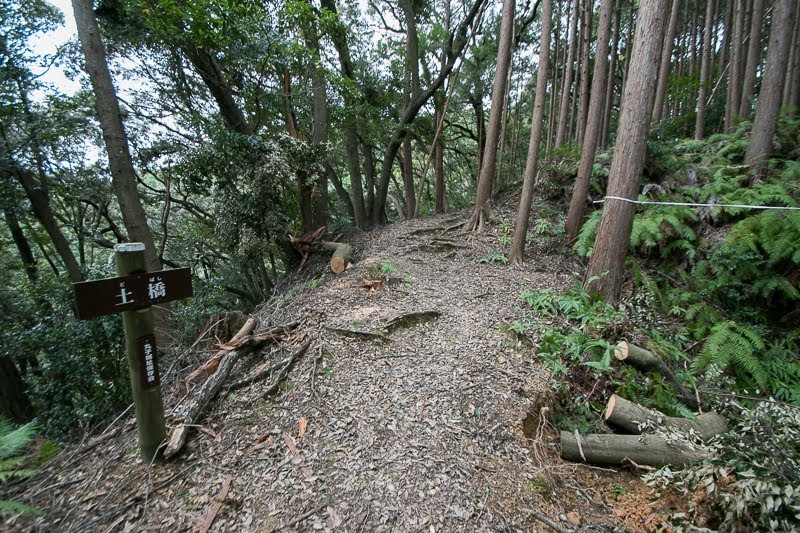 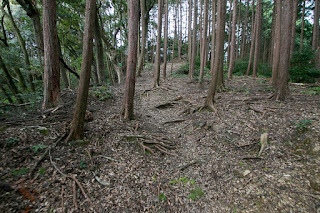 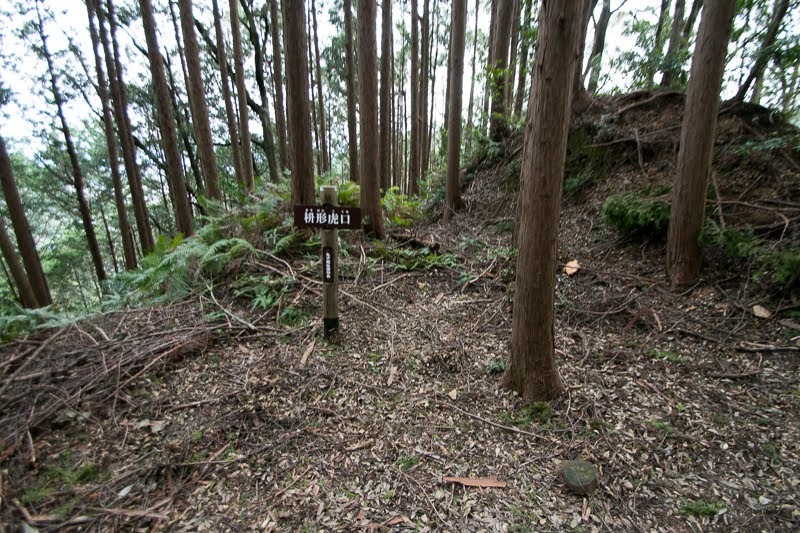 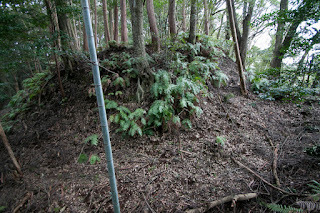 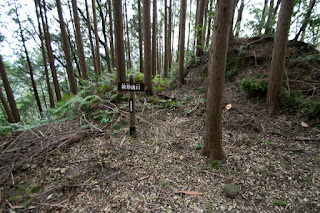 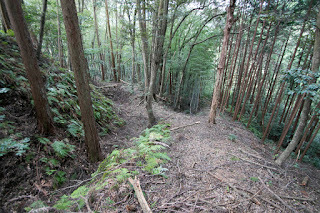 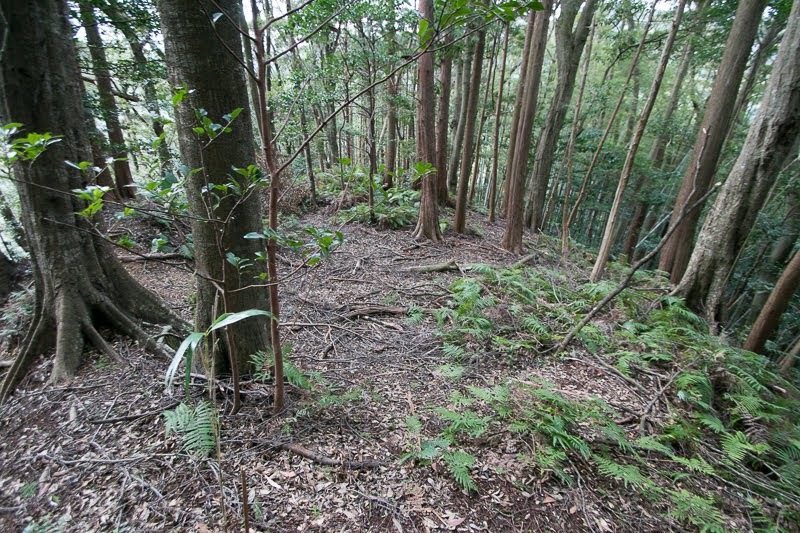 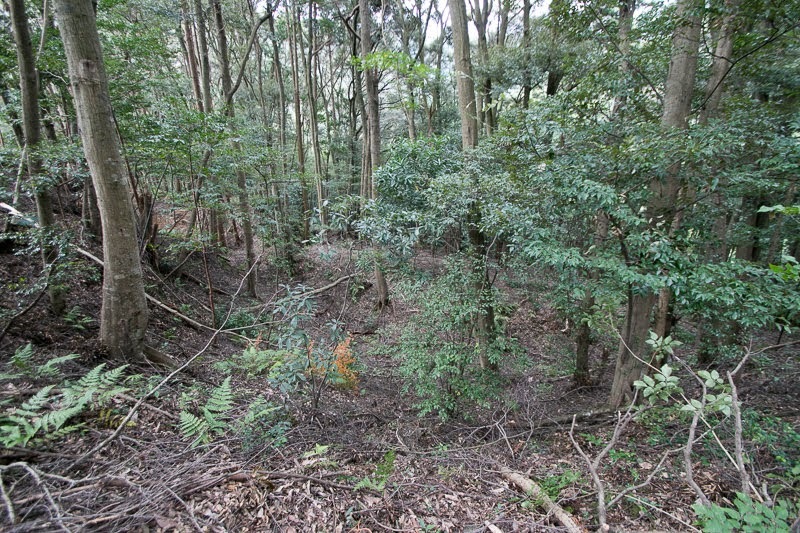 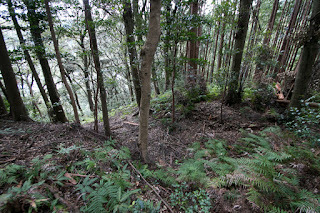 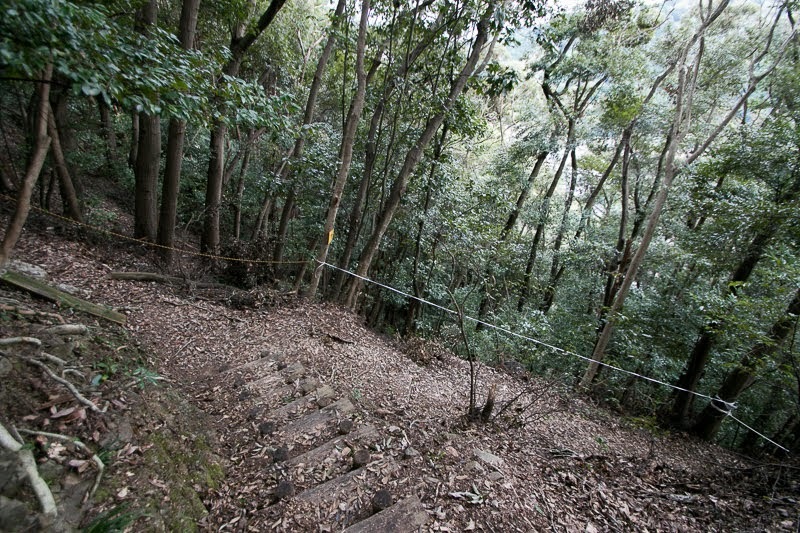 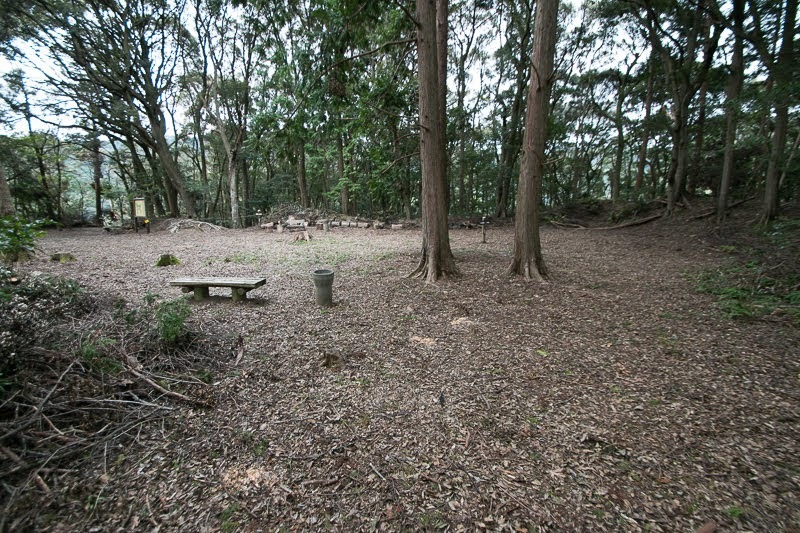 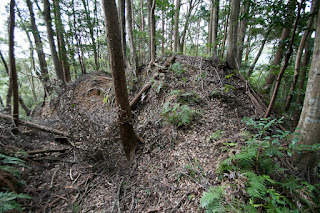 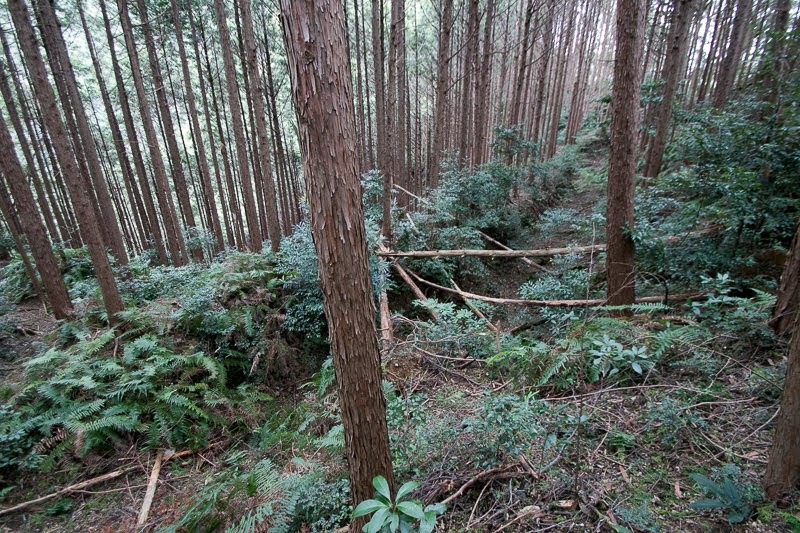 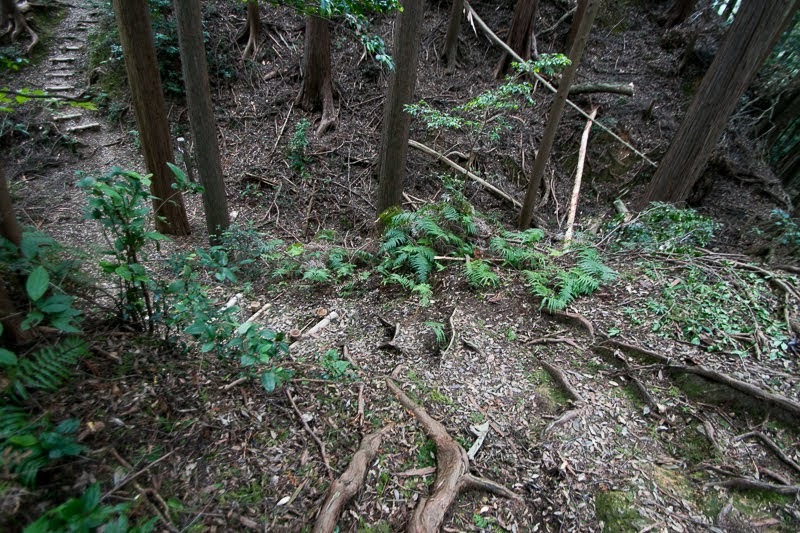 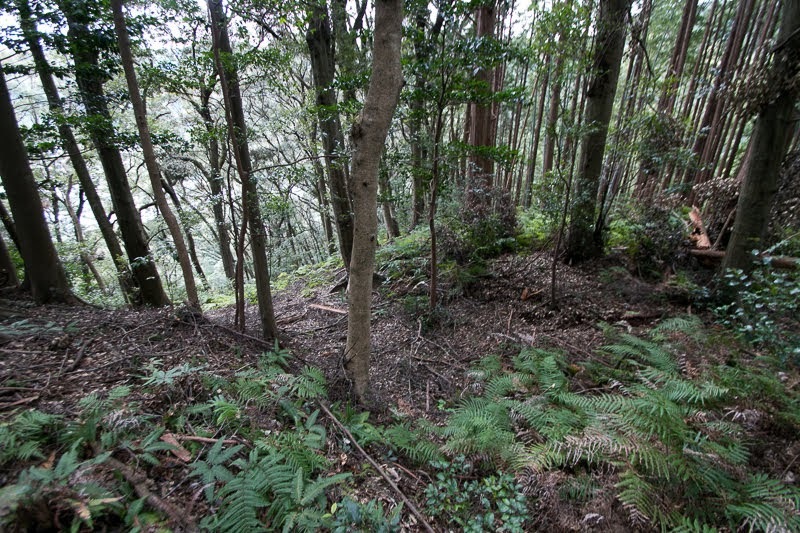 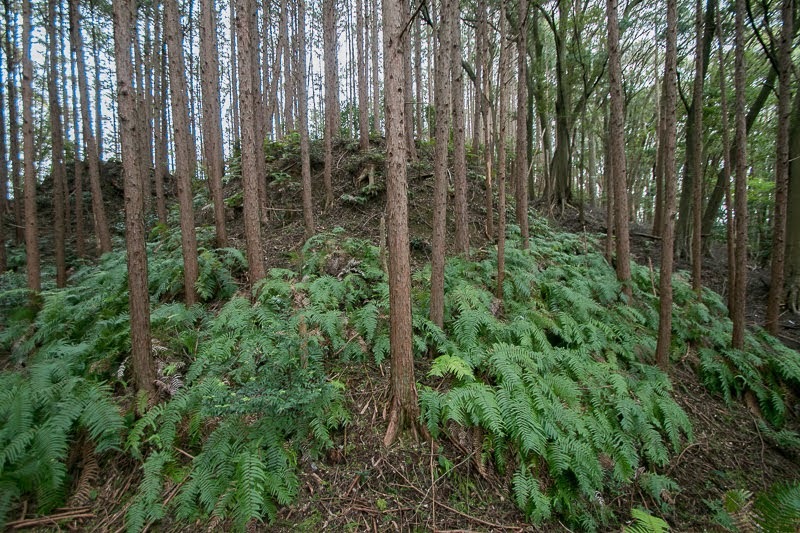 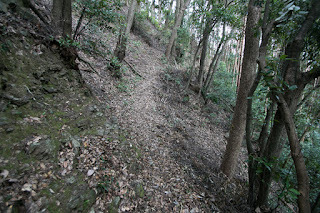 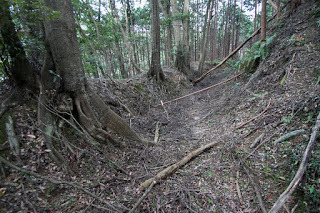 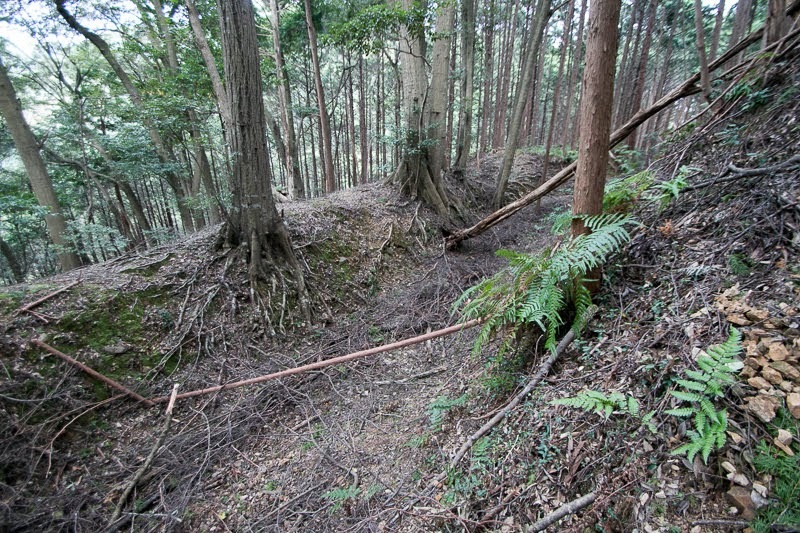 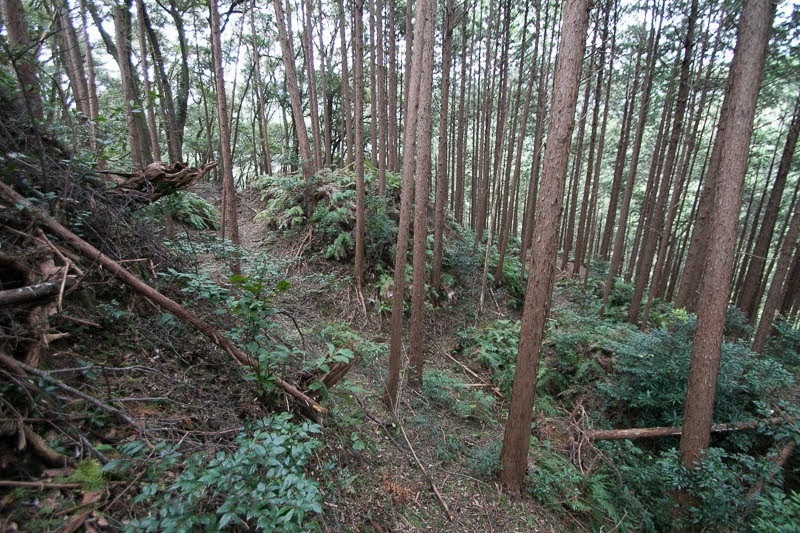 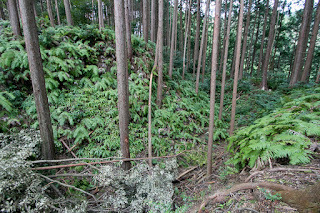 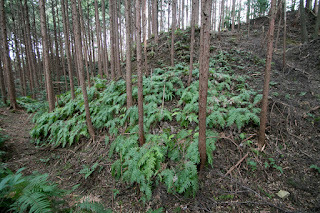 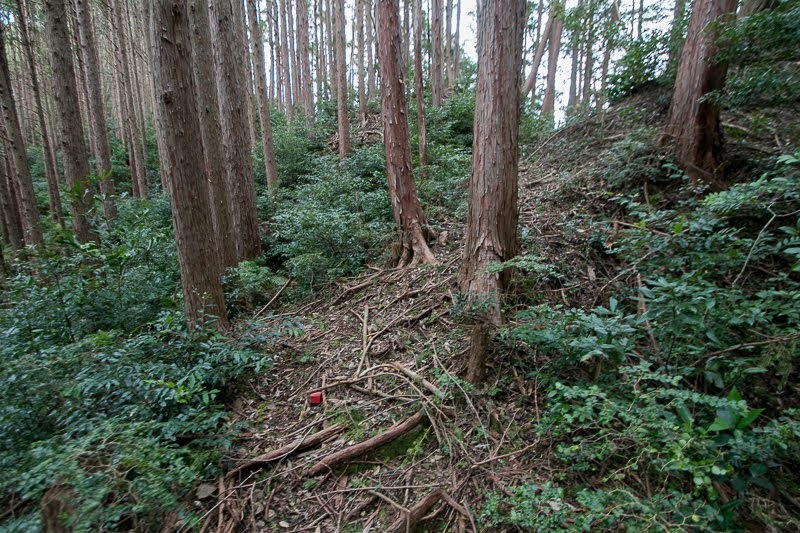 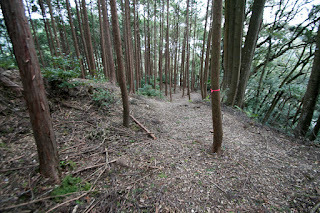 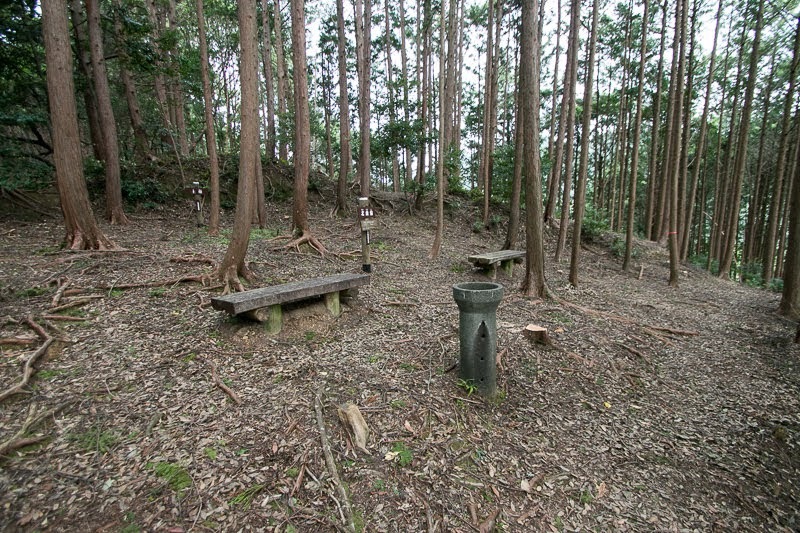 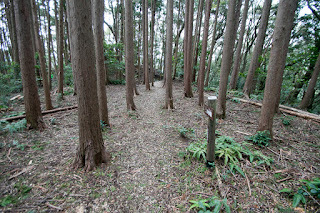 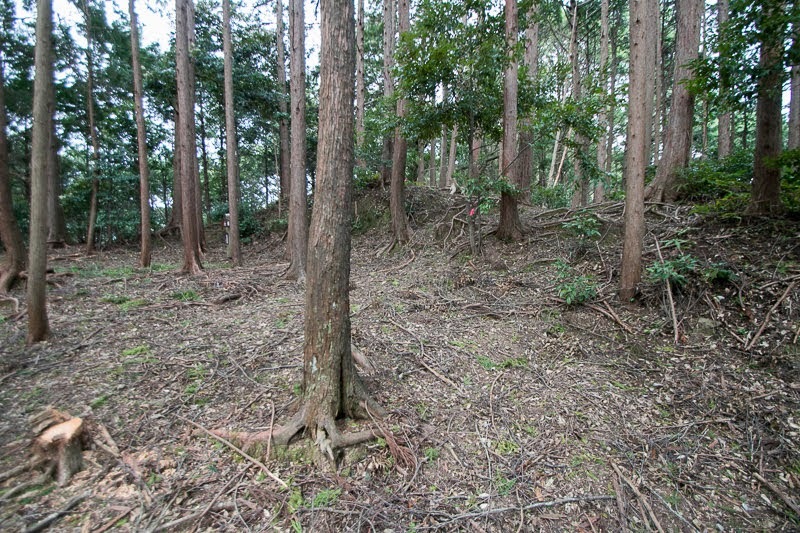 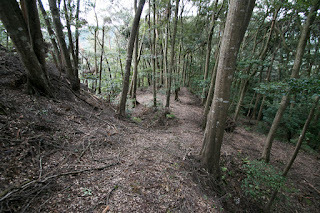 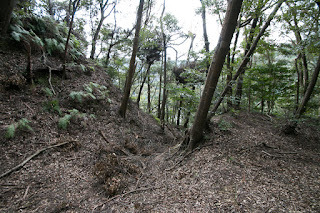 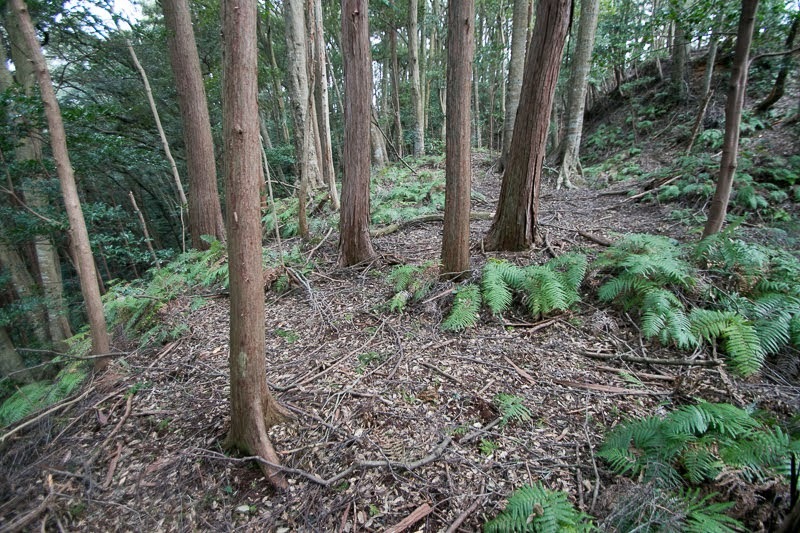 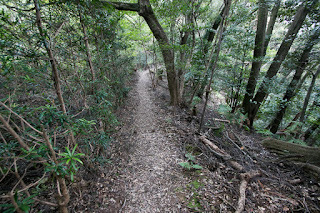 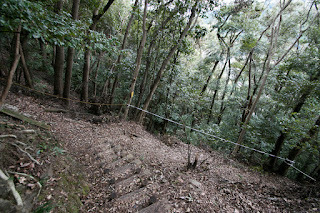 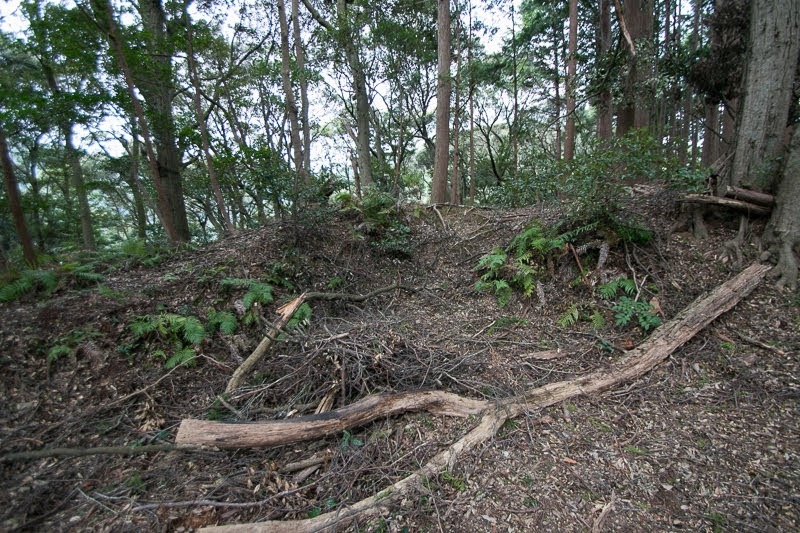 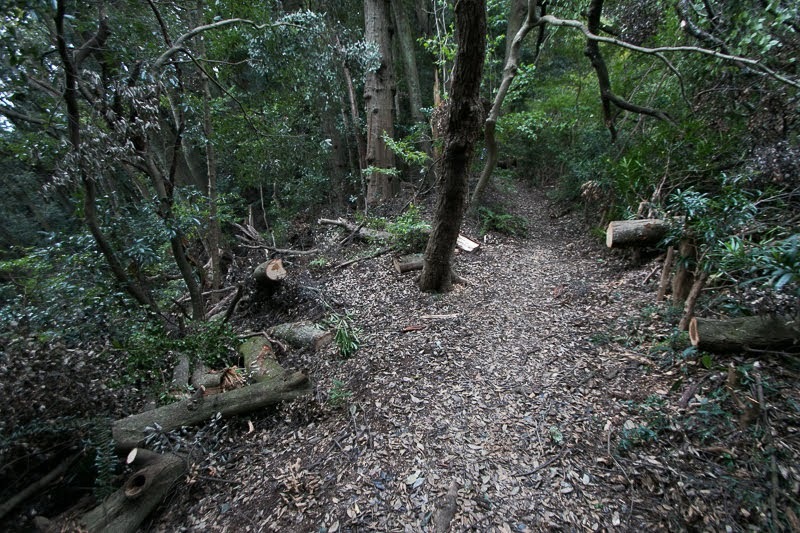 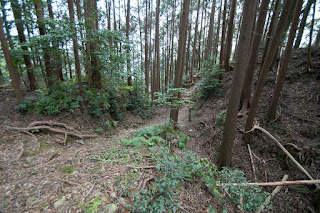 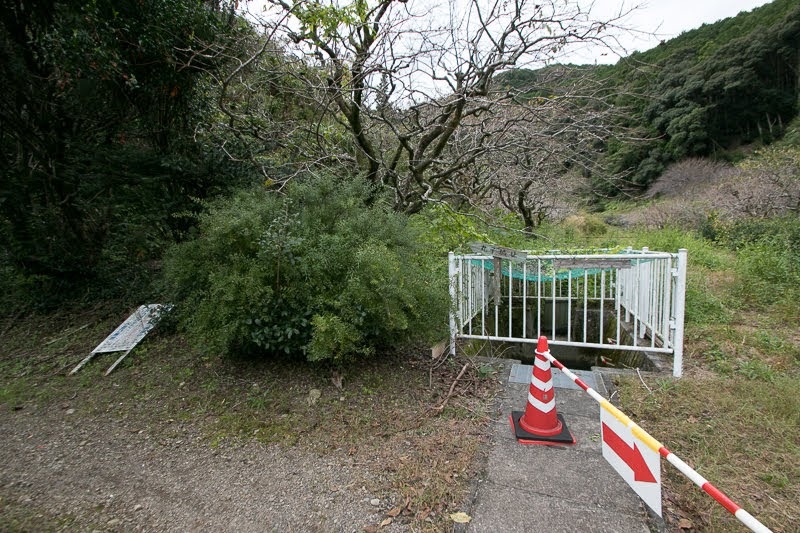 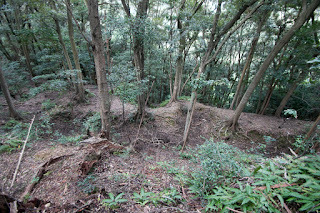 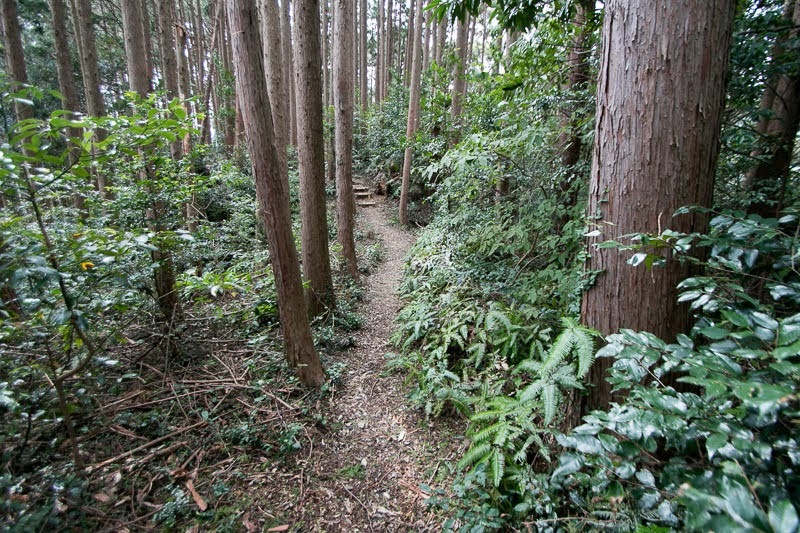 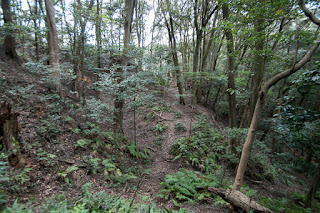 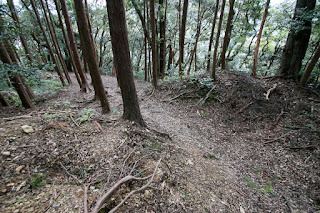 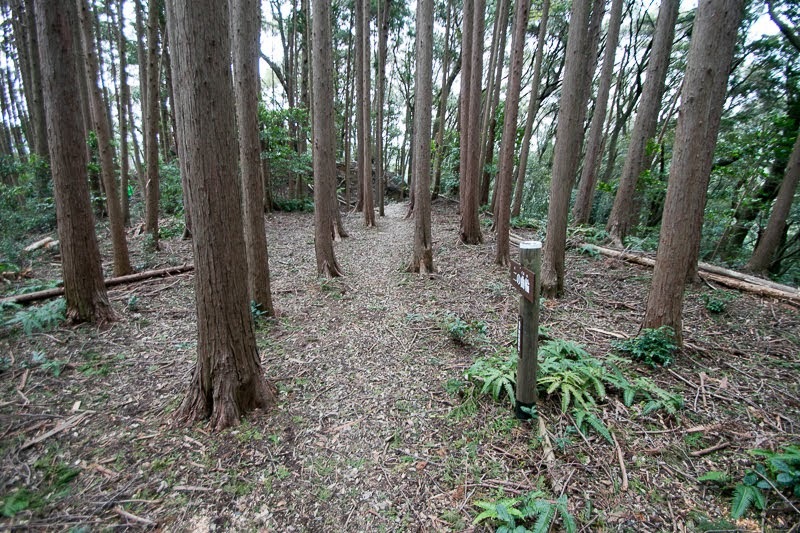 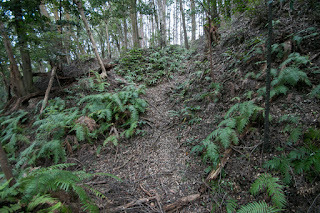 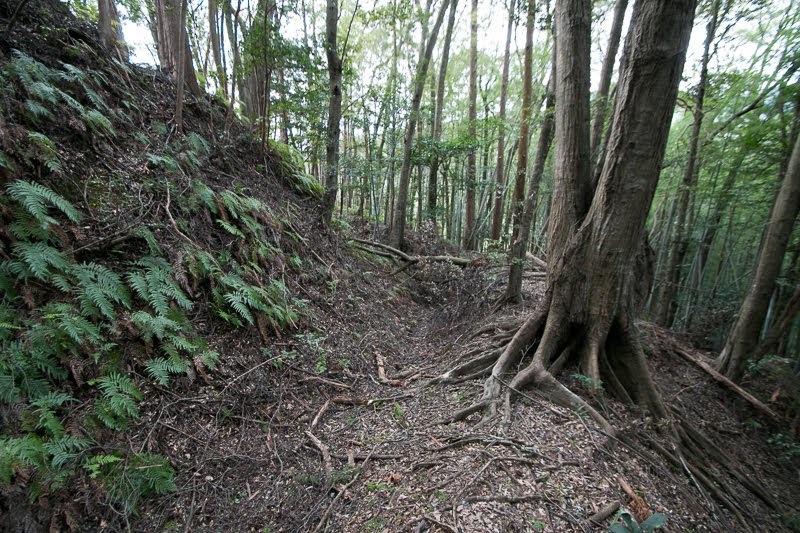 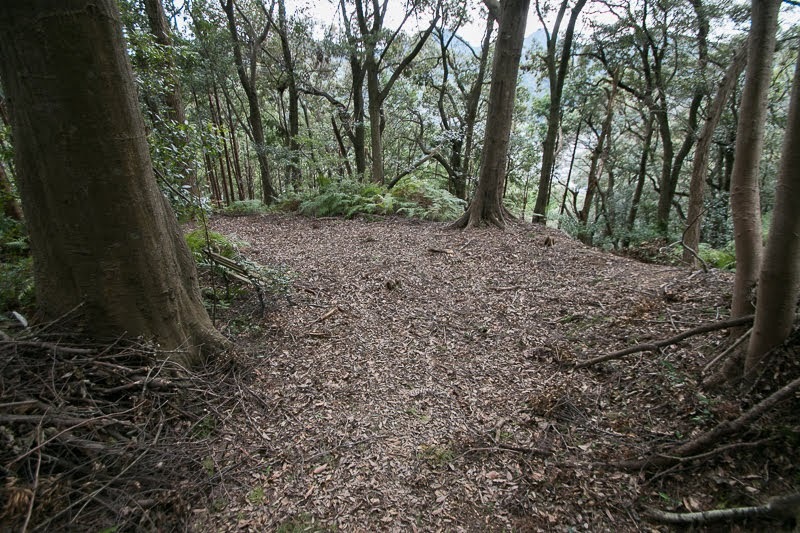 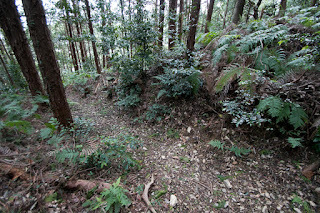 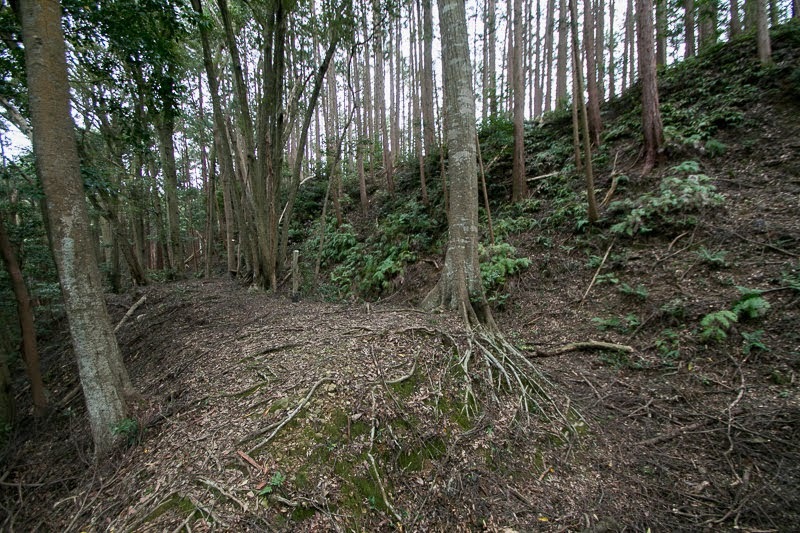 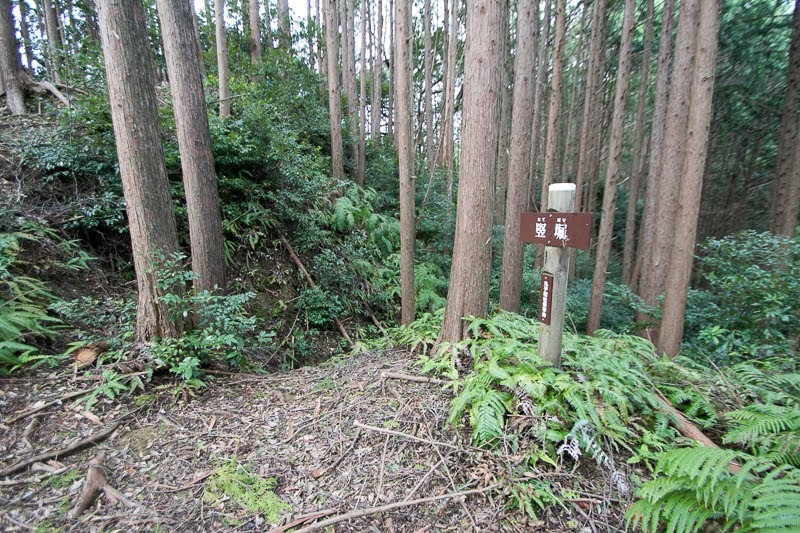 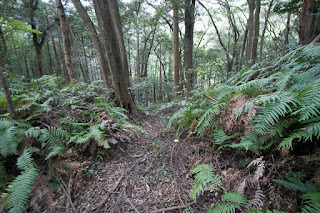 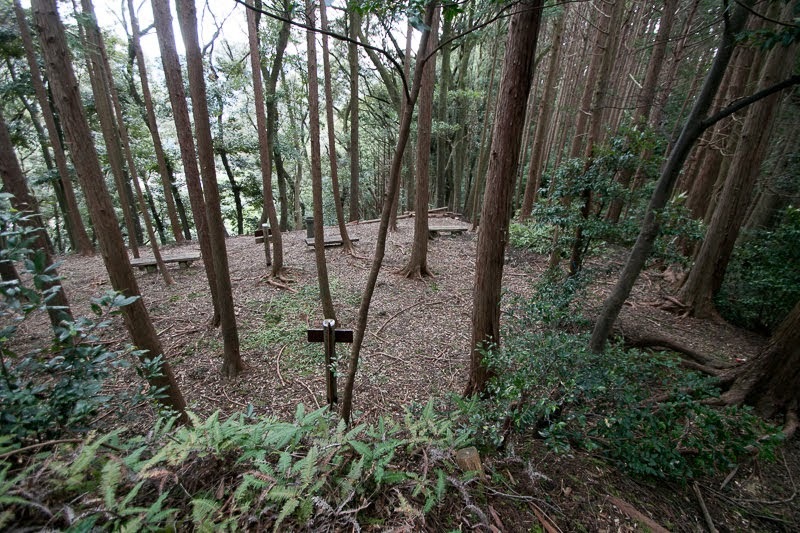 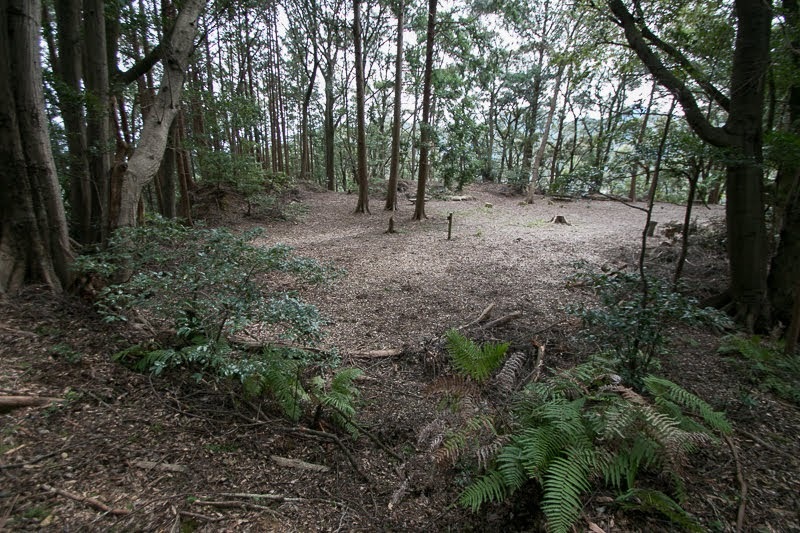 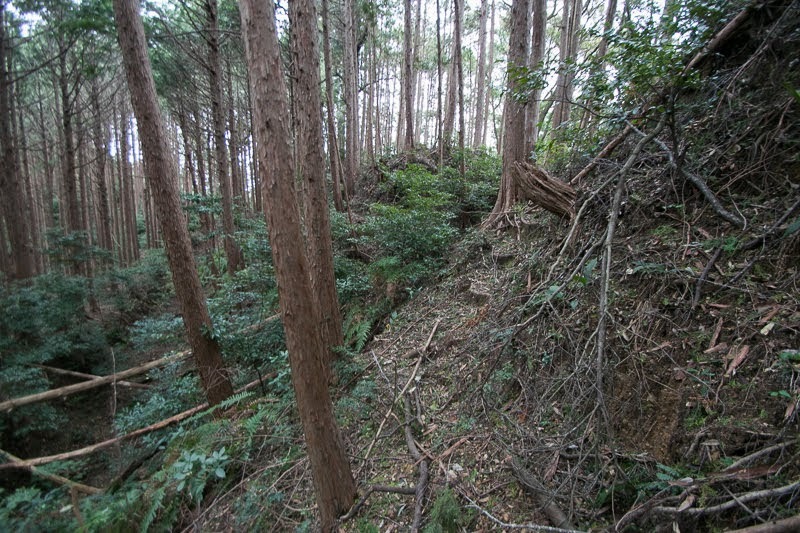 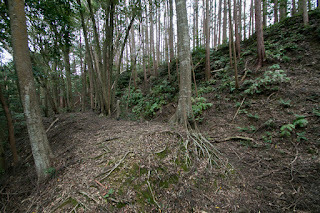 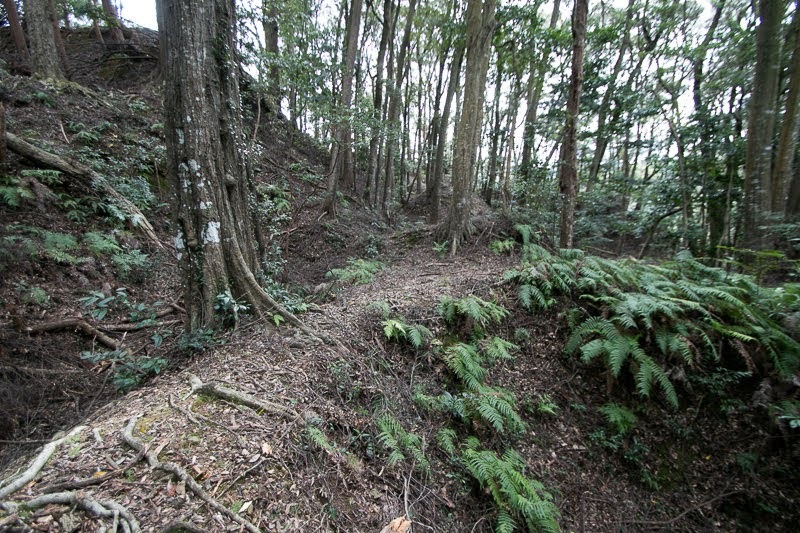 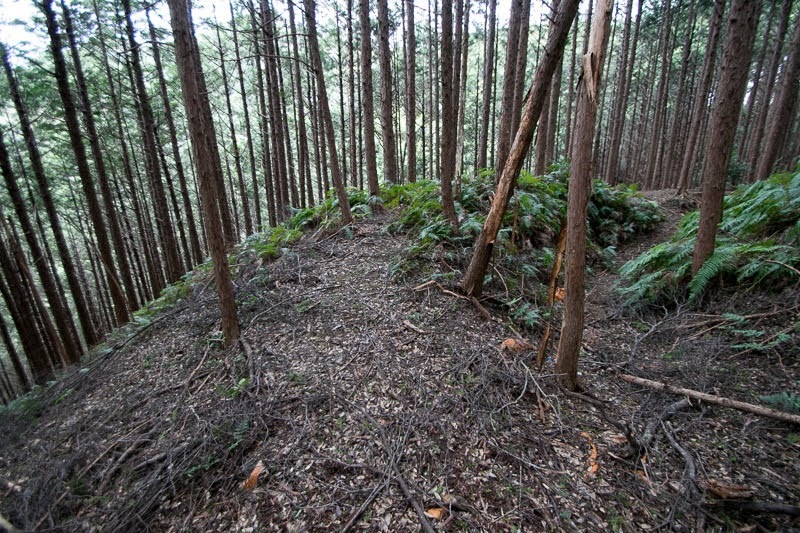 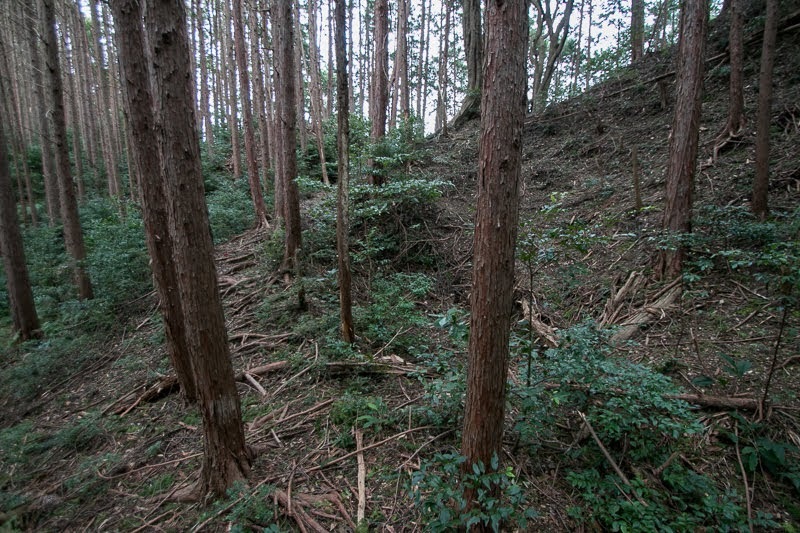 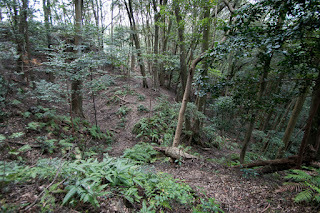 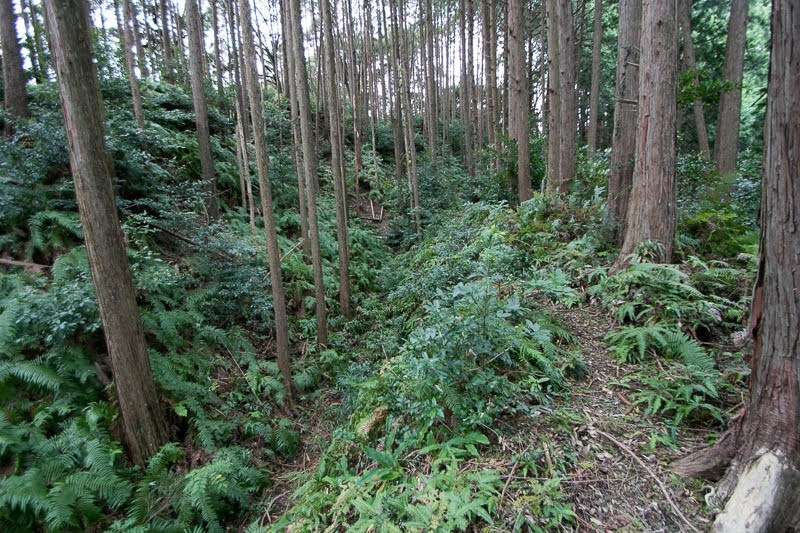 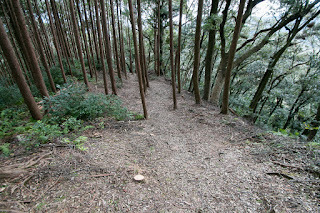 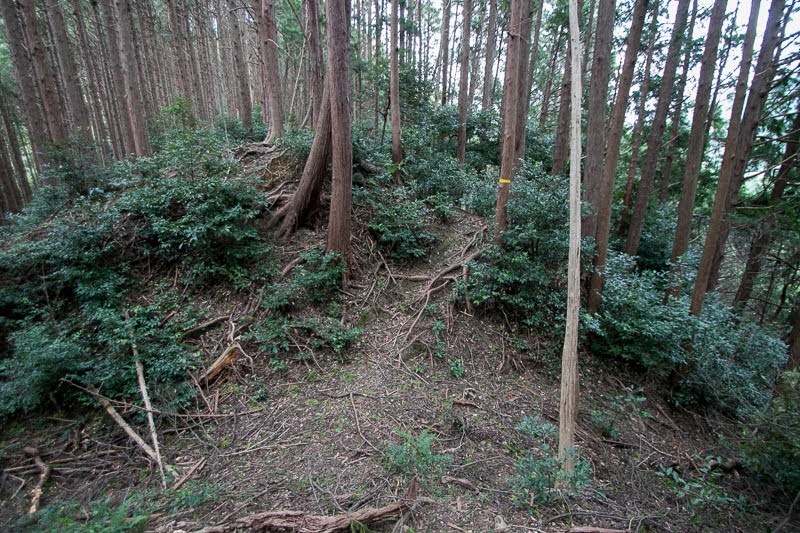 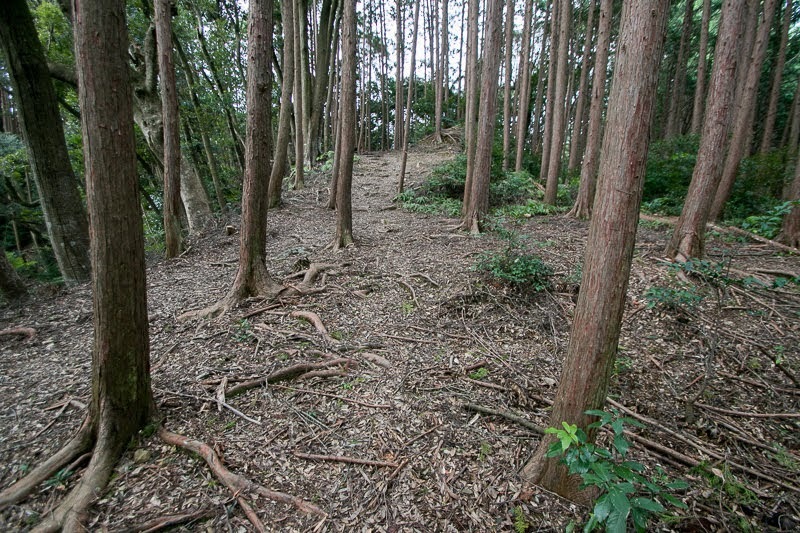 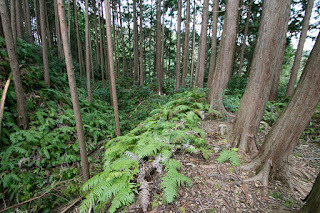 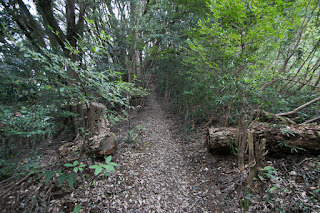 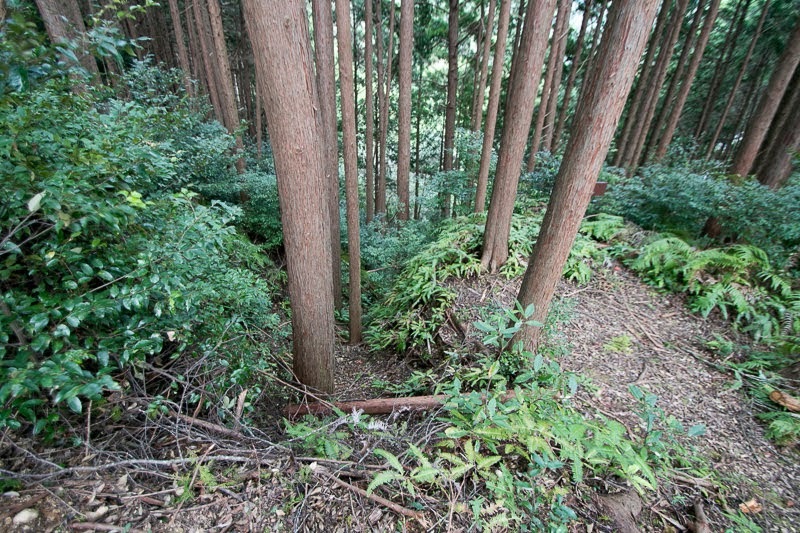 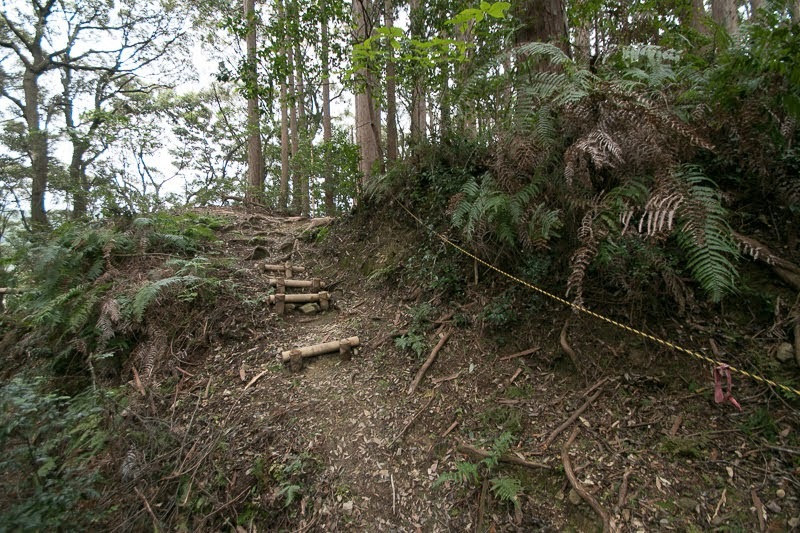 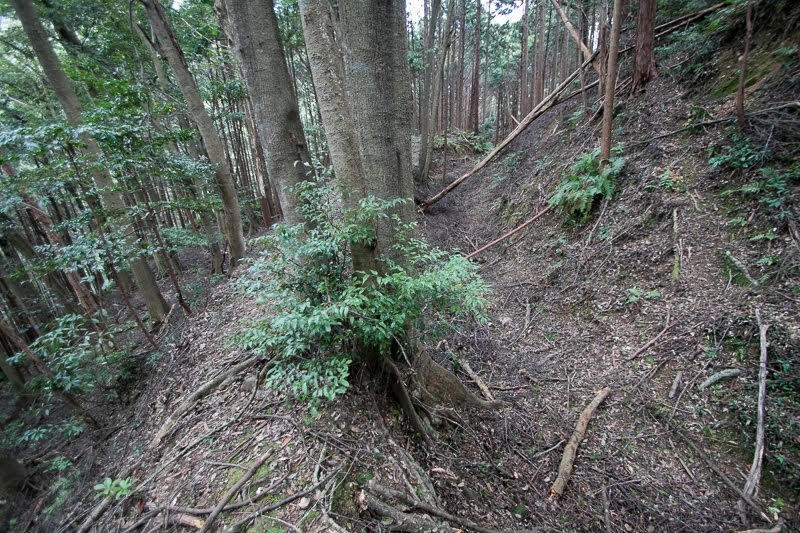 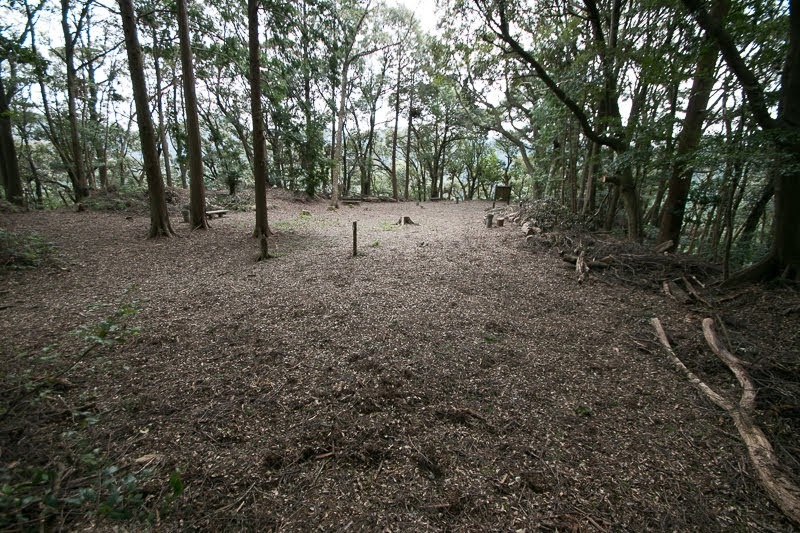 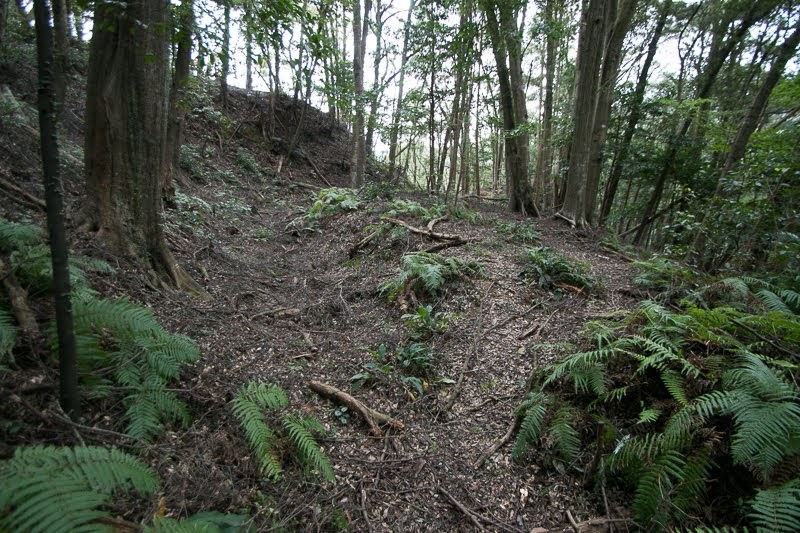 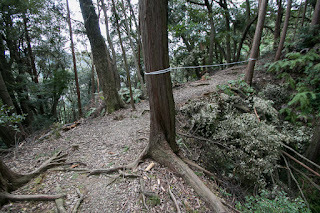 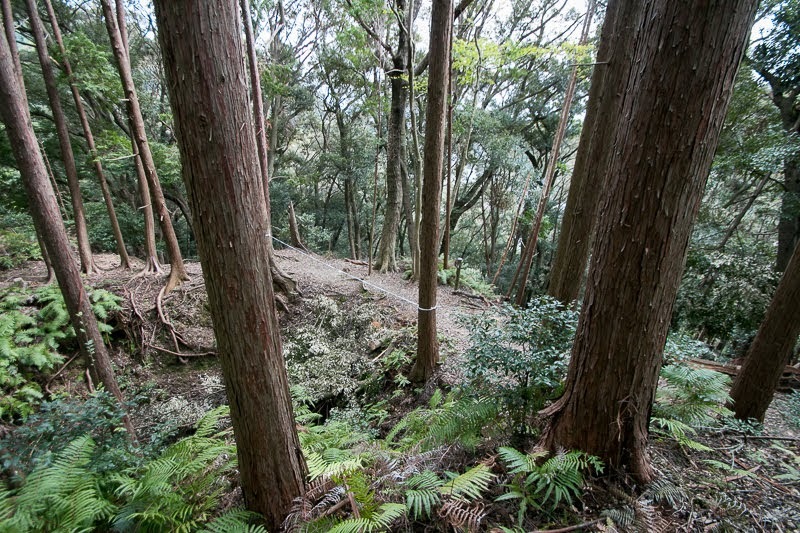 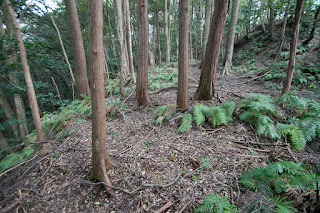 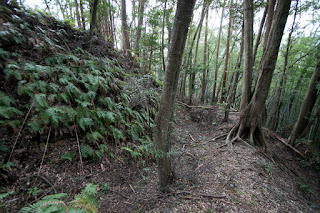 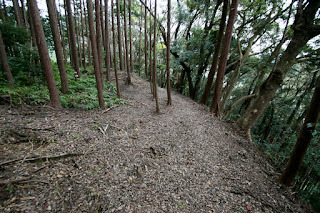 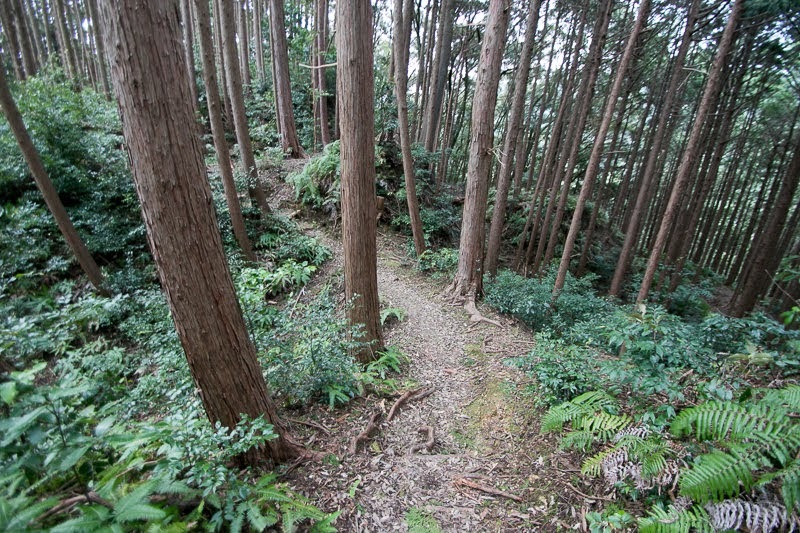 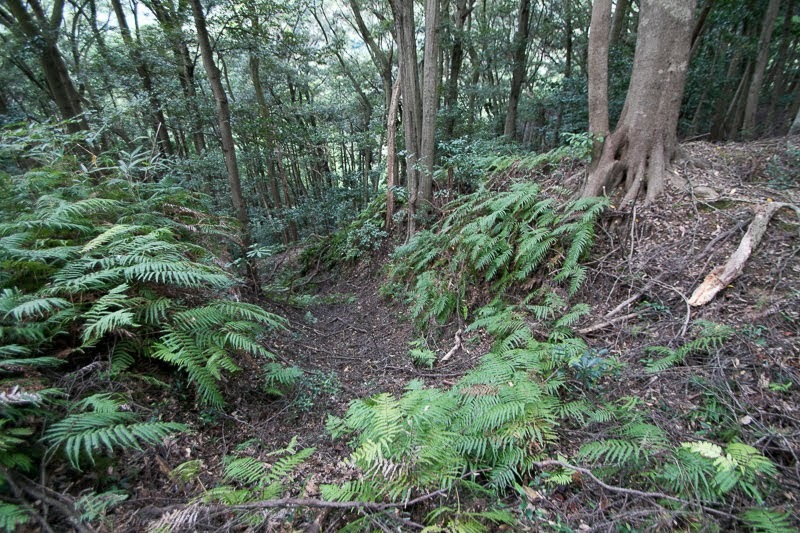 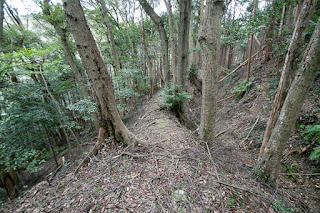 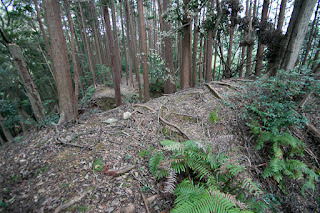 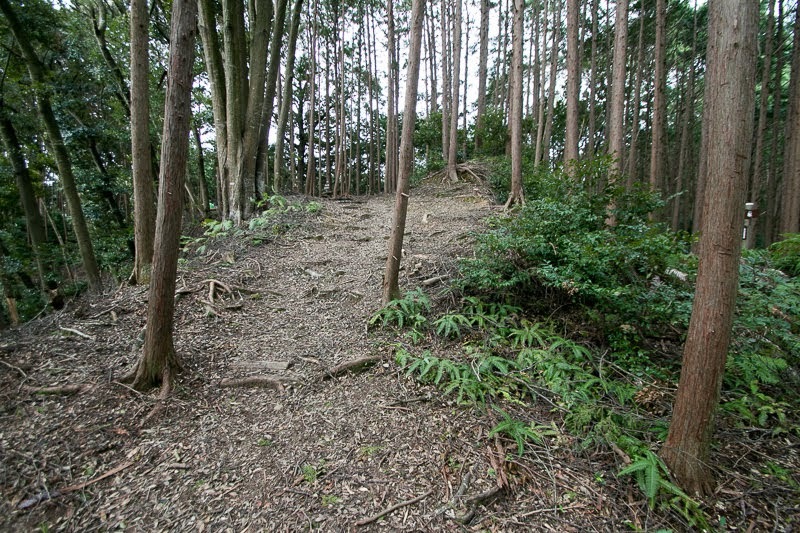 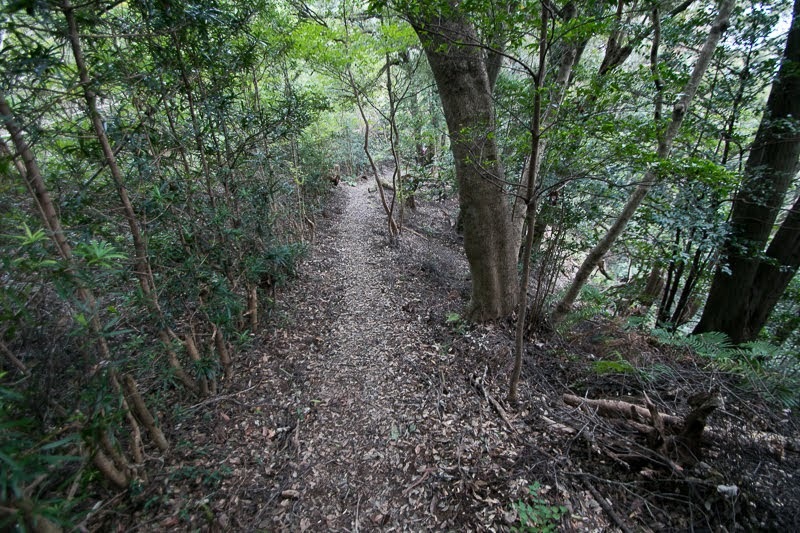 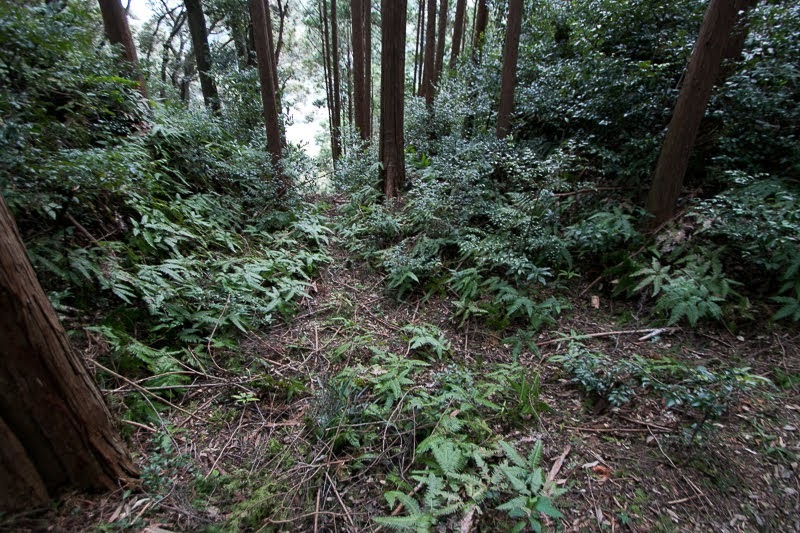 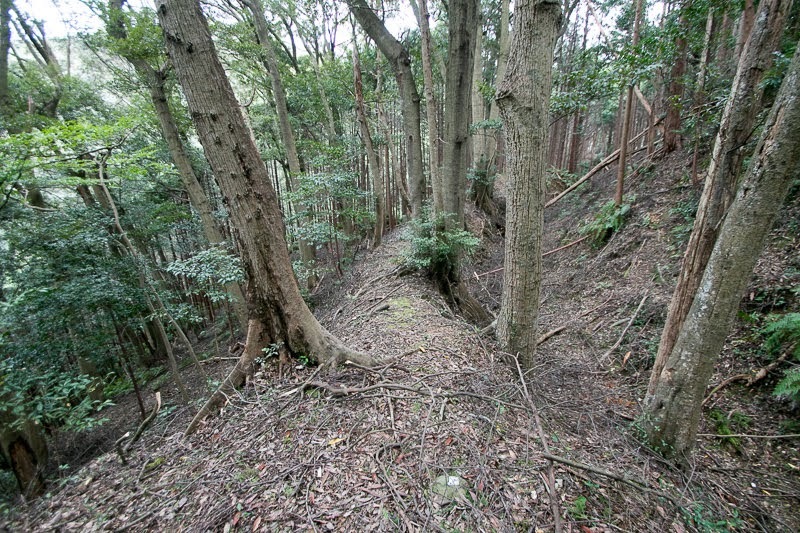 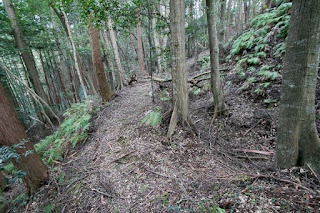 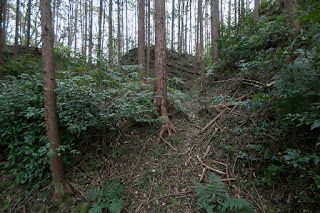 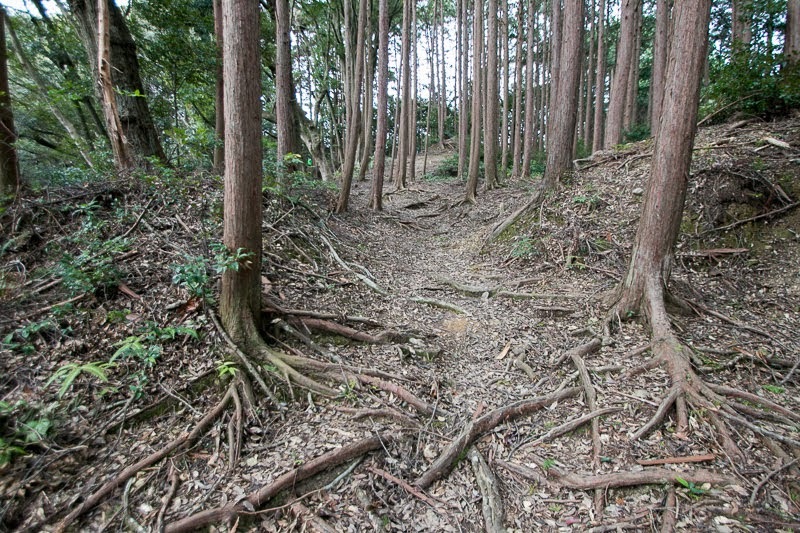 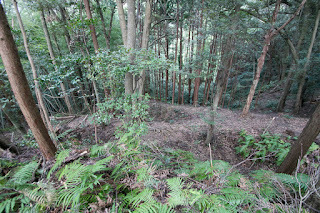 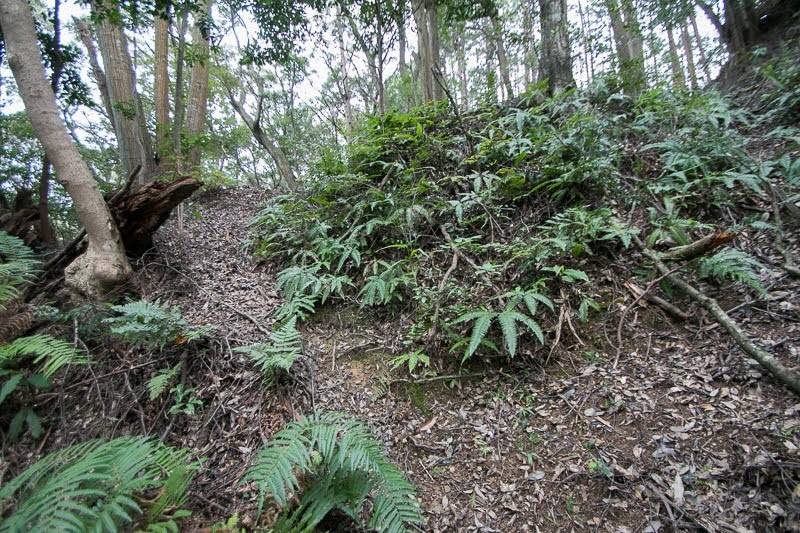 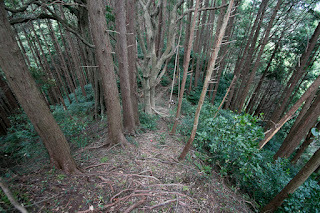 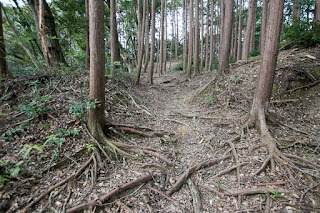 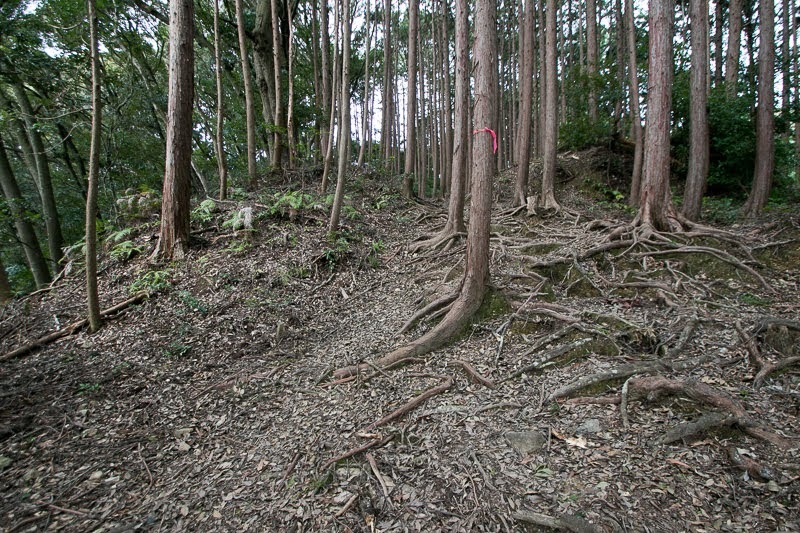 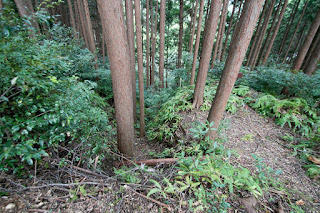 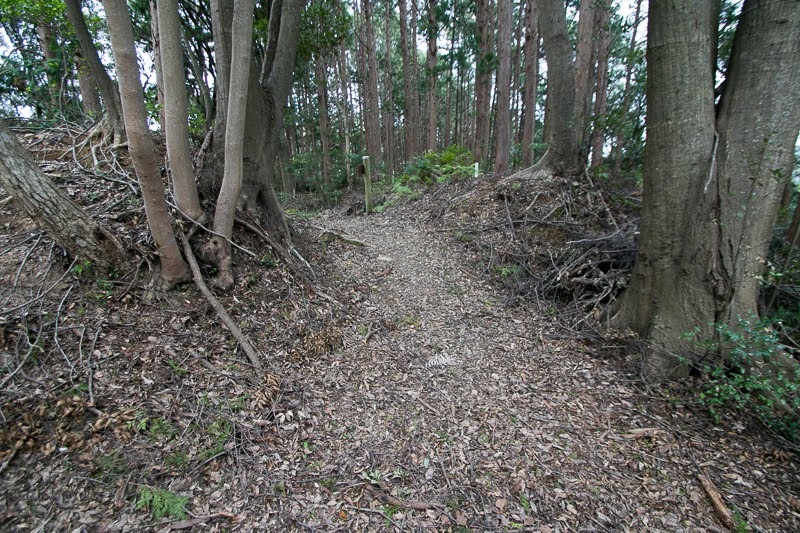 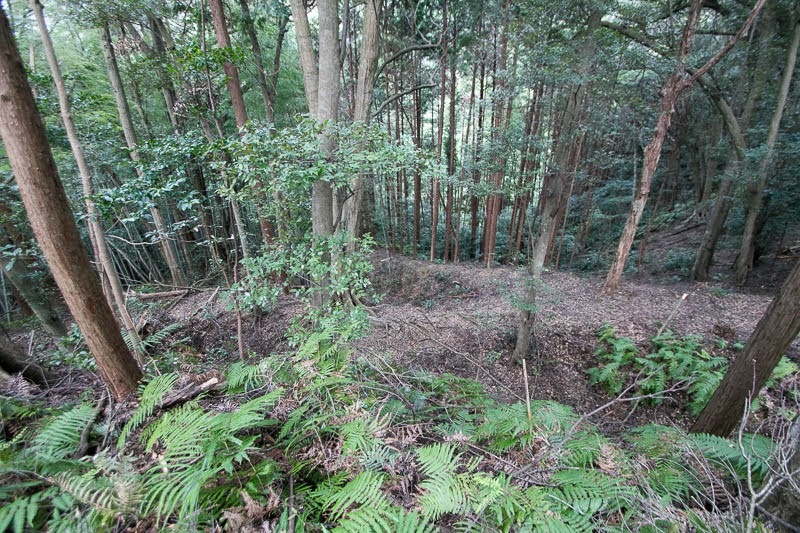 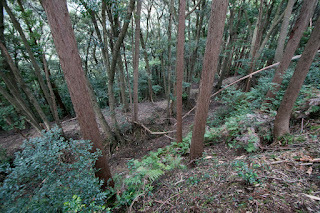 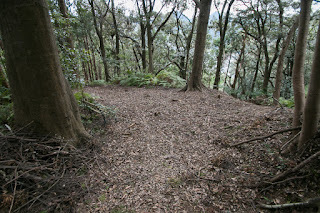 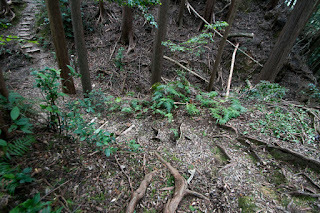 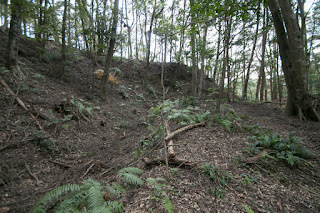 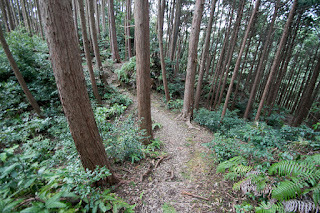 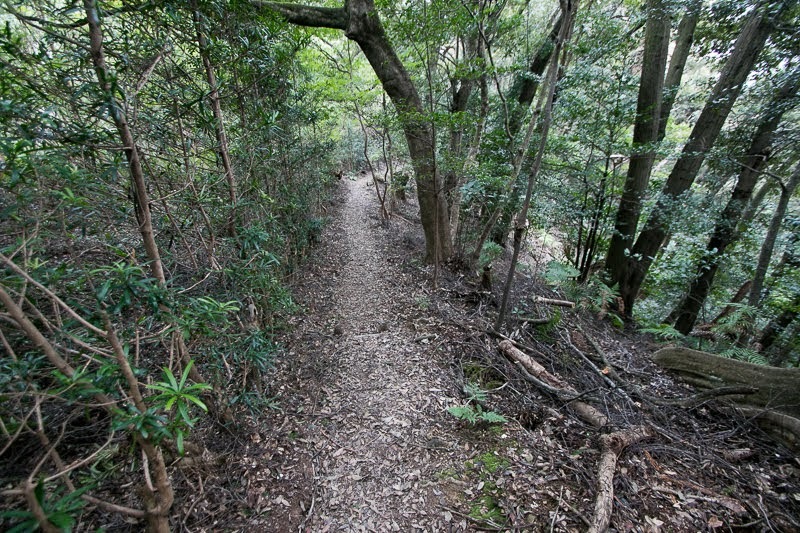 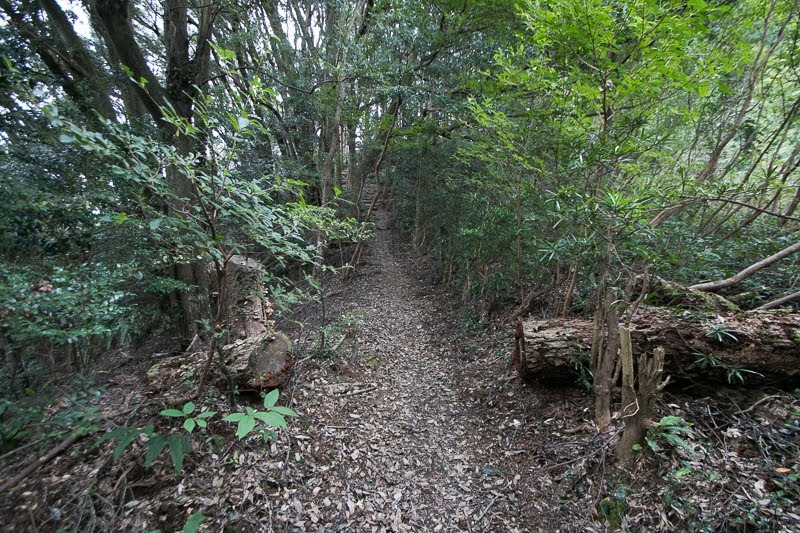 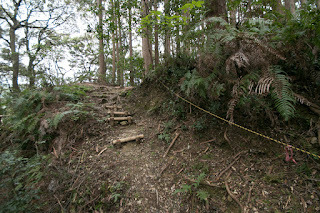 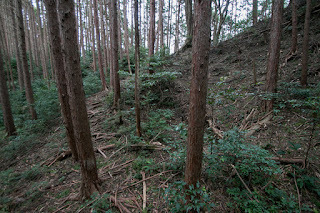 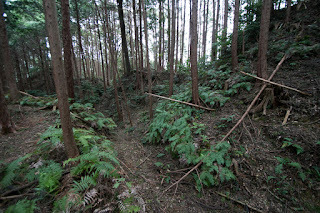 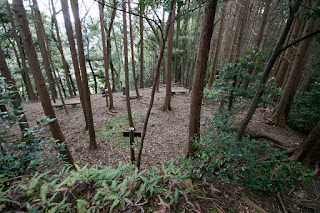 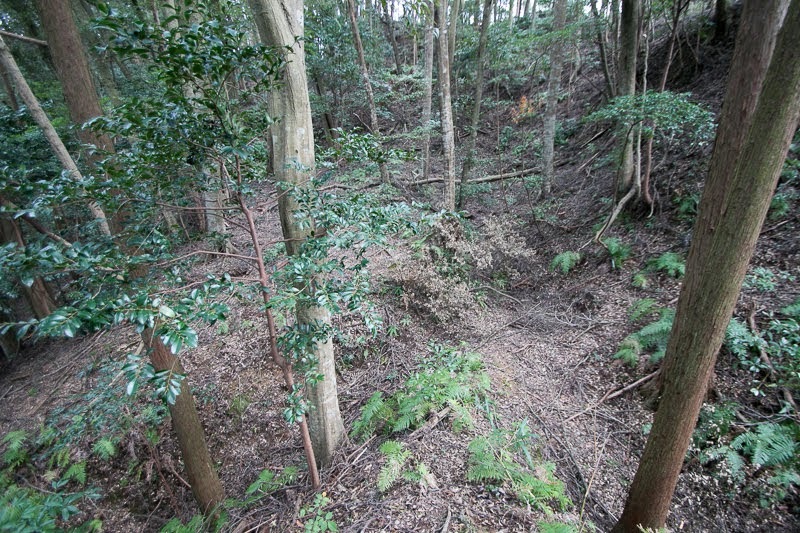 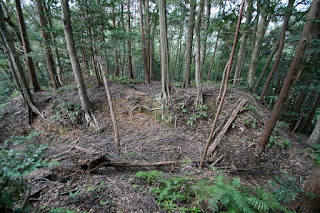 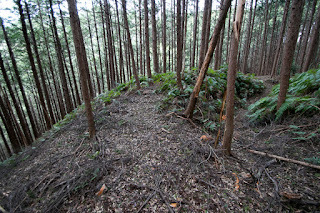 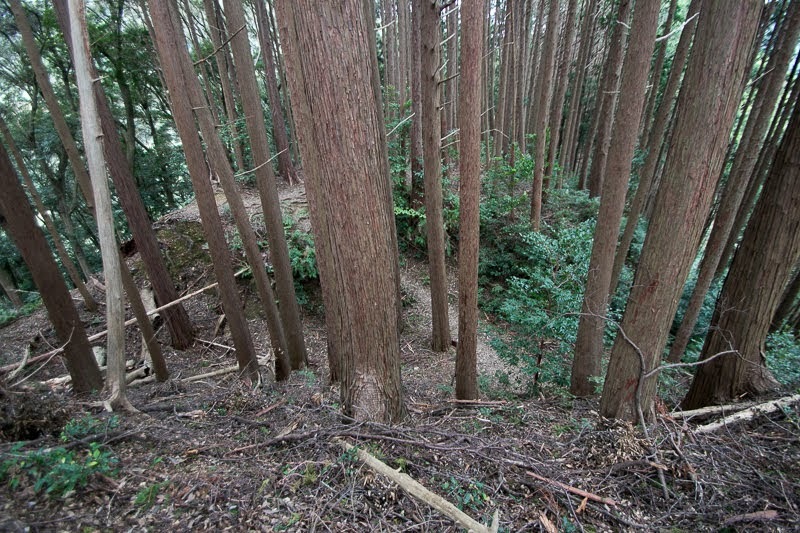 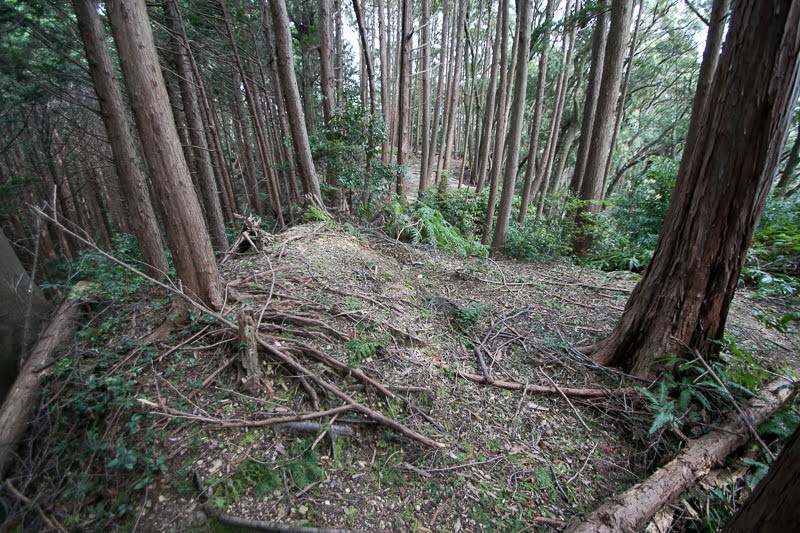 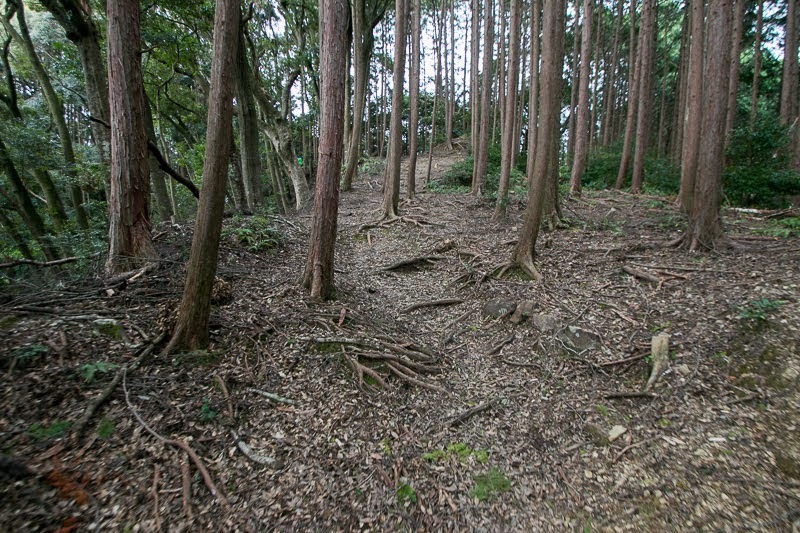 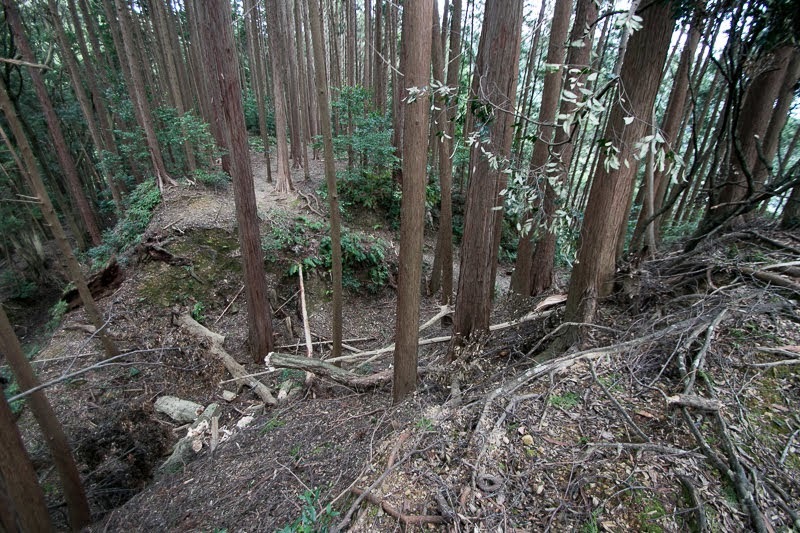 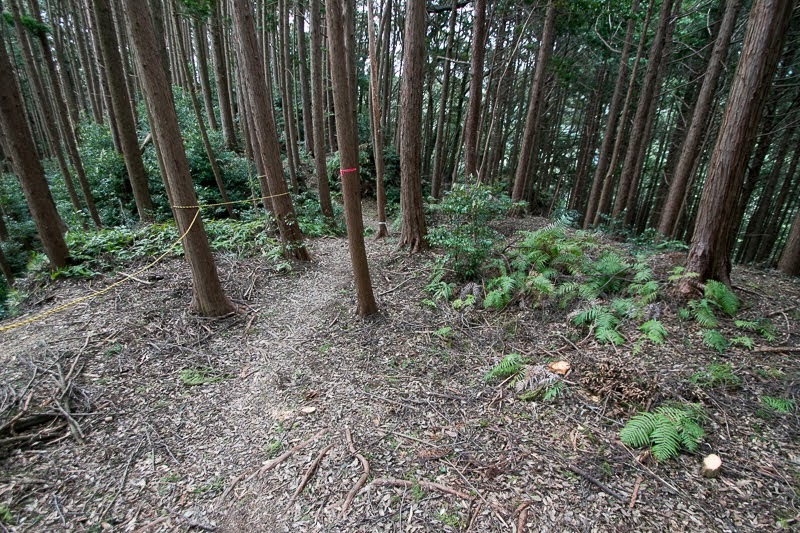 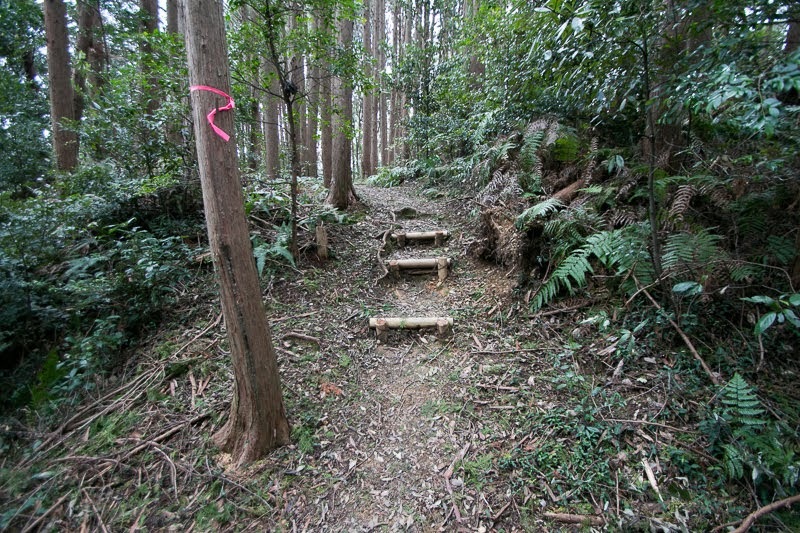 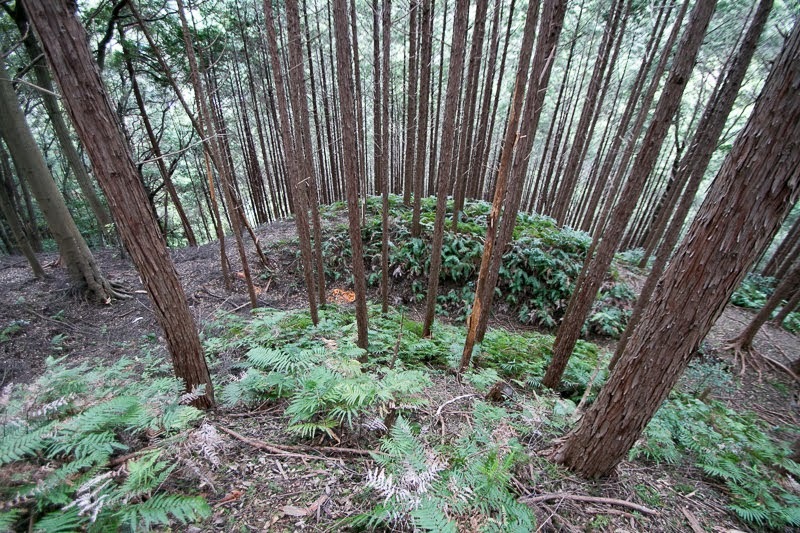 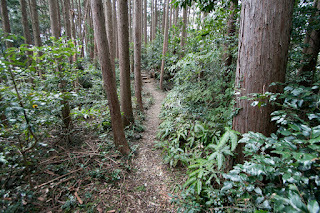 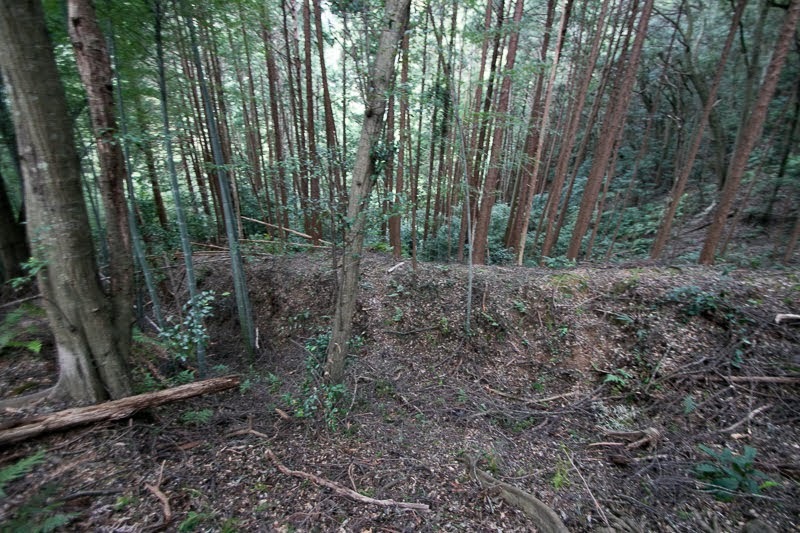 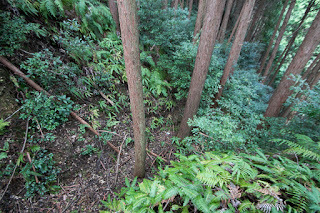 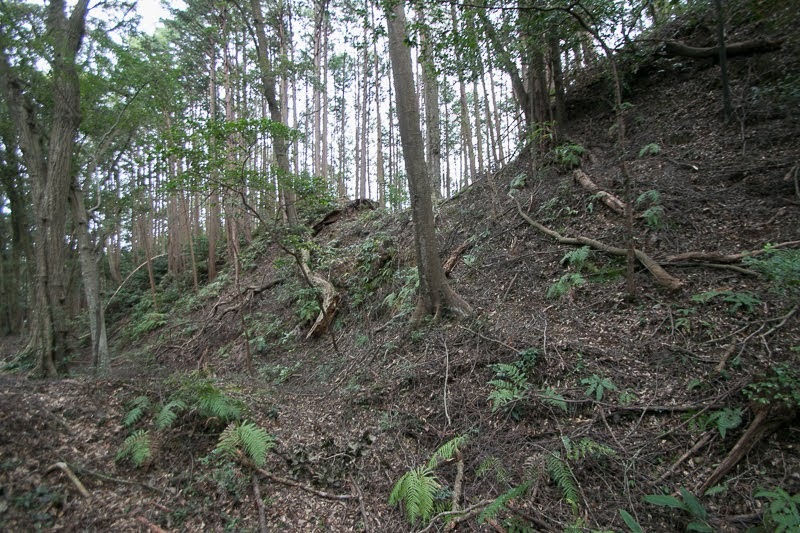 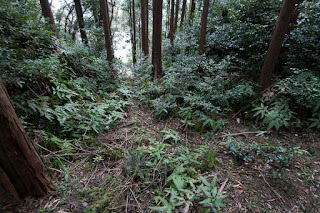 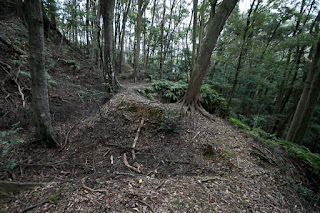 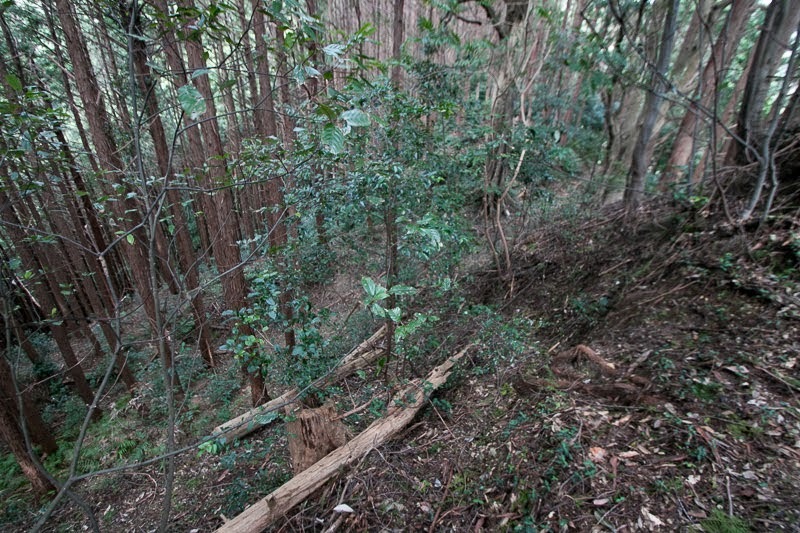 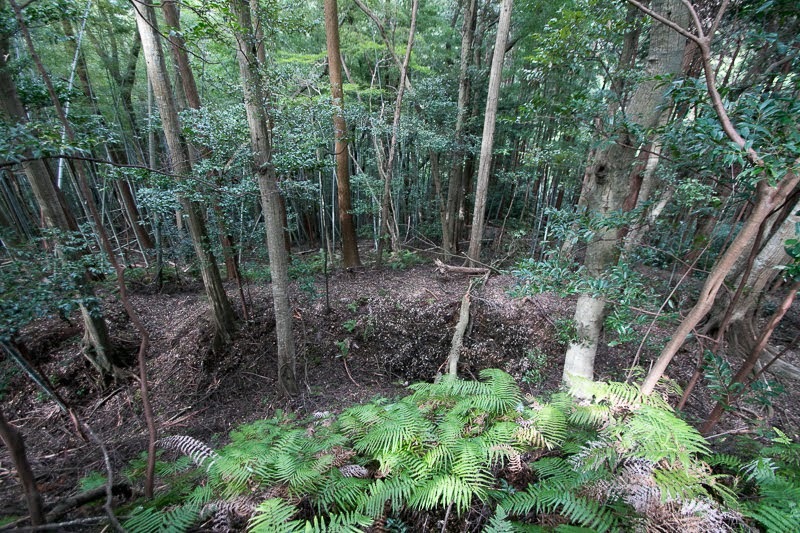 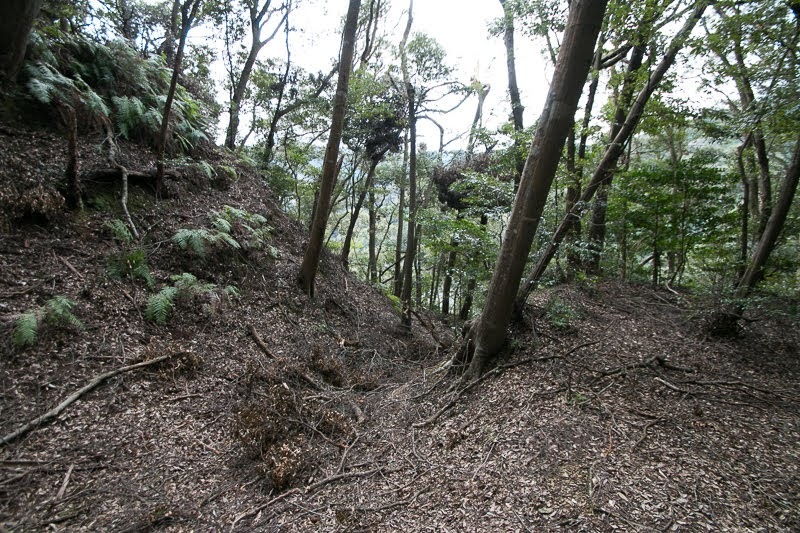 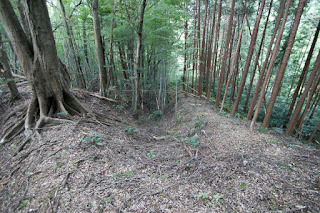 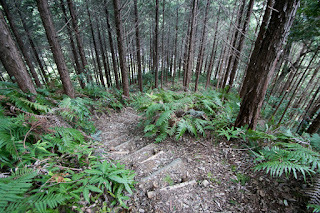 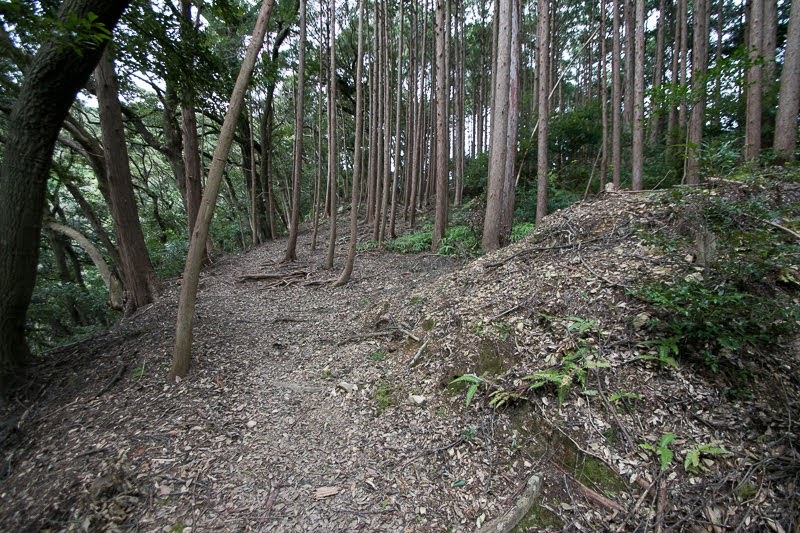 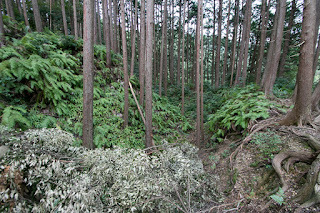 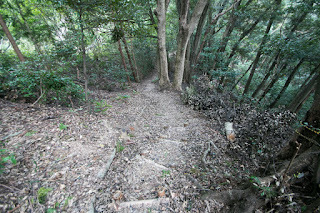 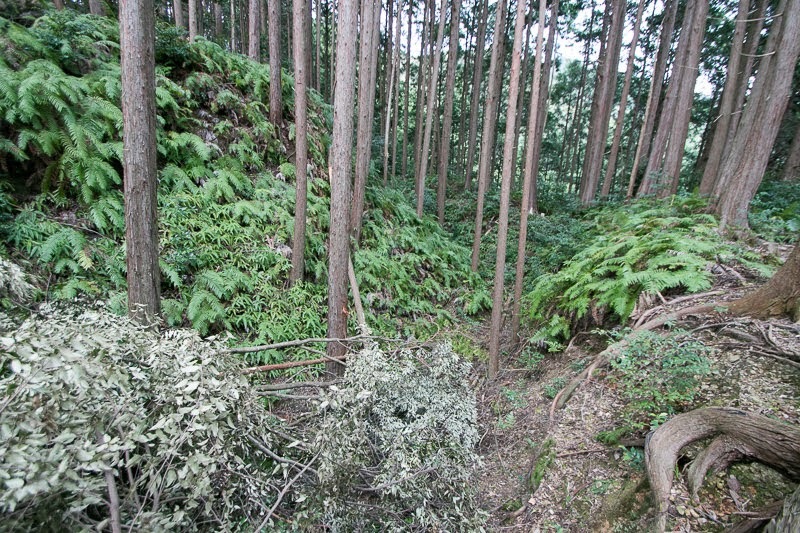 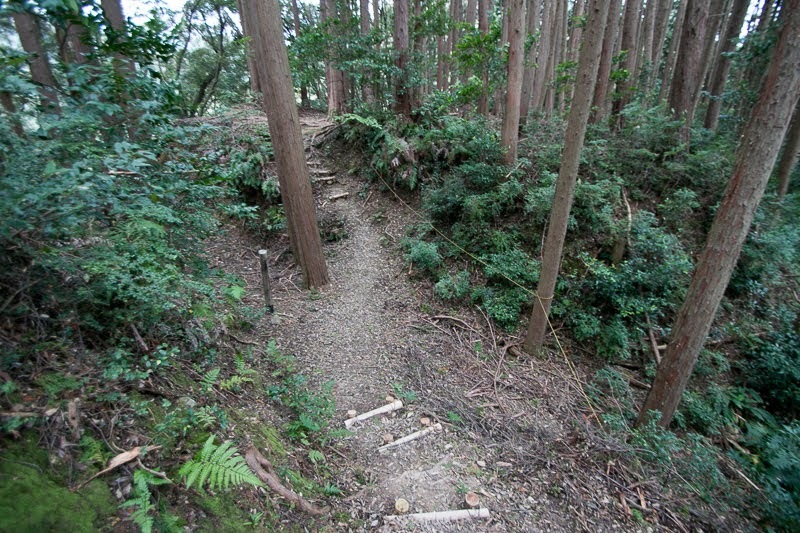 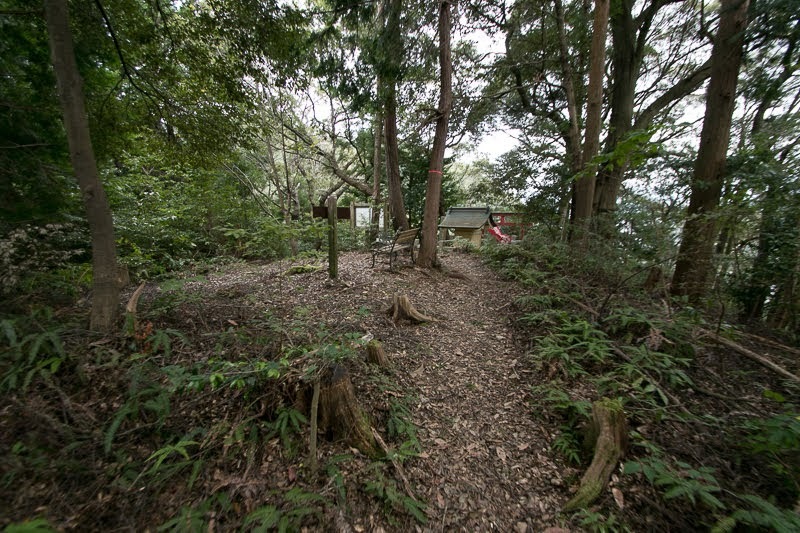 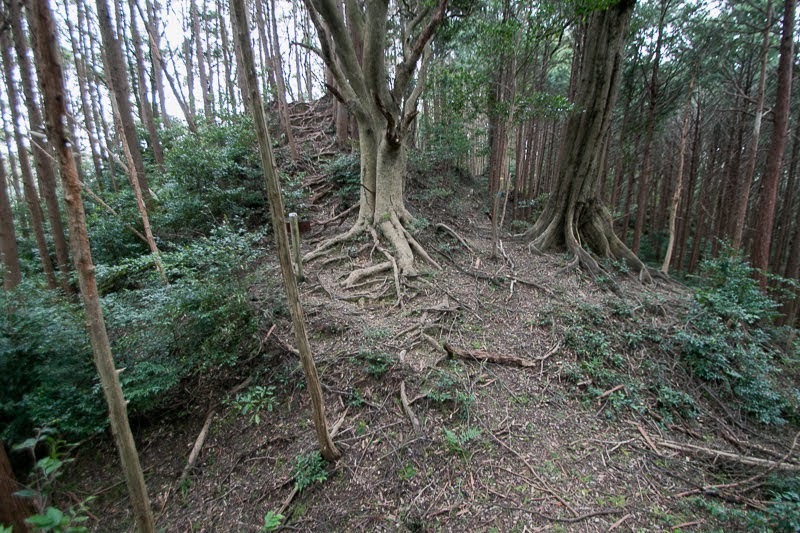 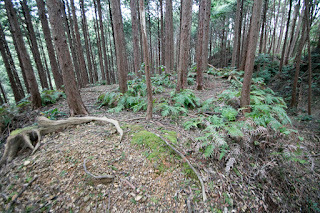 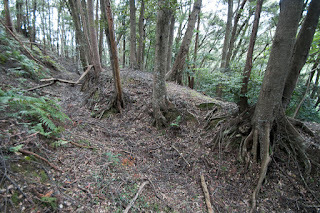 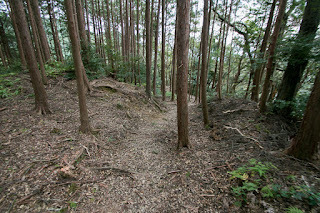 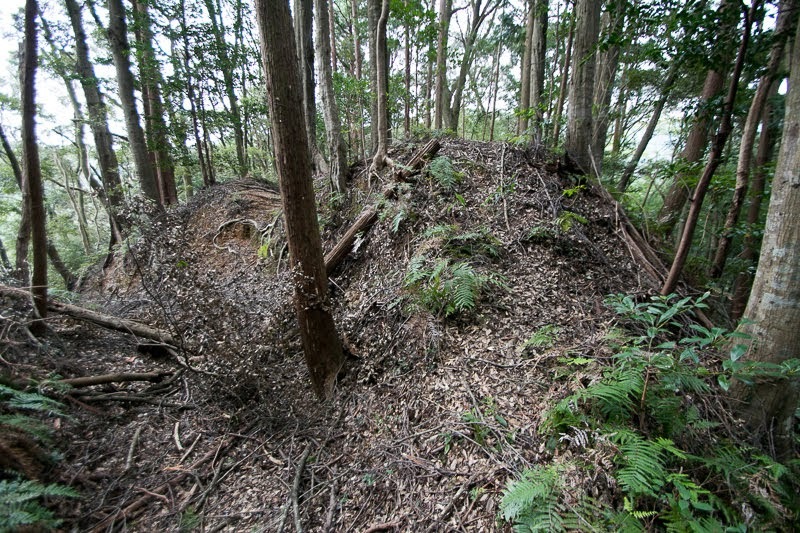 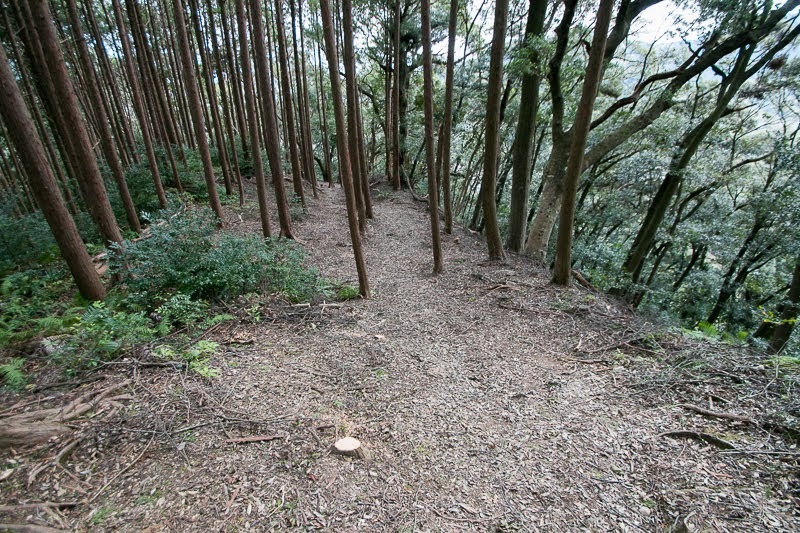 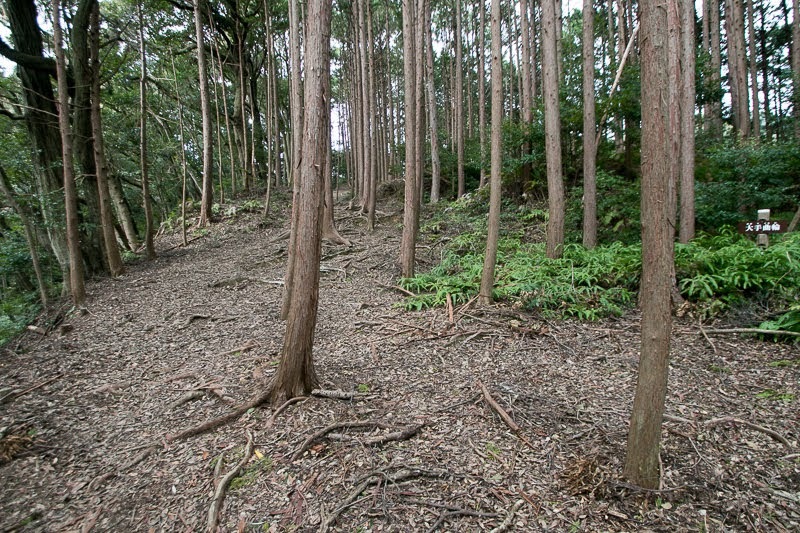 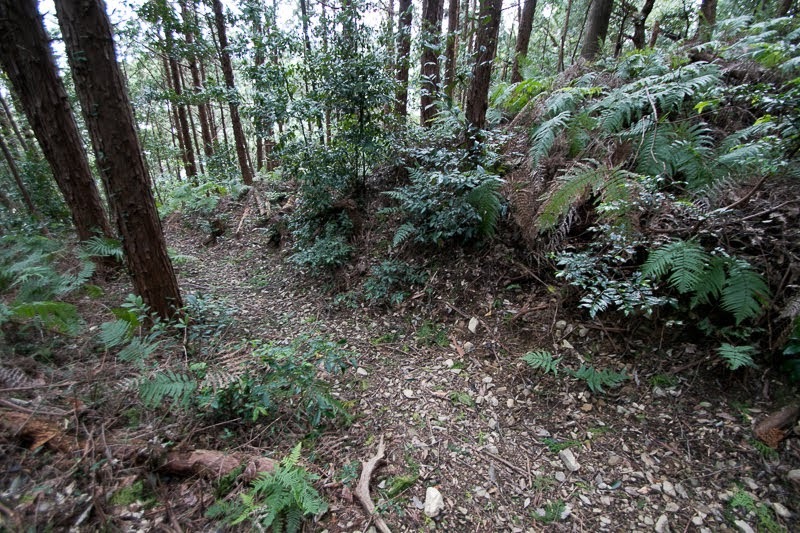 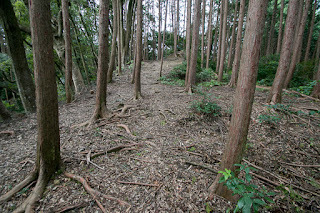 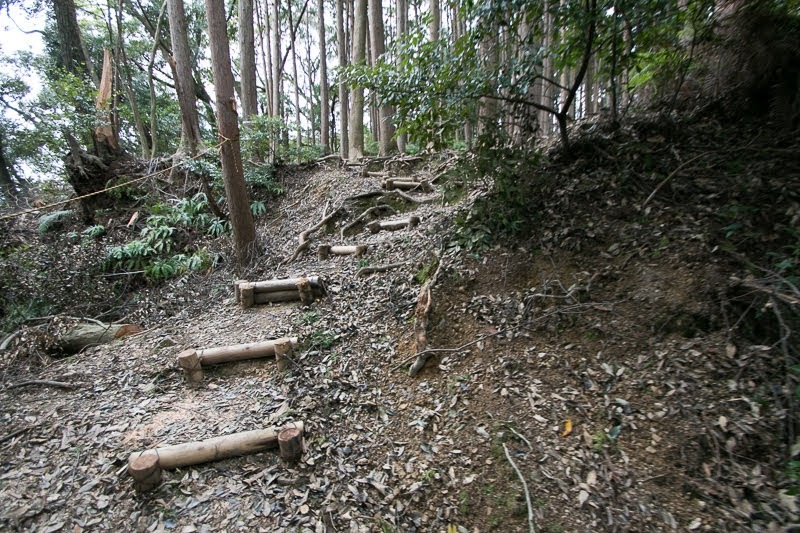 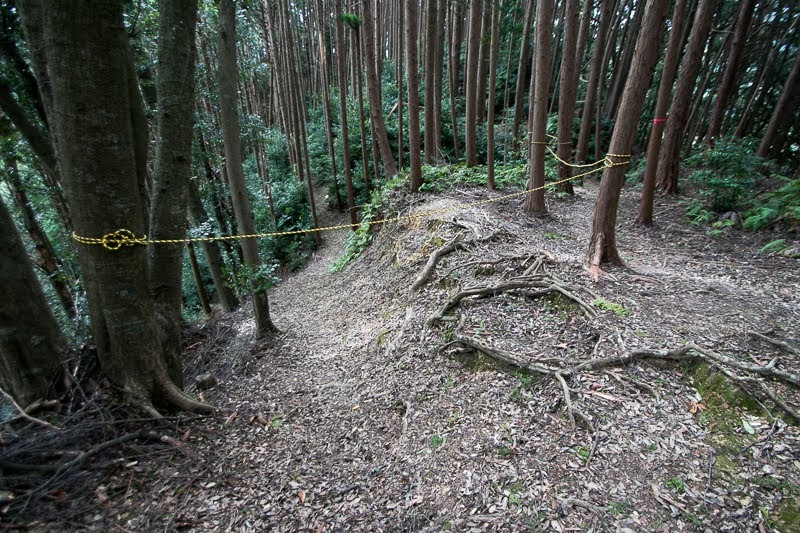 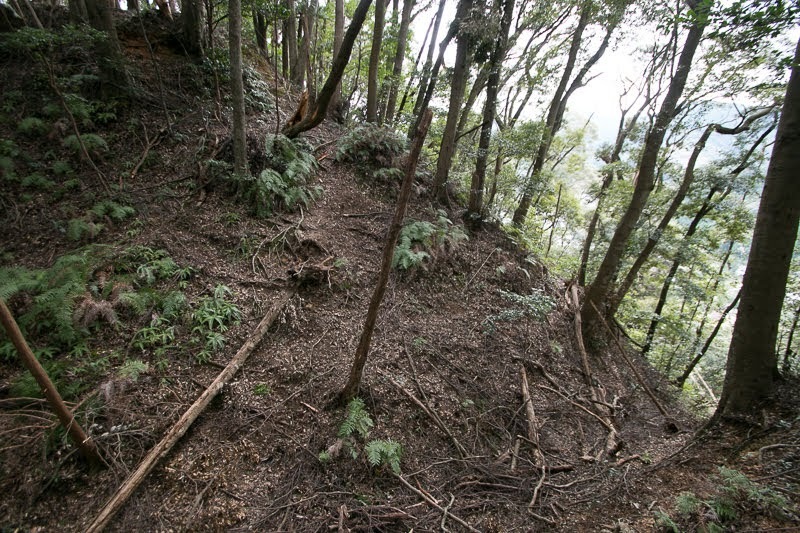 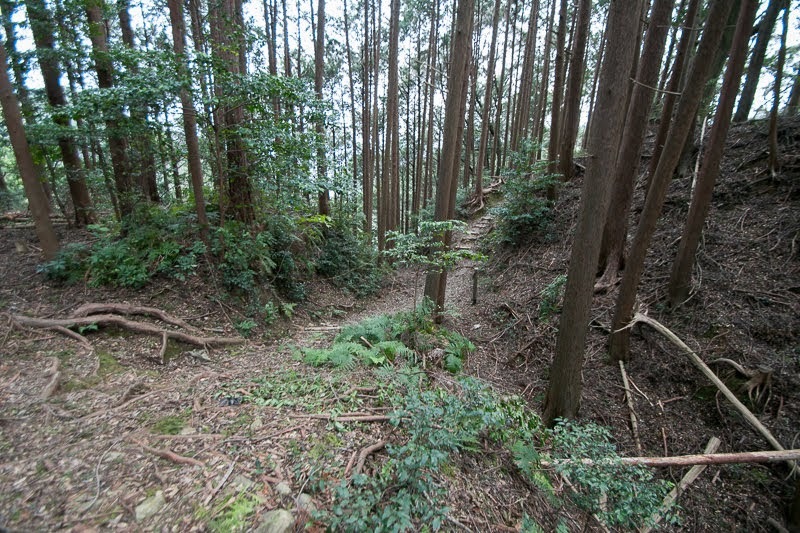 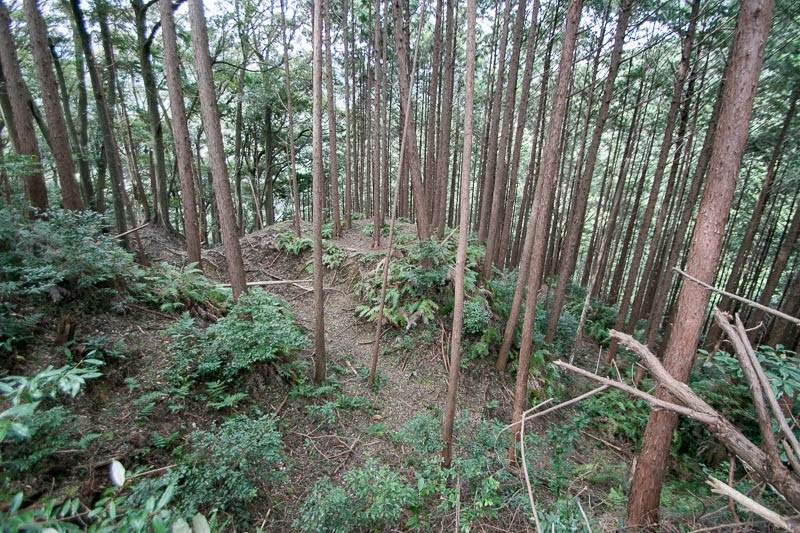 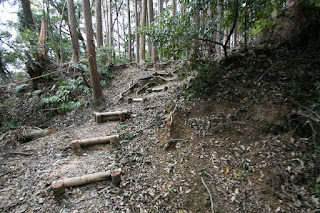 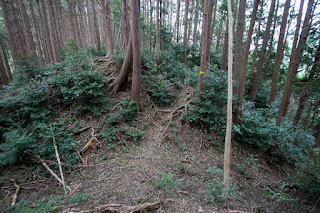 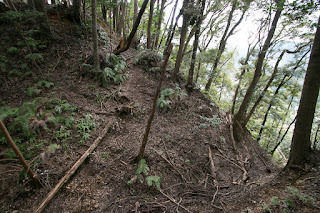 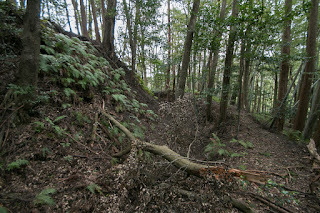 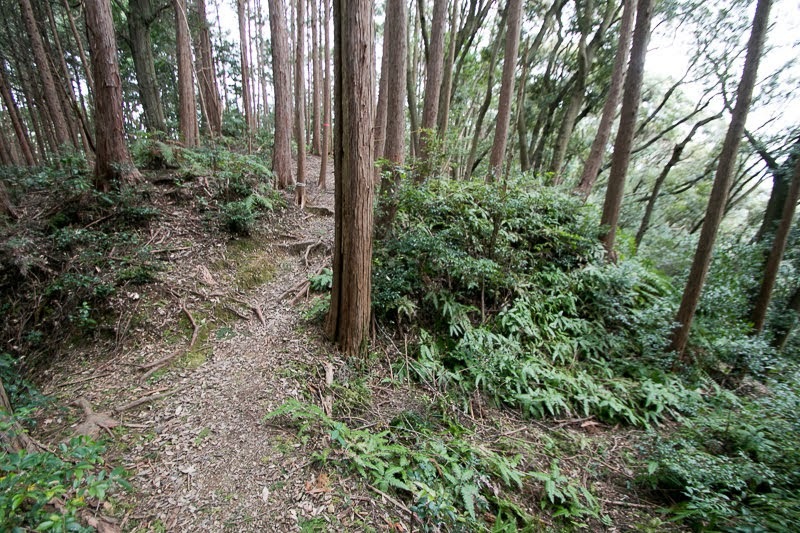 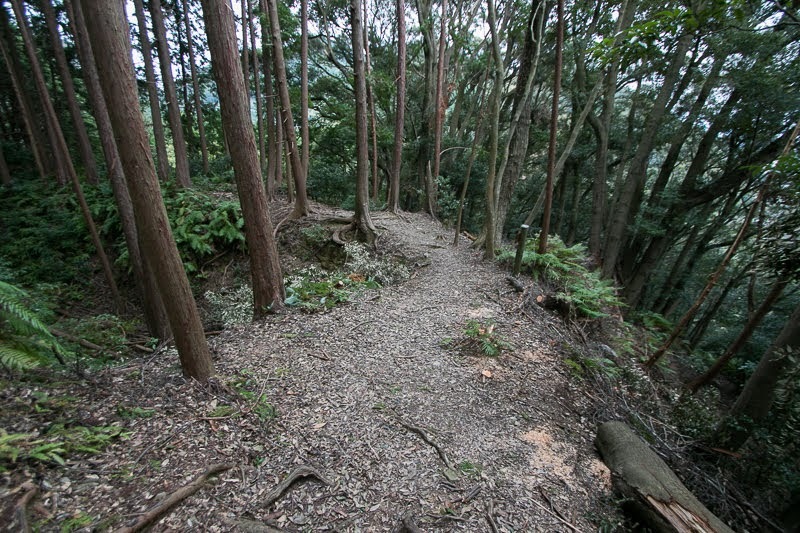 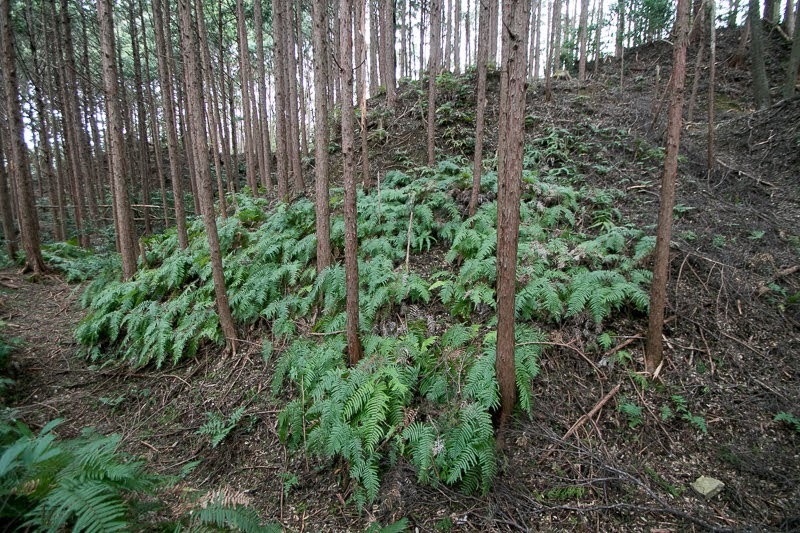 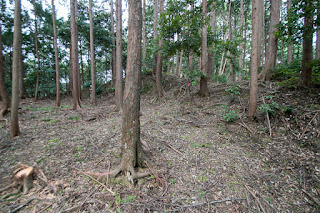 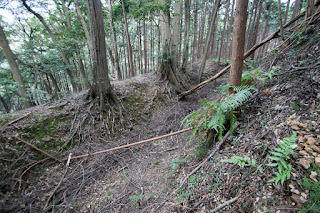 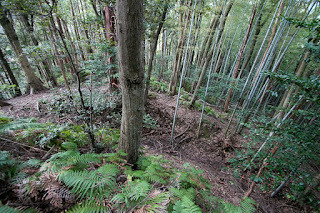 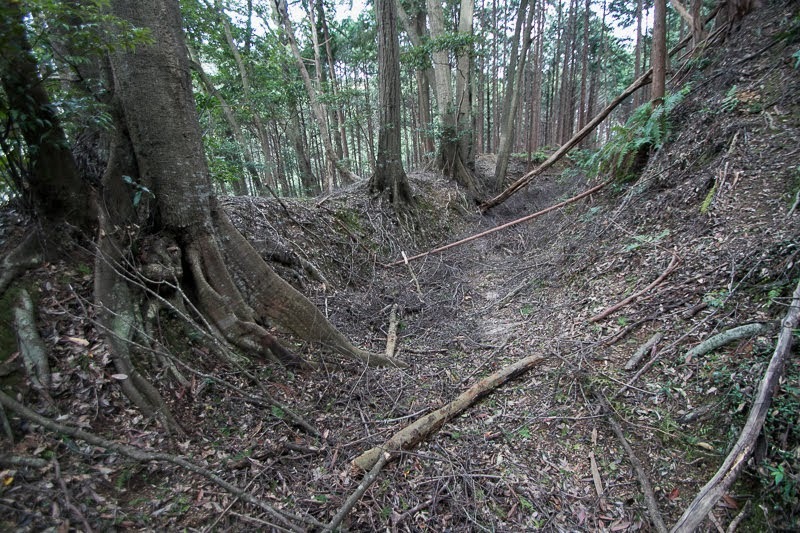 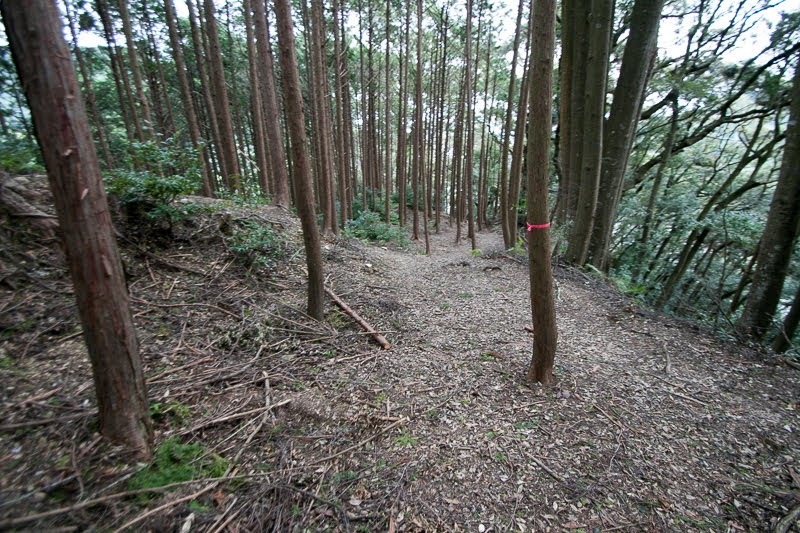 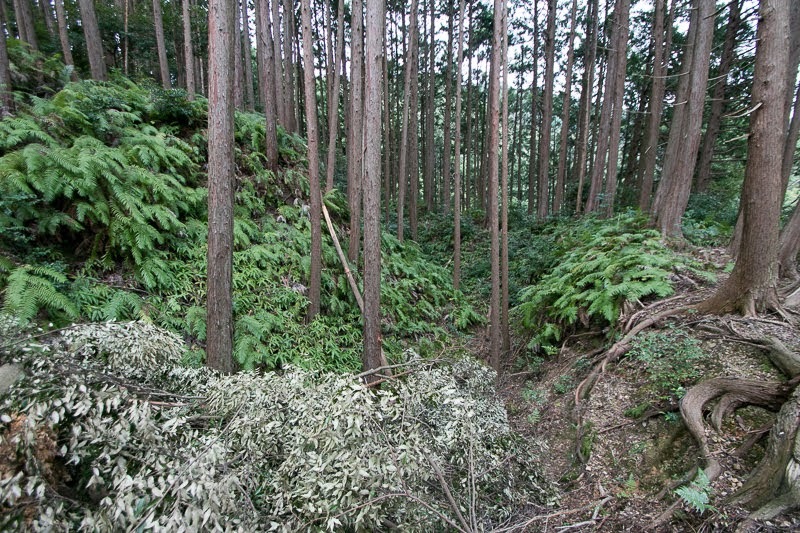 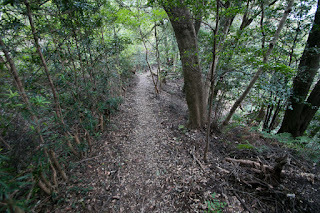 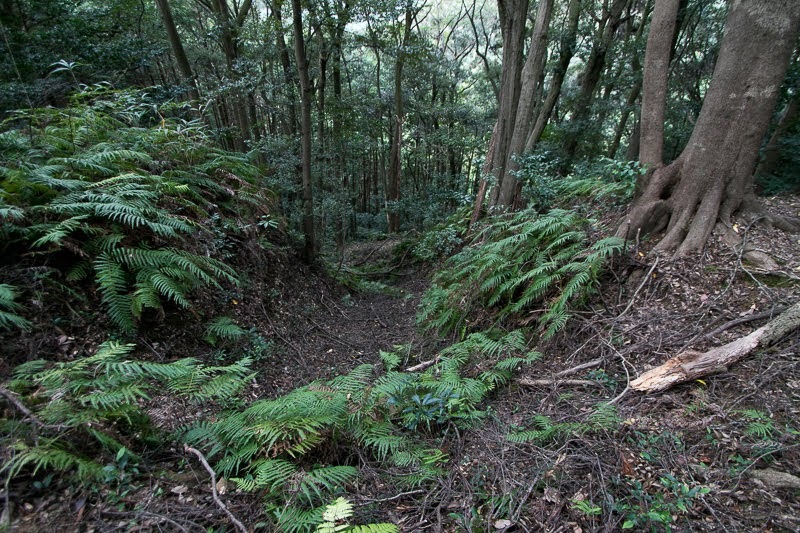 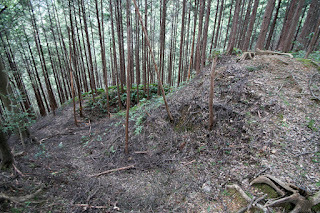 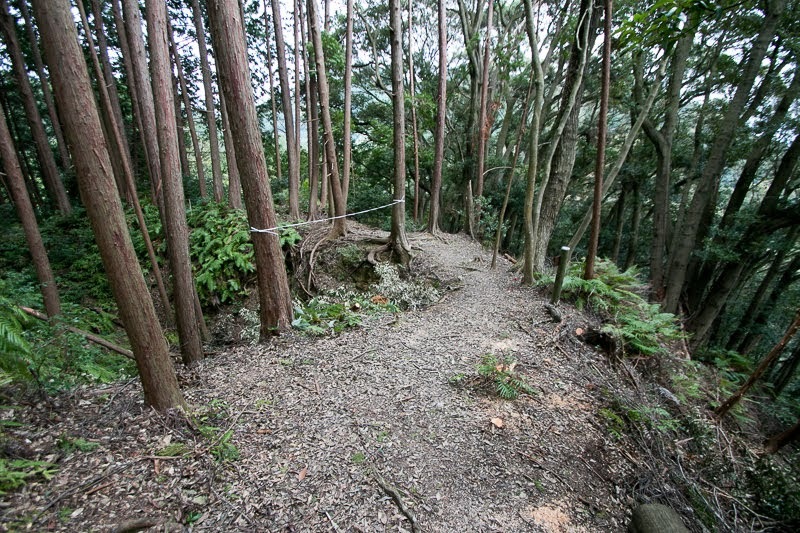 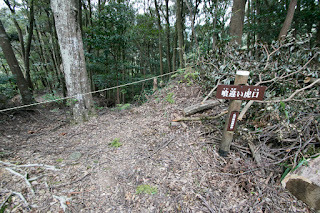 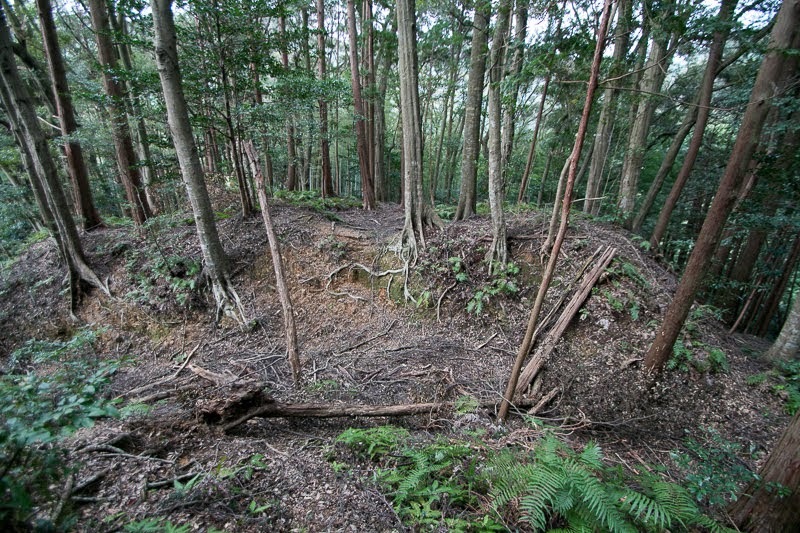 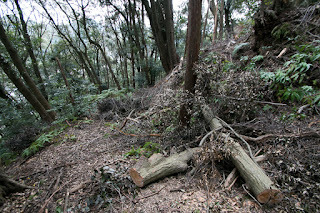 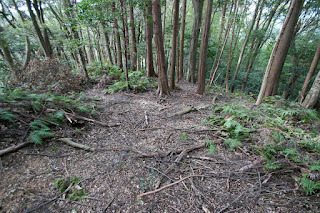 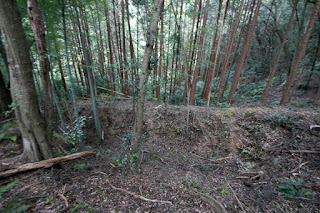 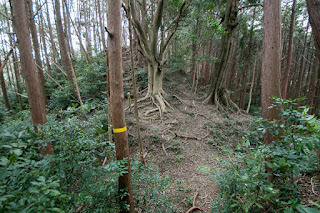 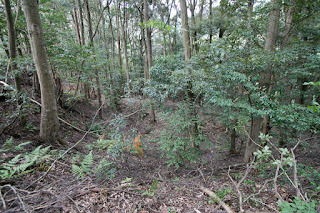 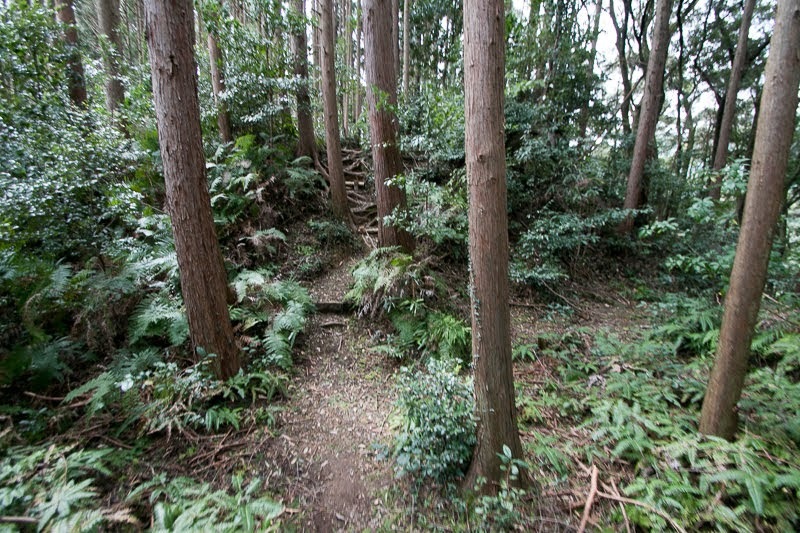 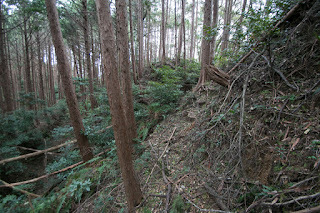 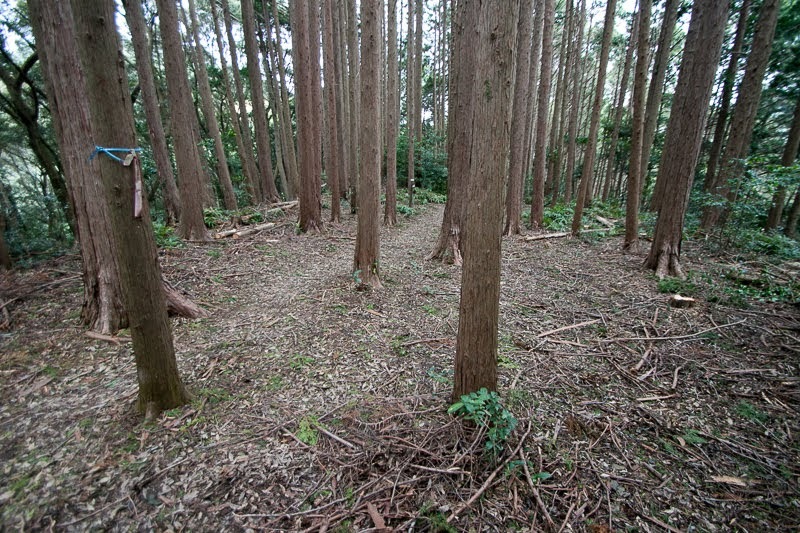 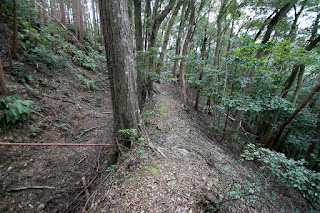 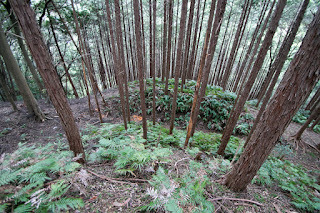 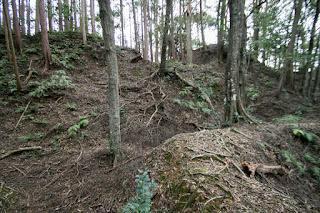 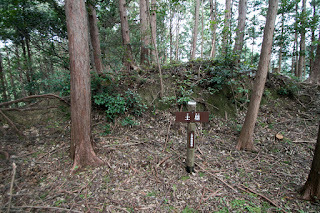 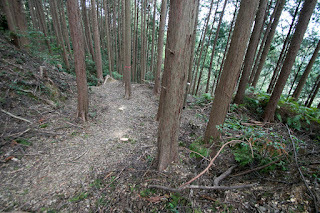 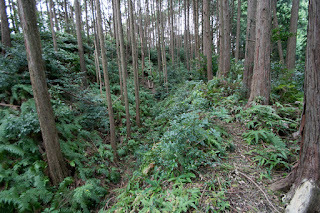 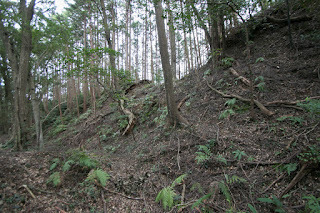 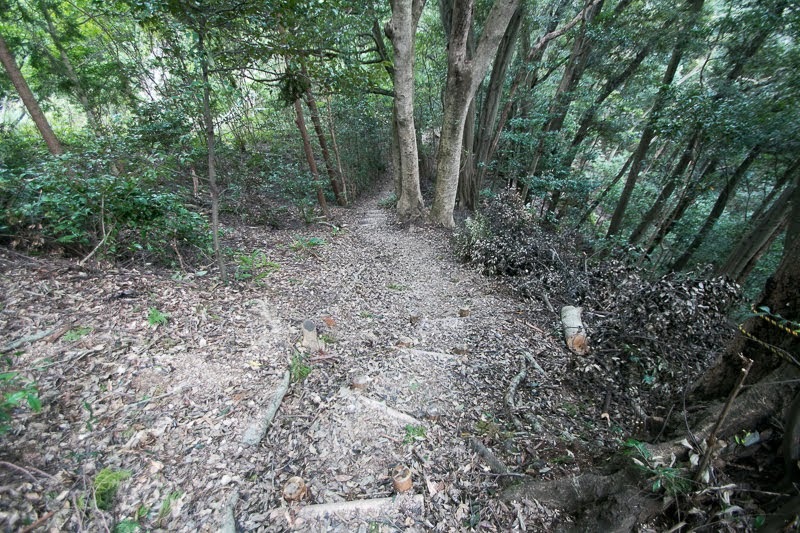 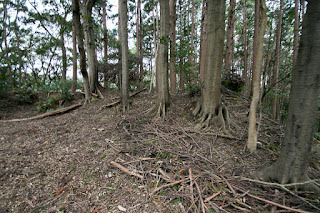 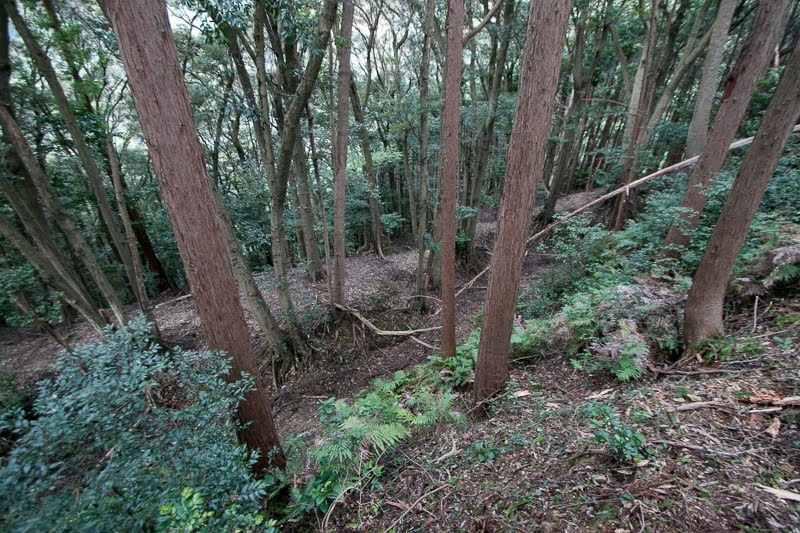 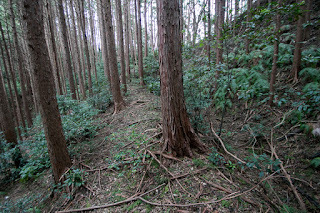 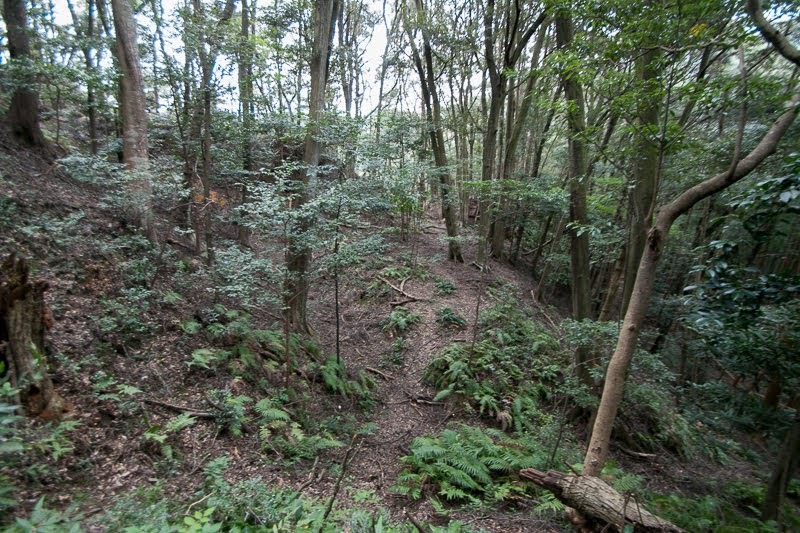 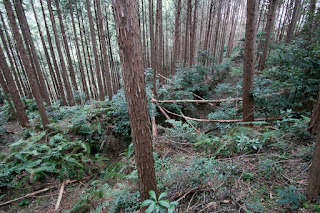 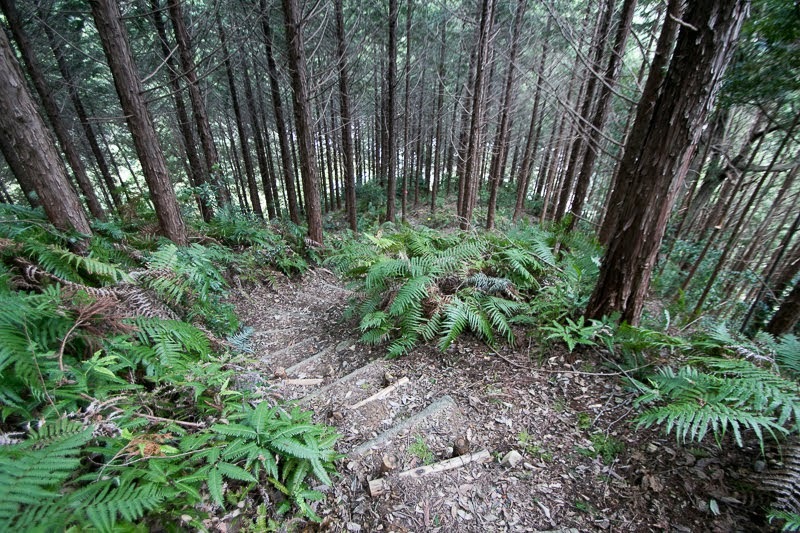 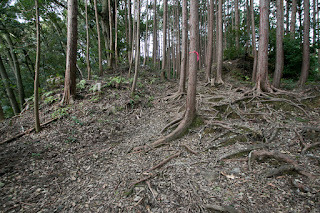 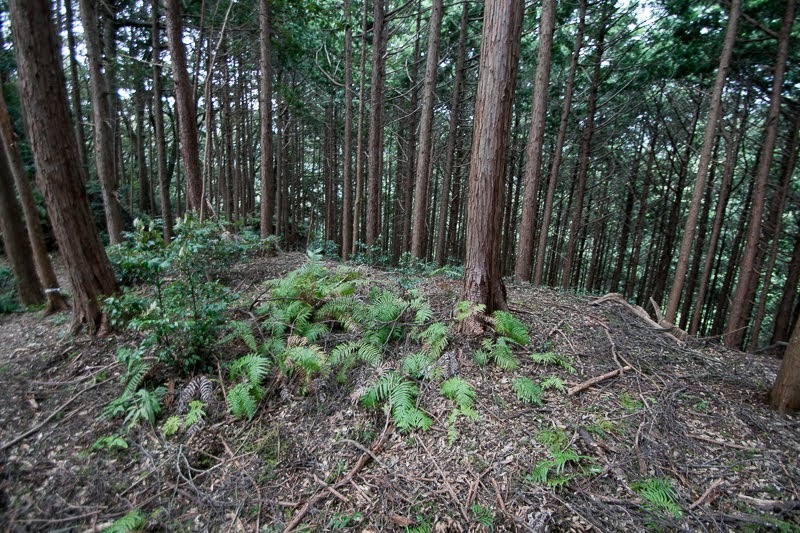 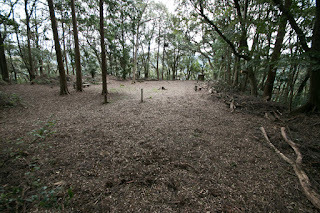 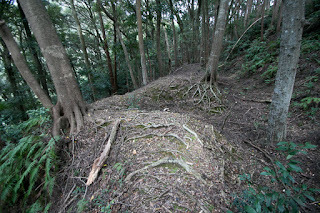 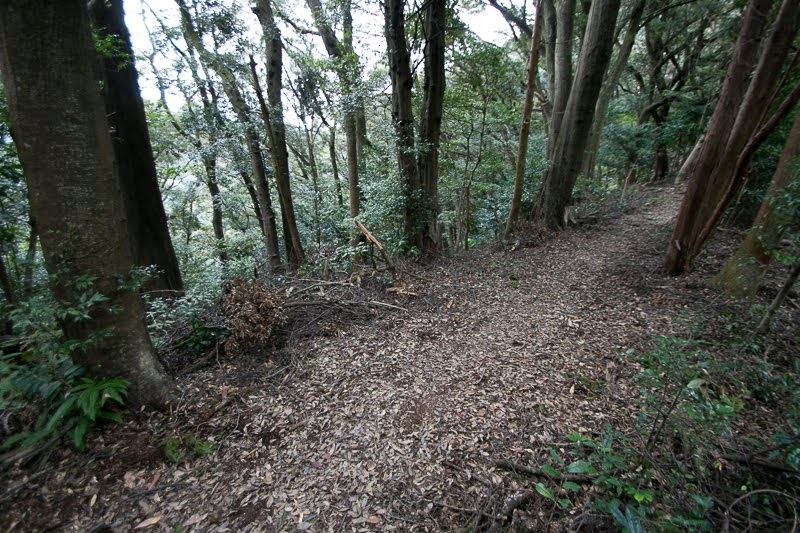 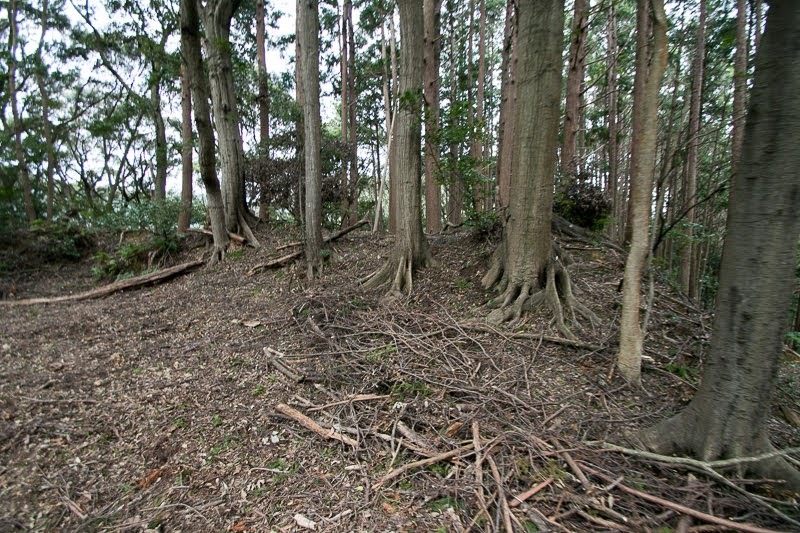 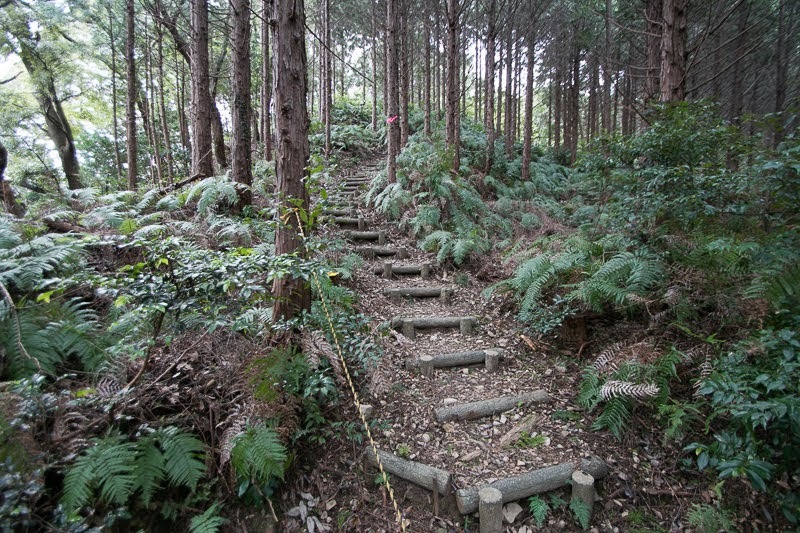 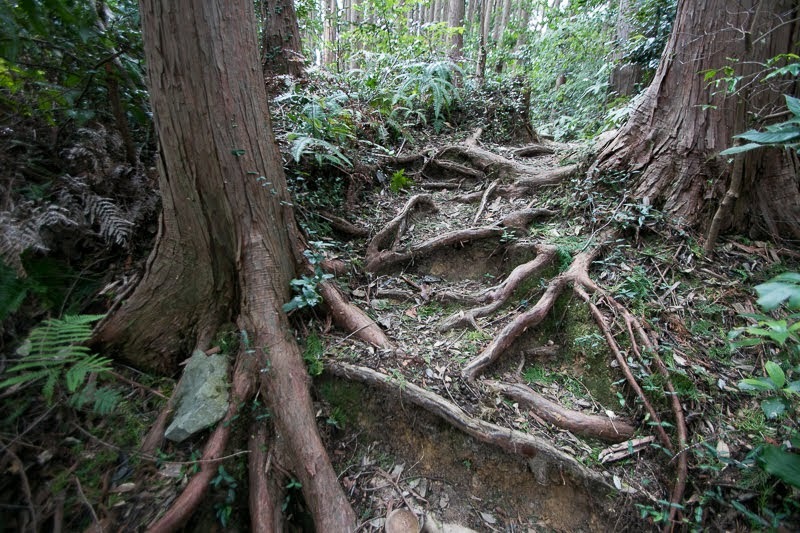 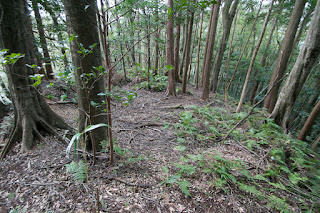 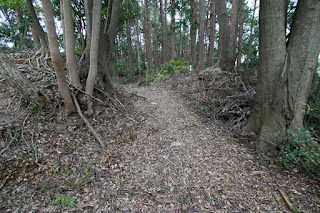 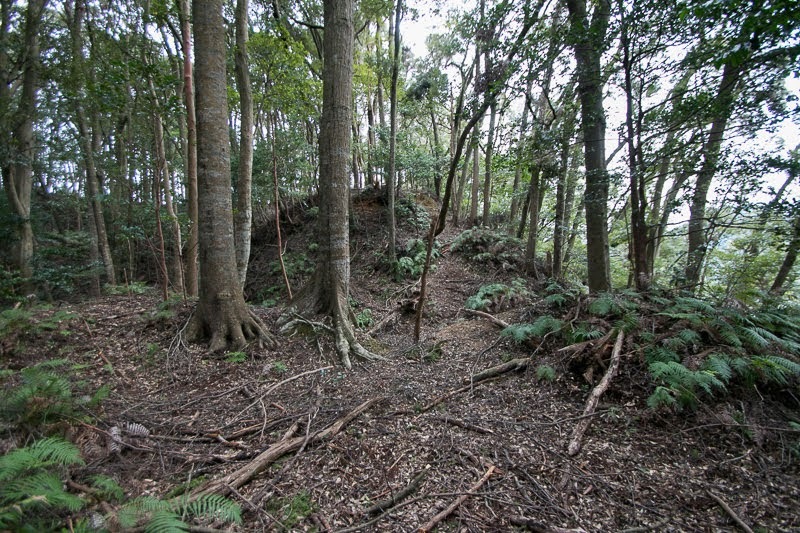 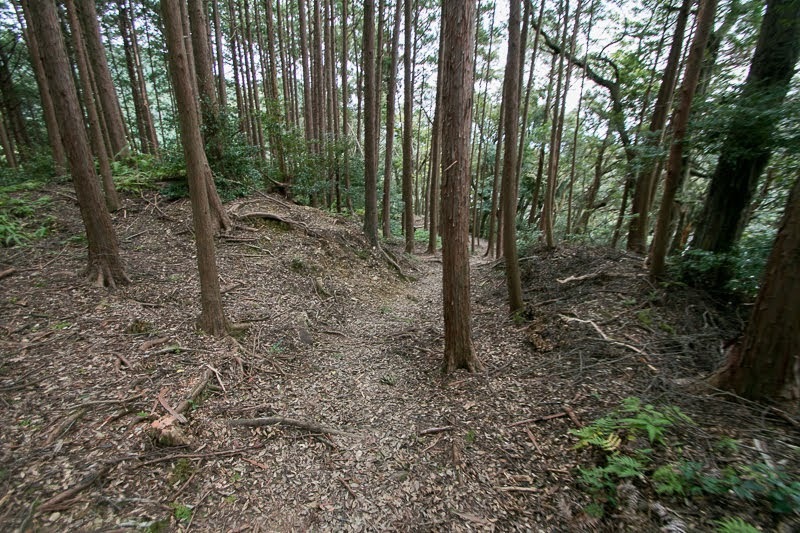 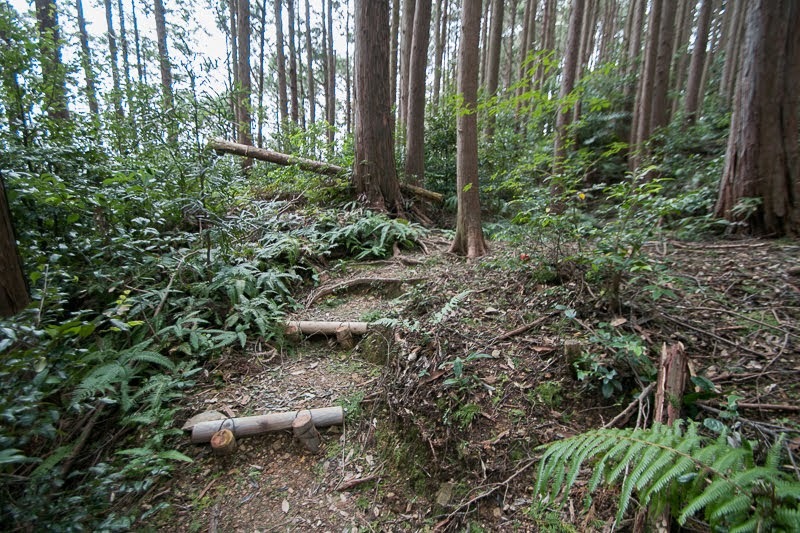 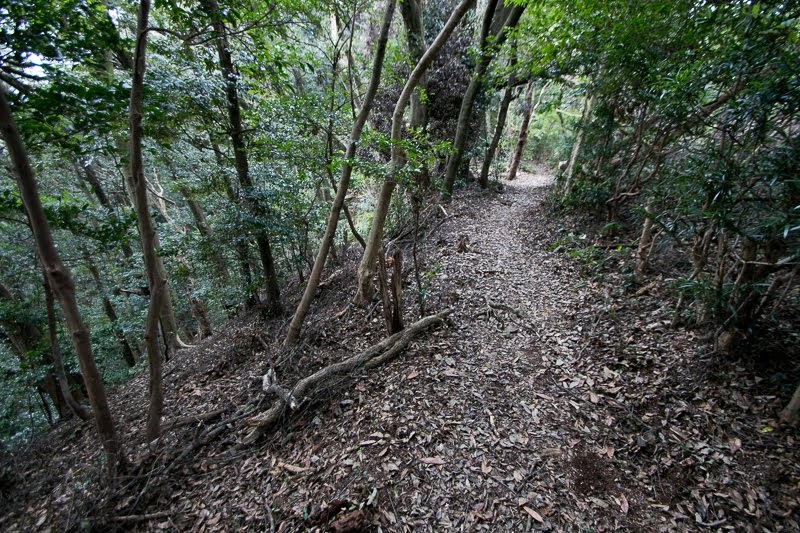 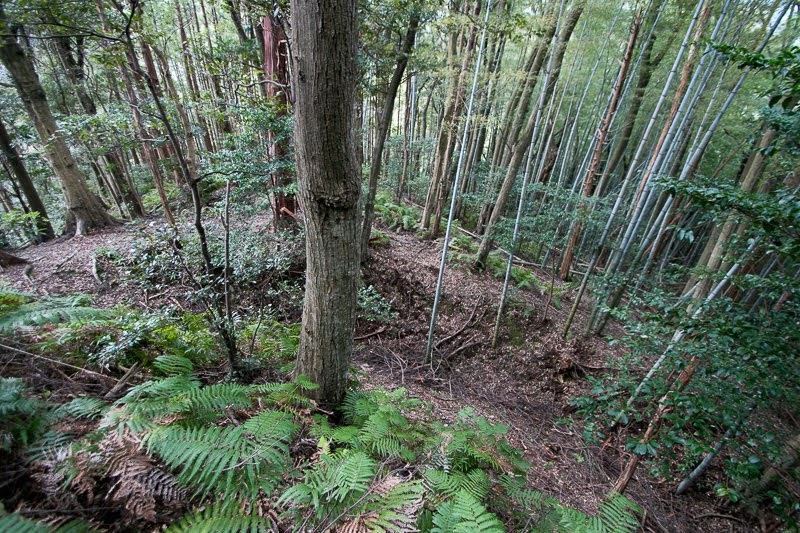 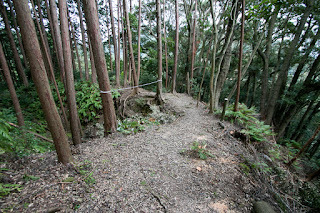 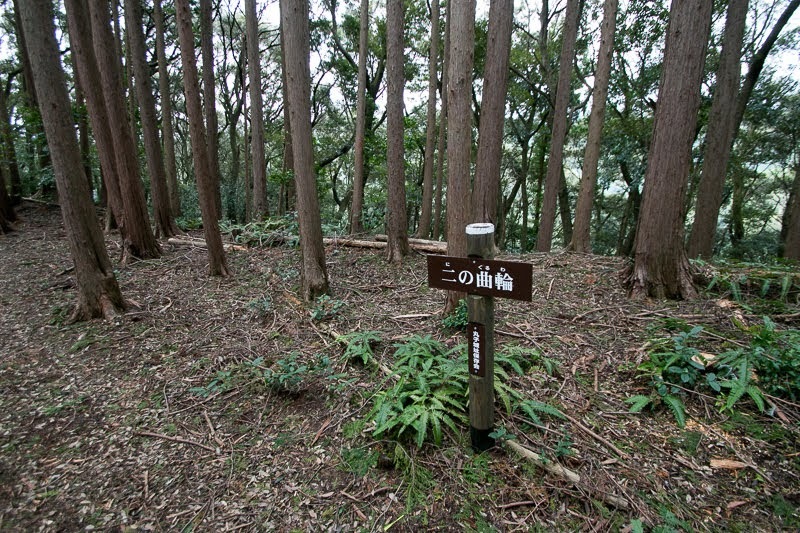 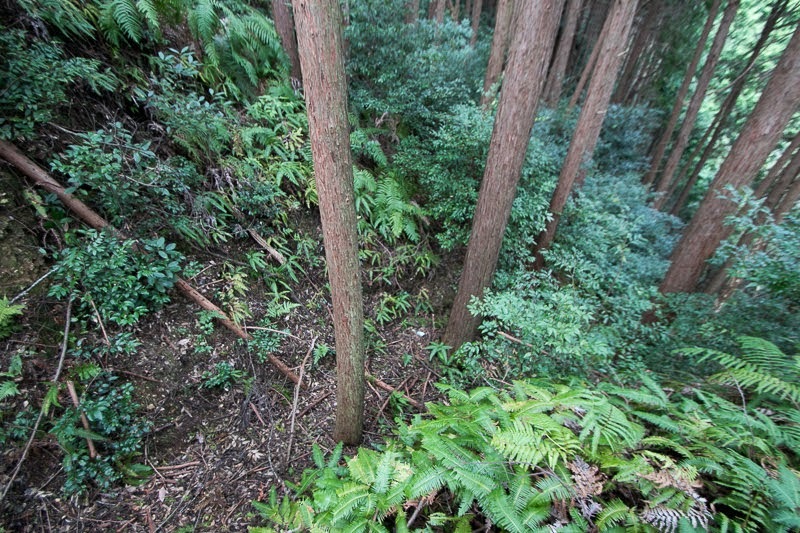 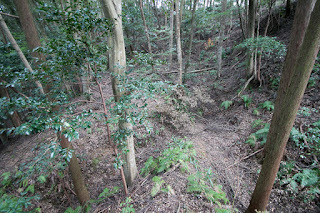 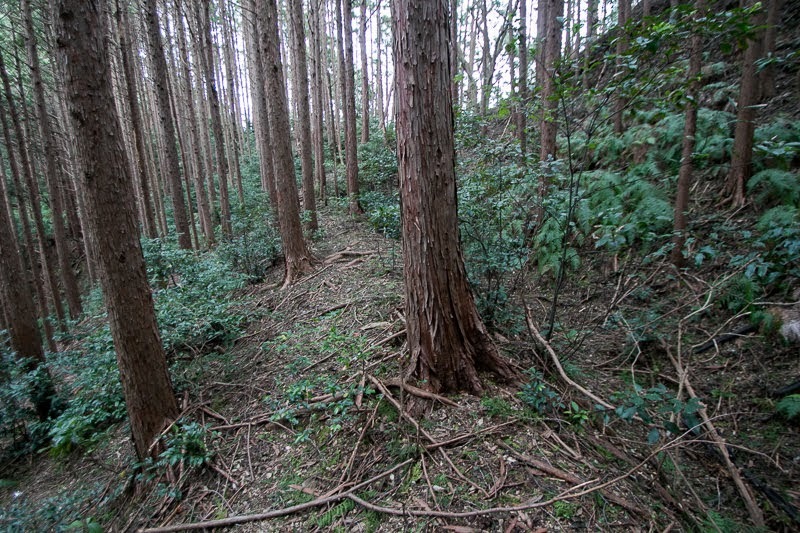 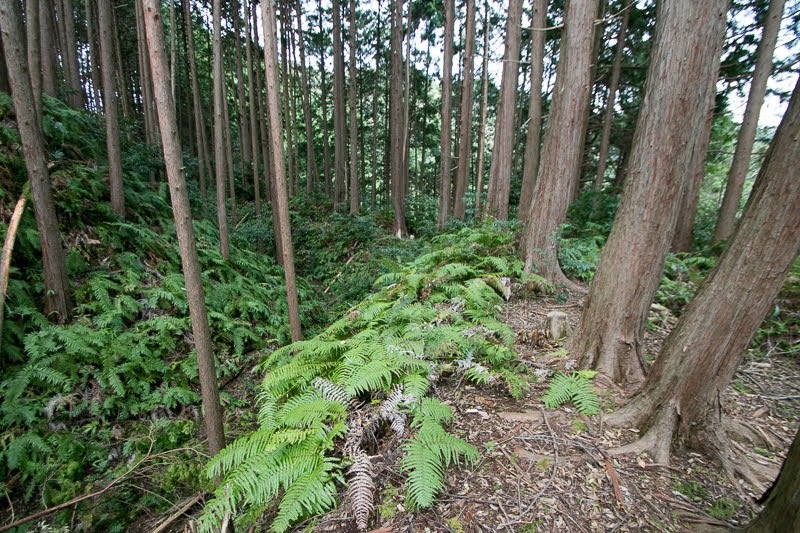 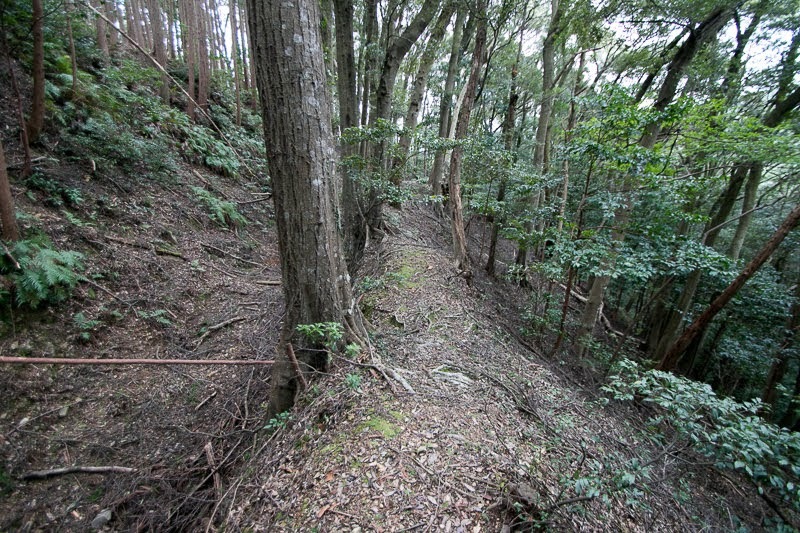 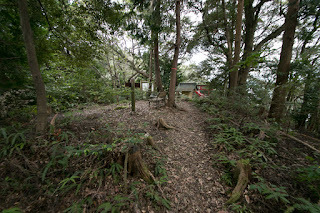 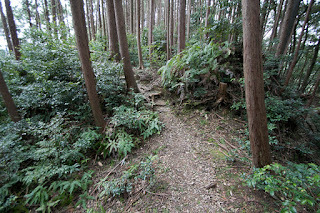 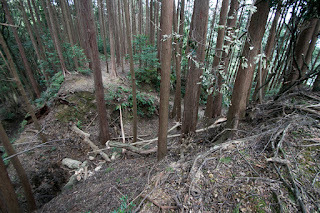 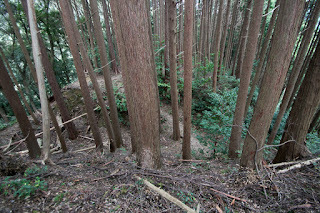 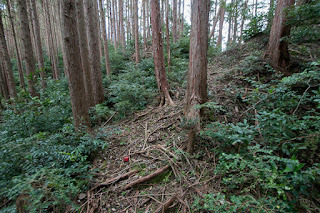 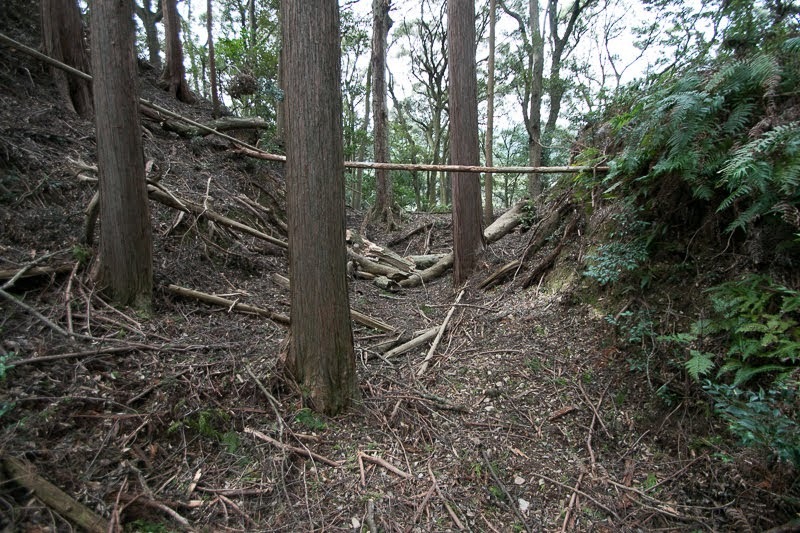 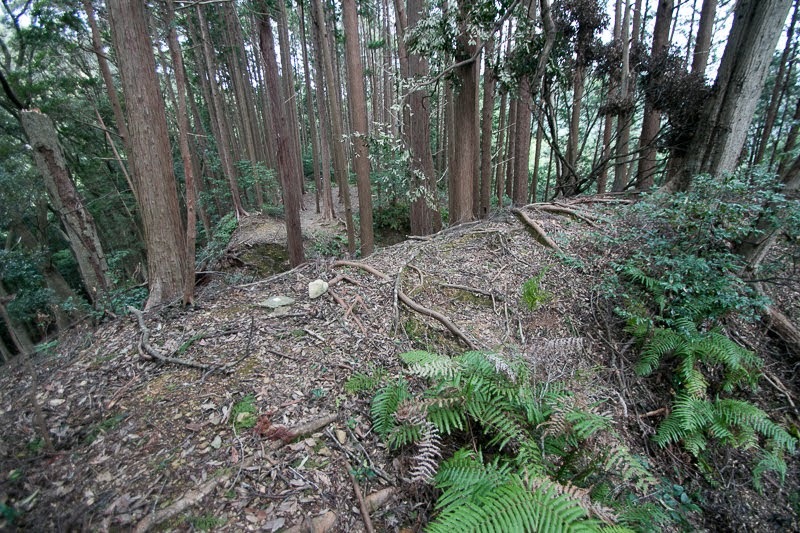 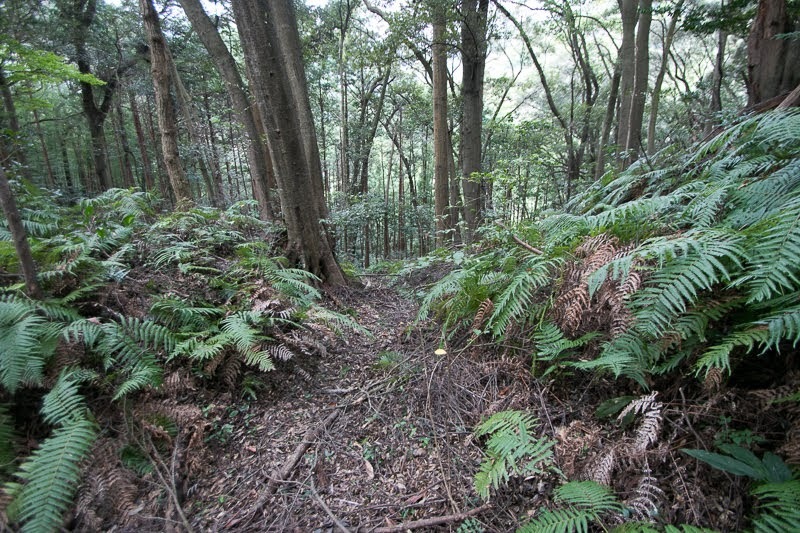 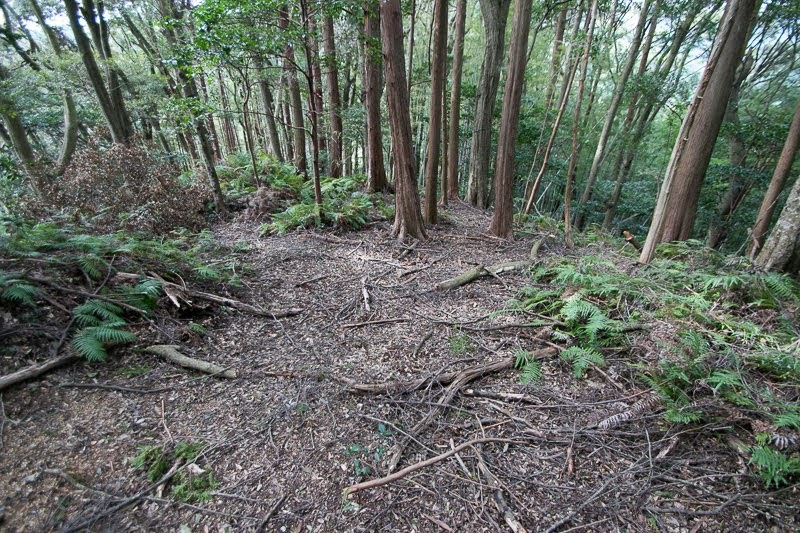 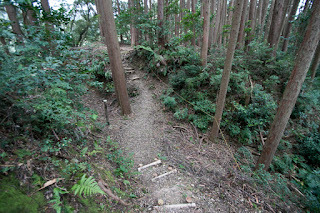 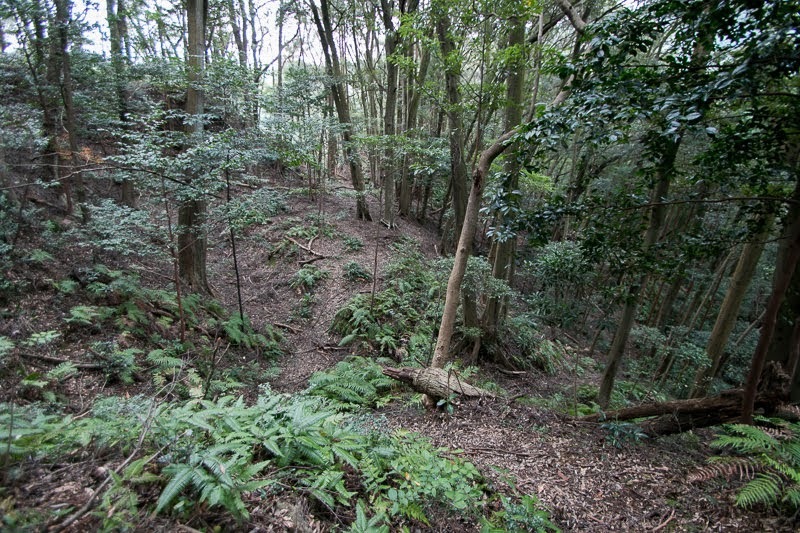 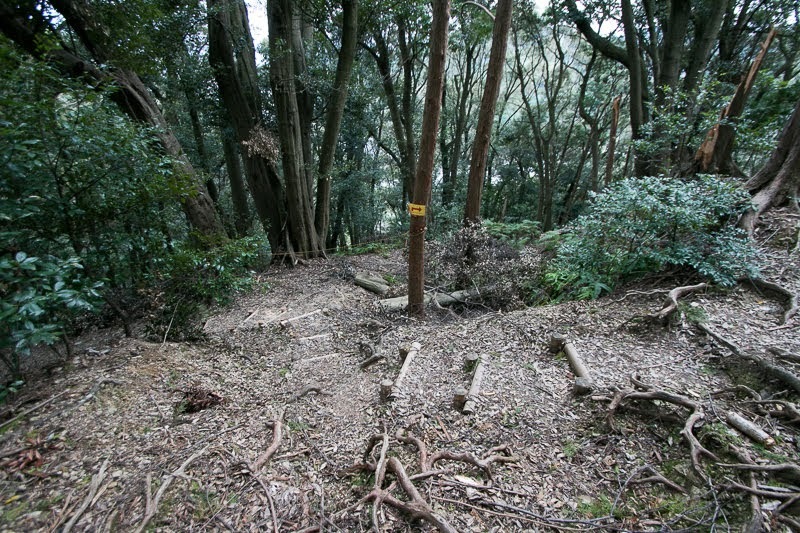 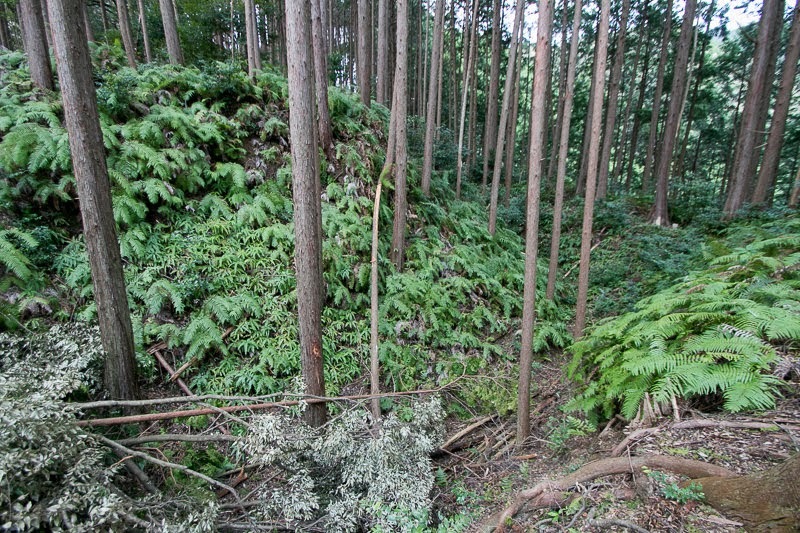 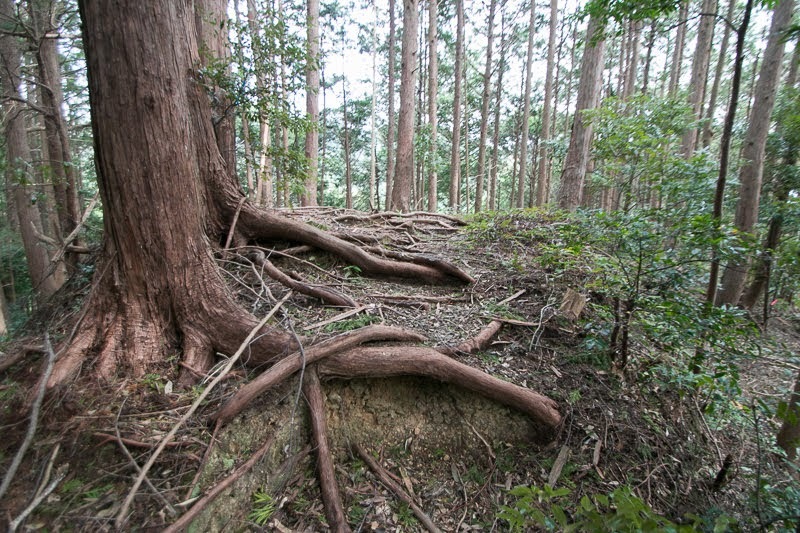 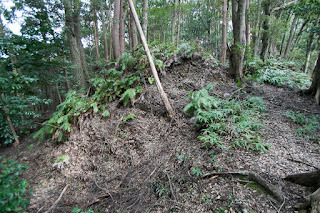 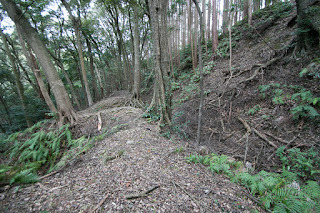 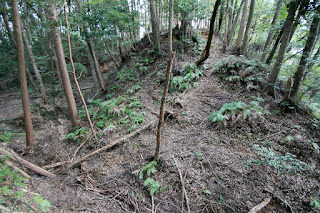 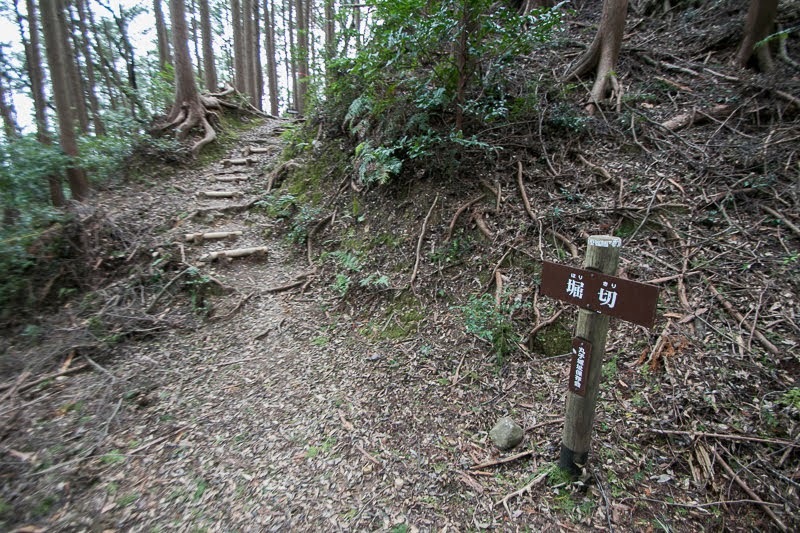 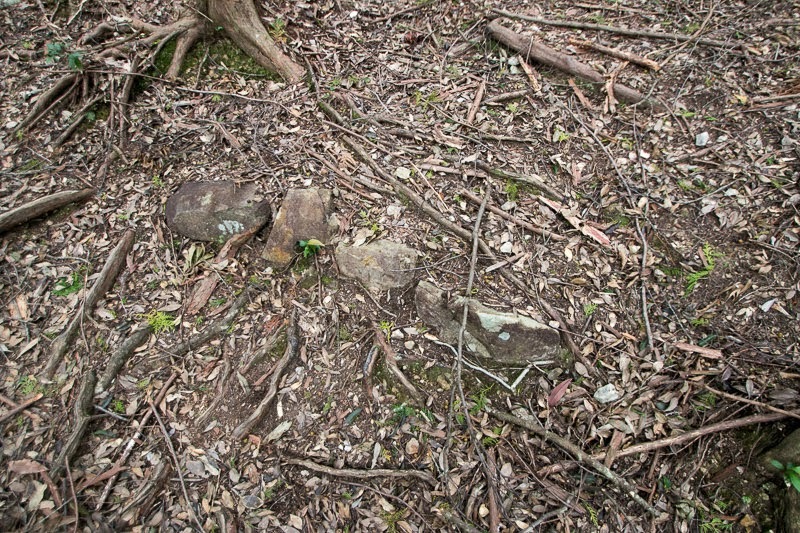 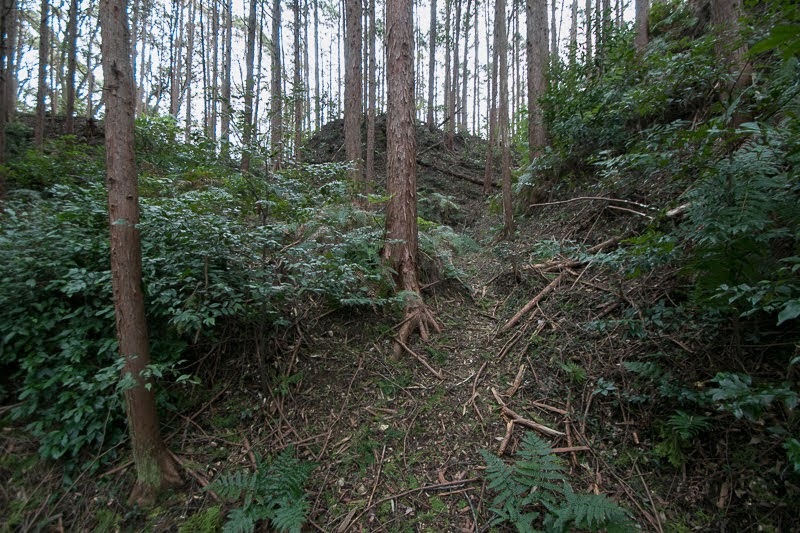 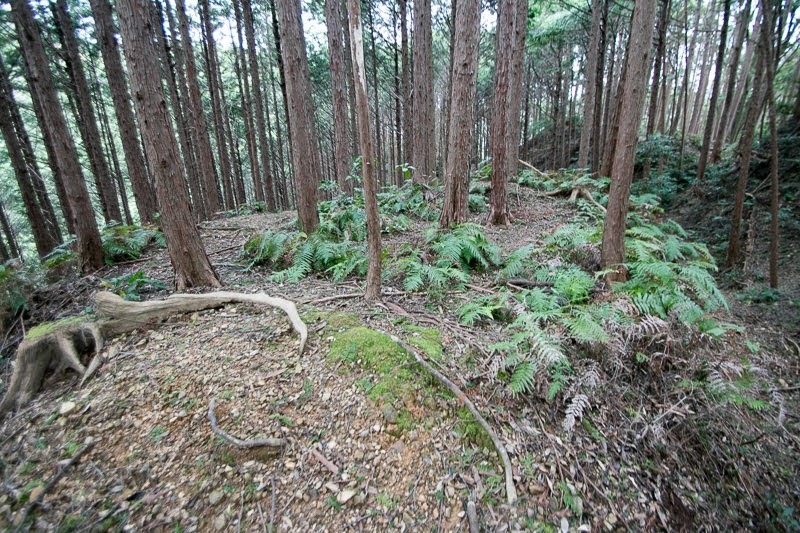 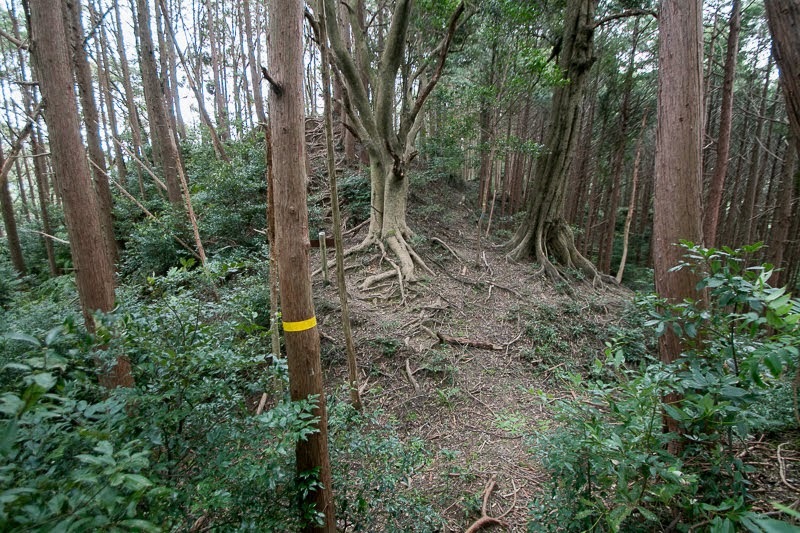 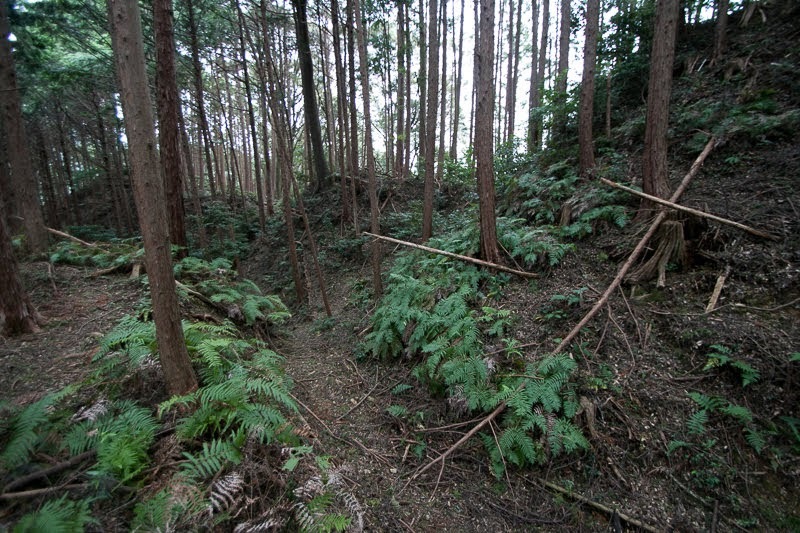 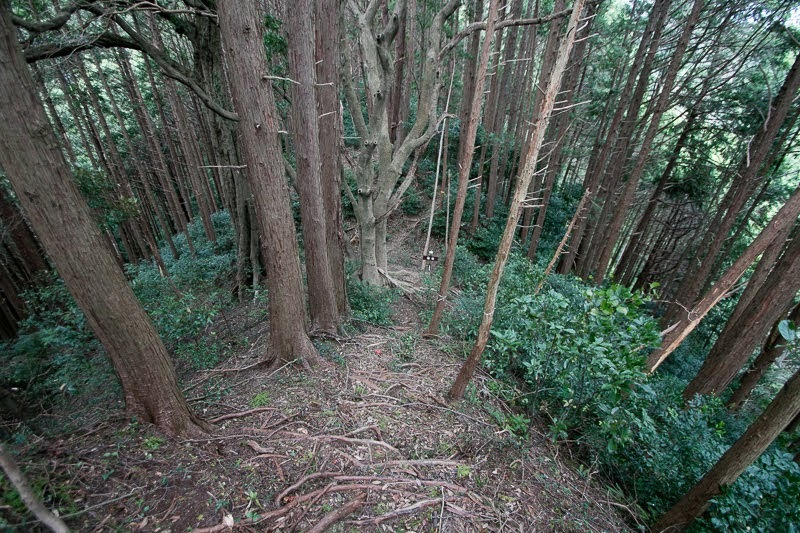 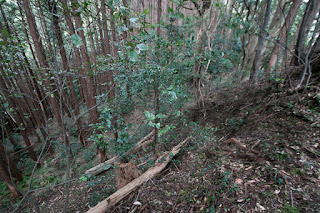 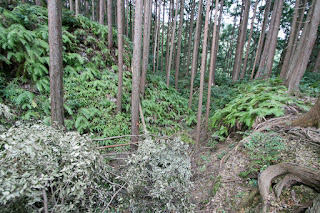 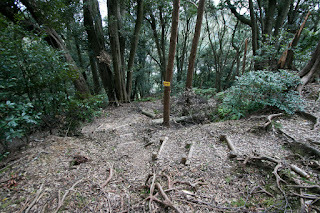 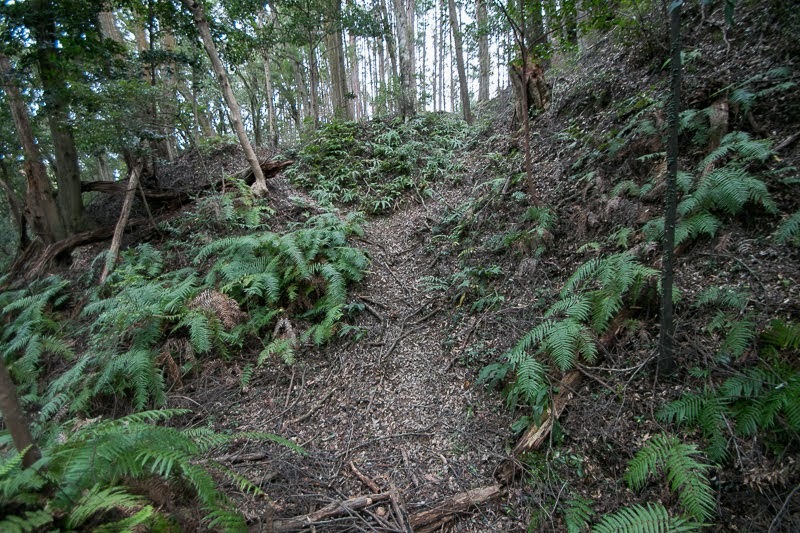 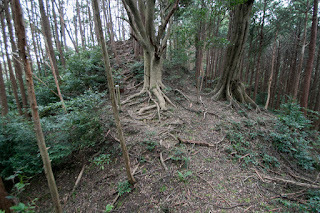 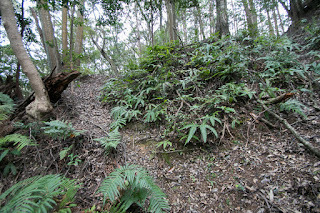 On the other hand, southwestern half of the risge which directly faced the valley is newly extended area by Takeda clan. 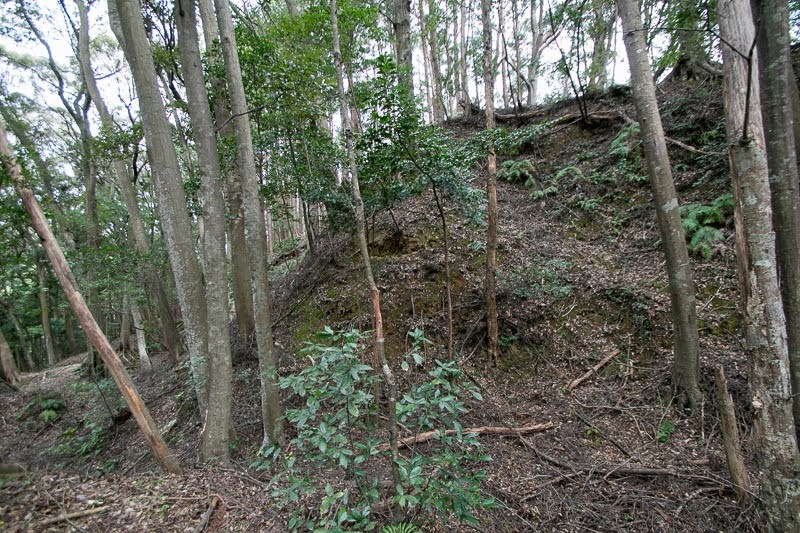 Compared with eastern half, terraces were wide and securely guarded by tall clay wall, deep dry moats and folding gates. 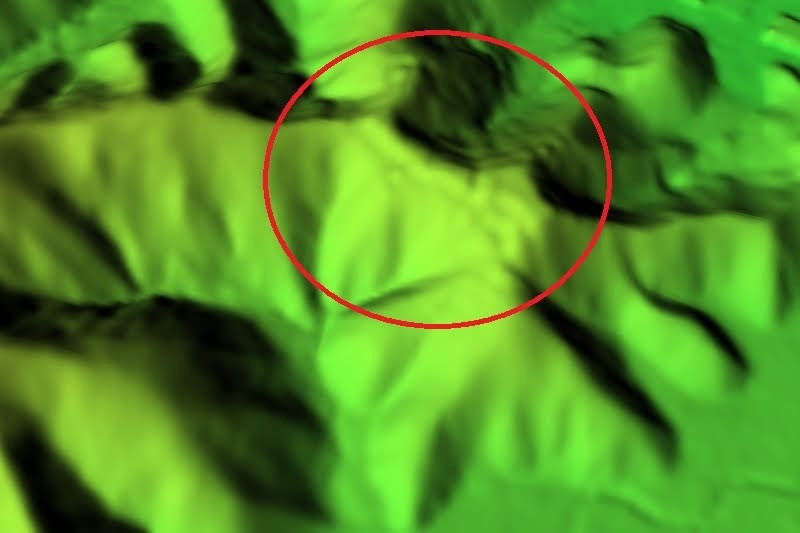 Especially this northwestern side of this area which faced the valley was guarded by two layer of long horizontal dry moat like trench. 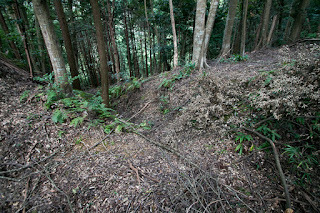 At the both end and middle of this horizontal dry moat a small fort was built, to command defense side soldiers and shoot enemy soldier from upper area. 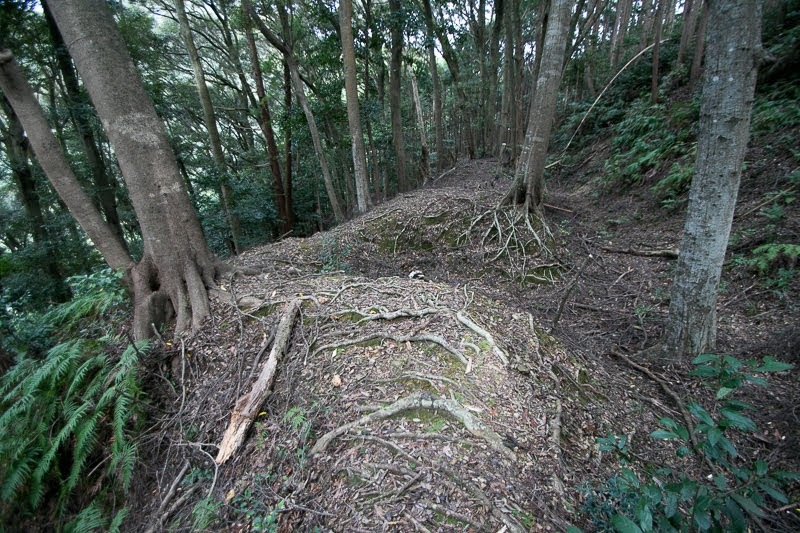 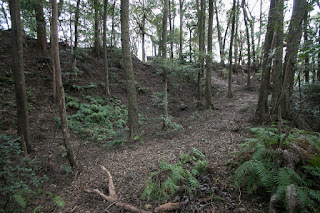 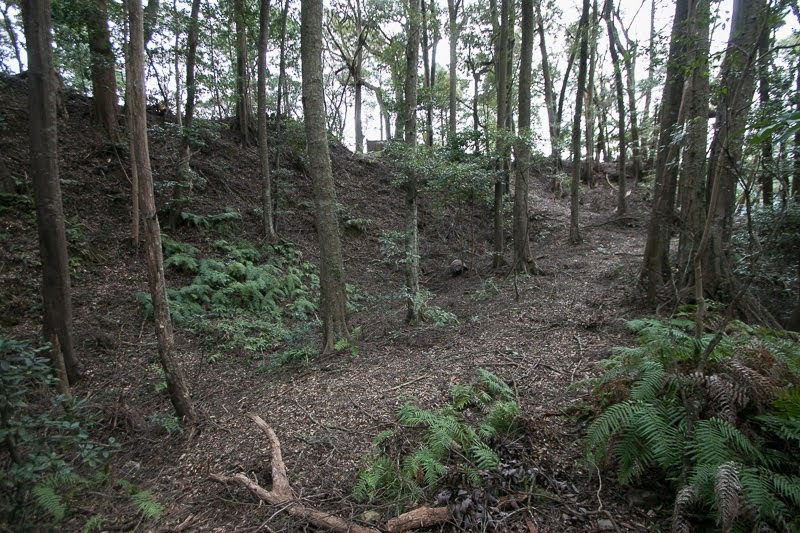 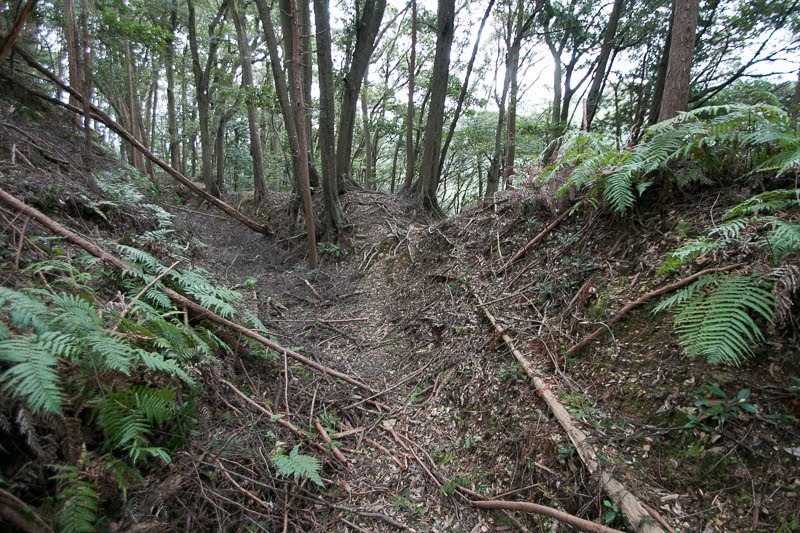 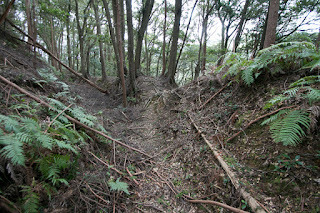 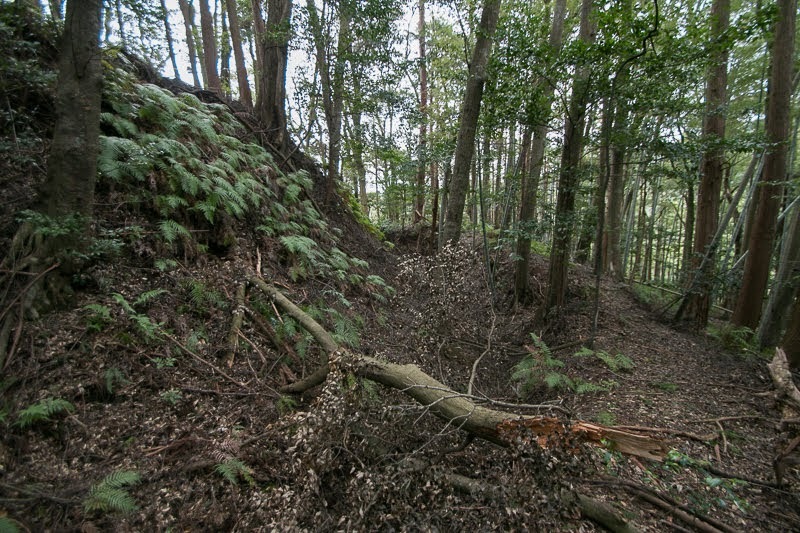 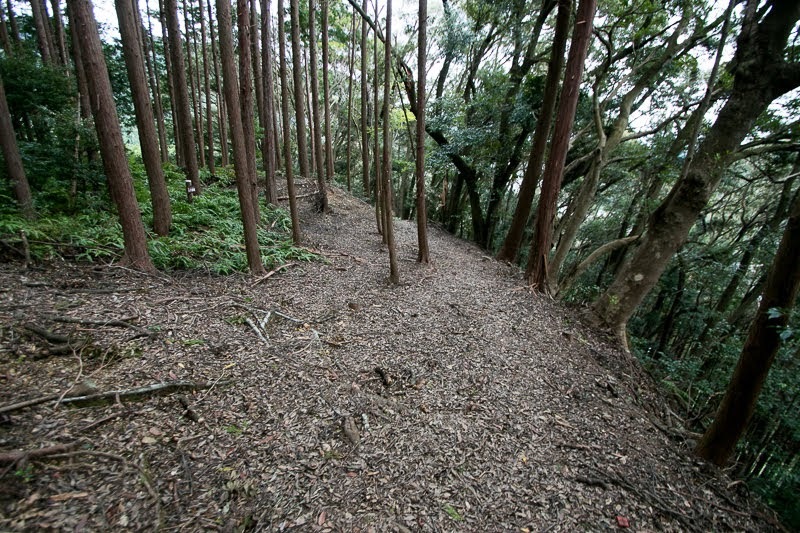 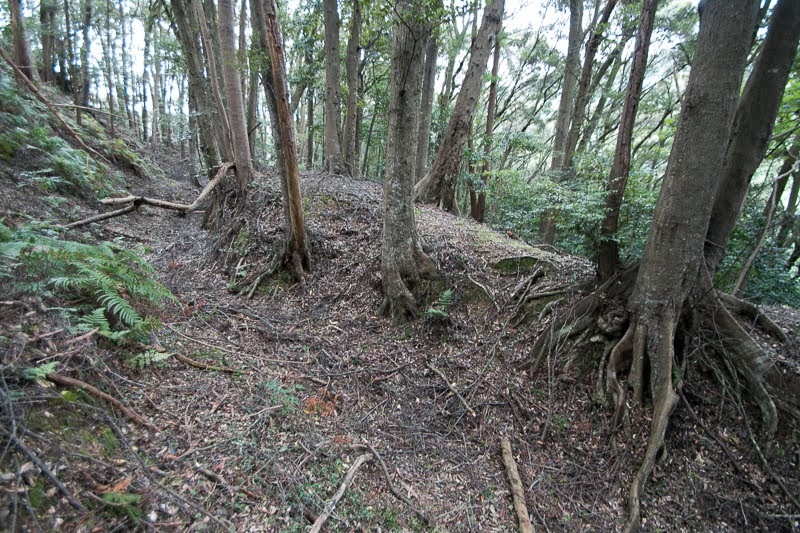 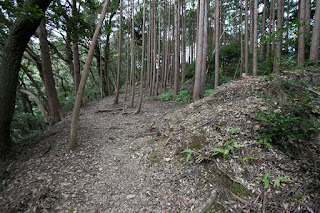 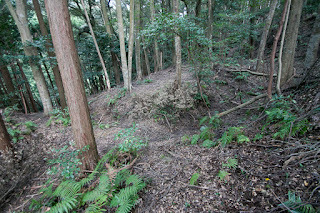 This type of hosirontal dry moat along with the ridge is also seen at Takatengin castle which was renovated by Takeda clan, but the depth of the moat and height of the clay wall is more strict at this castle. 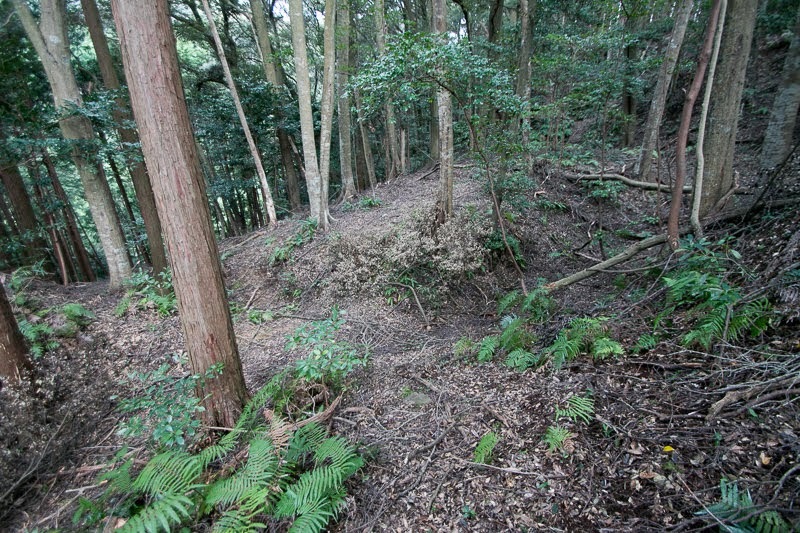 As the west end of the castle is connected to a moderate slope and expected to be the target of enemy, a large semicurcular shaped fort guarded by steep wall and deep crescent shaped dry moat were built to guard this side. 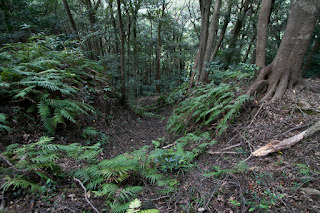 At the east end of the castle where was the entrance to the castle, a deep cresent shaped dry moat was also attached to guard the entrance. 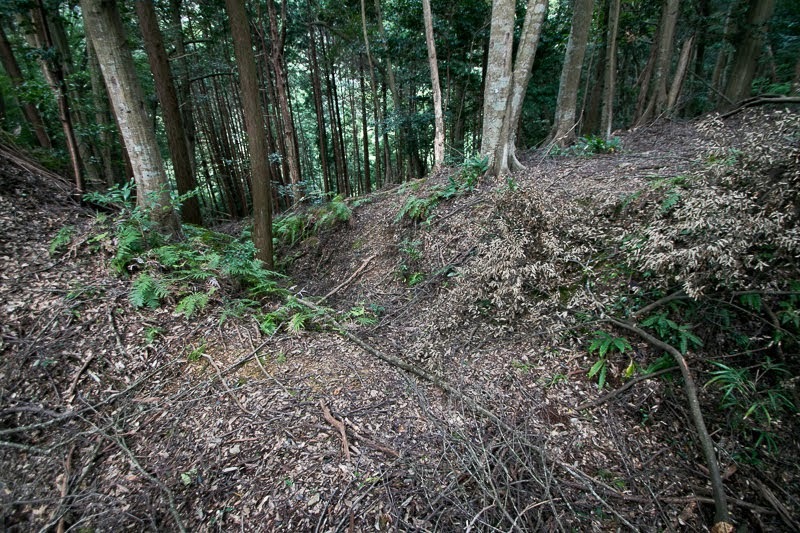 At the both side of this edge two line of vertical dry moat was digged, to prevent side movement of enemy soldeirs. 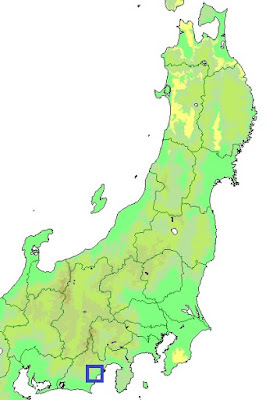 In 1582, Ieyasu Tokugawa (1543-1616), a warlord of Mikawa province (east half of Aichi prefecture) and Totomi province (west half of Shizuoka prefecture), invaded to Suruga country. 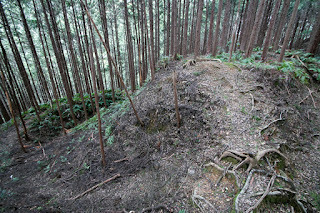 Takeda army might left this castle wituout resistance, thus there was no battle for this castle. 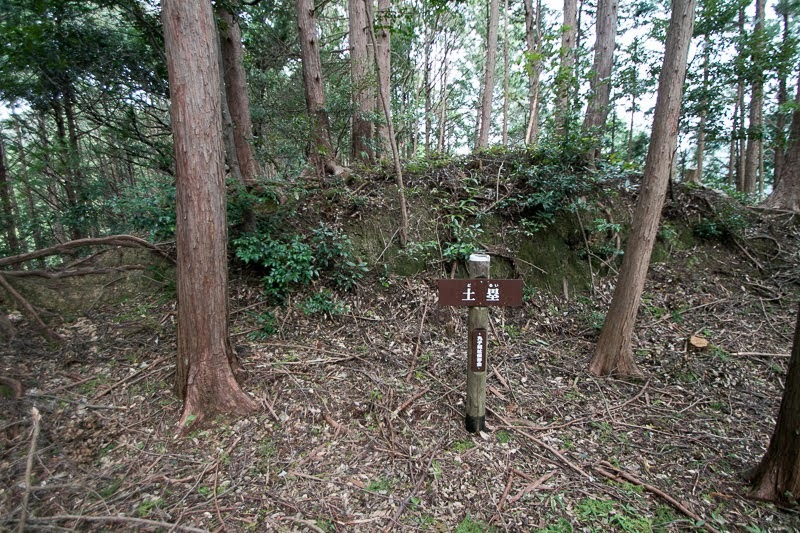 Ieyasu placed his retainer Kiyoyoshi Matsudaira (1505-1587, called as Bingonokami) as a commander of Mariko castle, but in 1590 Tokugawa clan was transferred to Kanto region by Toyotomi government and Mariko castle might be abolished then. 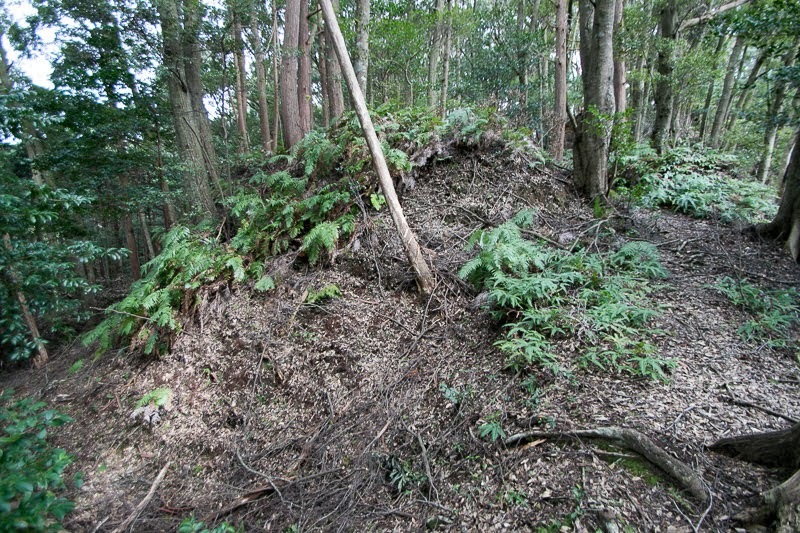 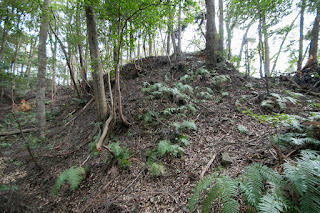 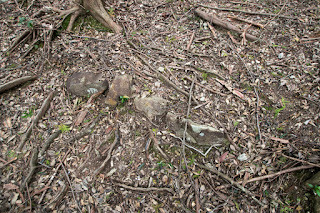 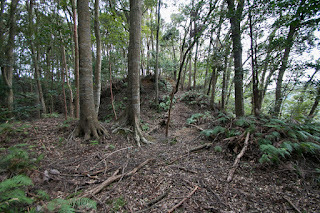 Now all buildings were lost but clay structure of the castle satisfactory remains on the hill. 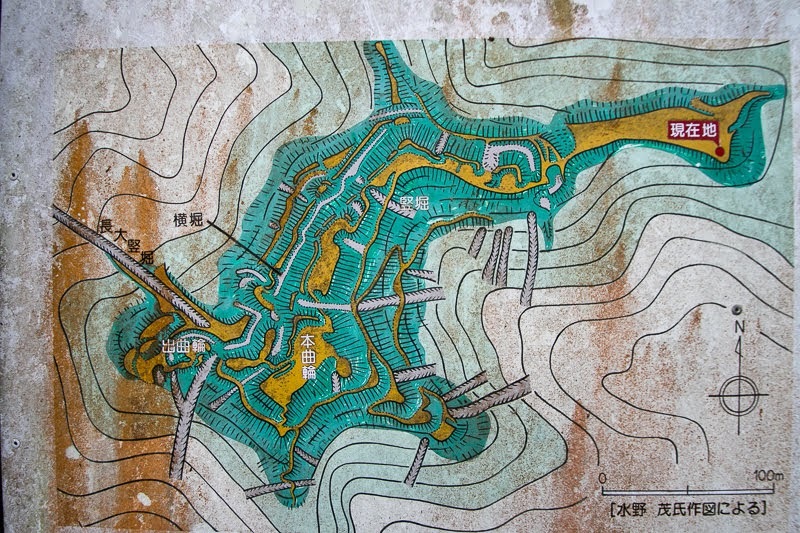 Combination of deep dry moat, steep clay wall and tall fort seems powerful and is worth for visiting.